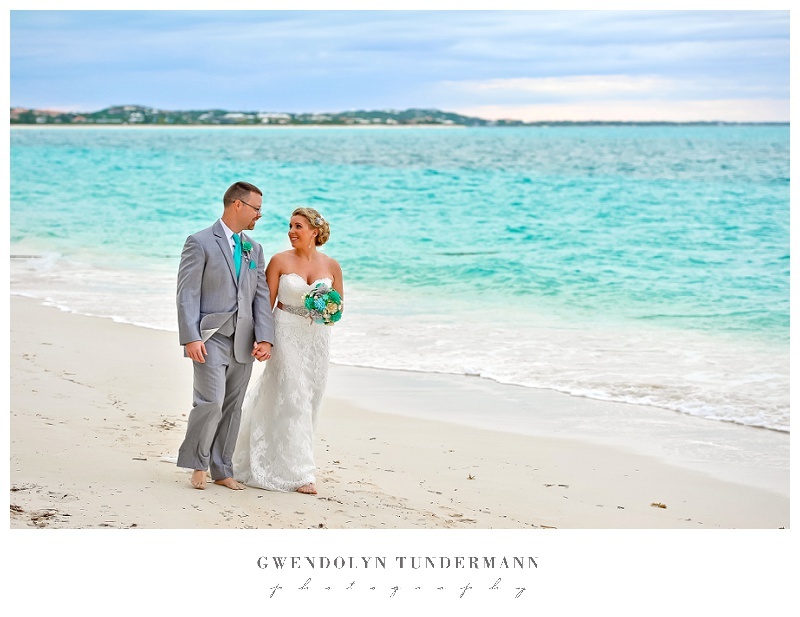 One month ago, we had our toes in the sand as we celebrated the beautiful Turks and Caicos destination wedding of Meagan & Steven! 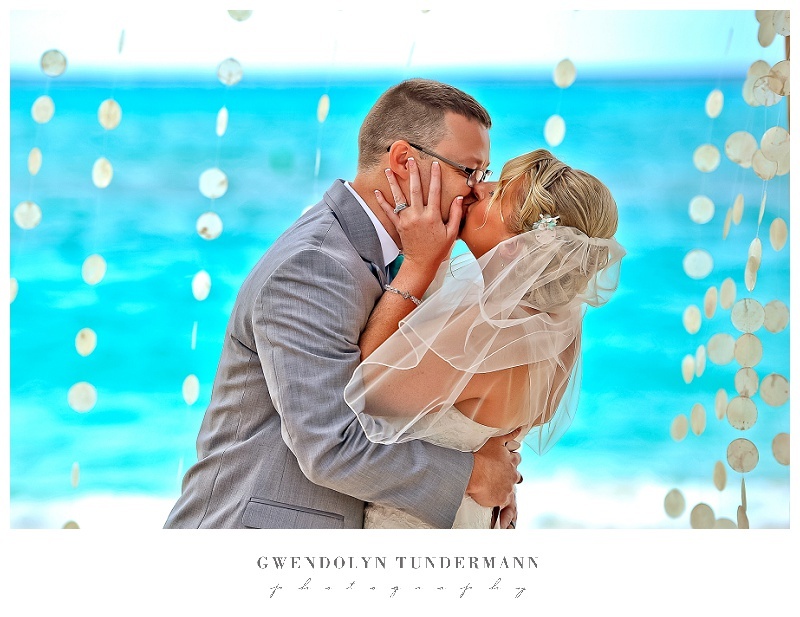 We always love the intimacy of destination weddings, as the guests are usually the closest friends and family of the couple. 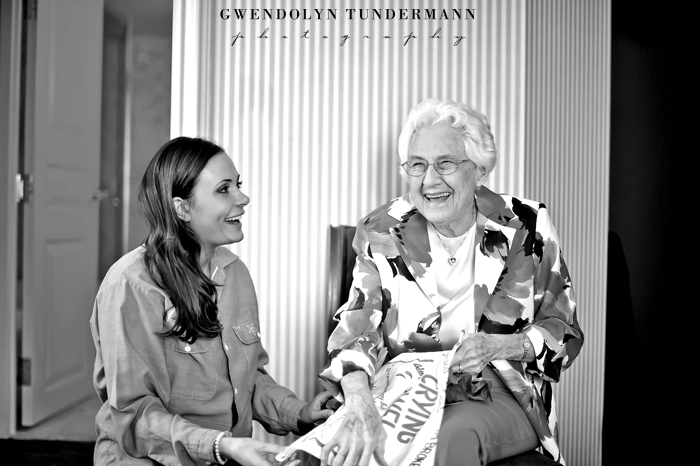 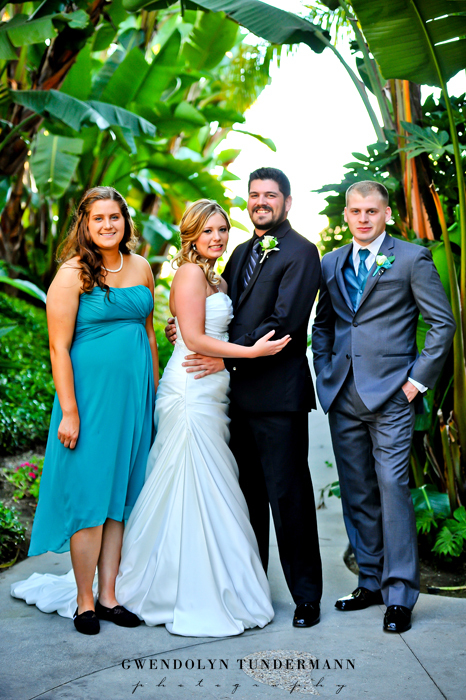 After spending a few days with everyone, we always feel like we are part of the family, too! 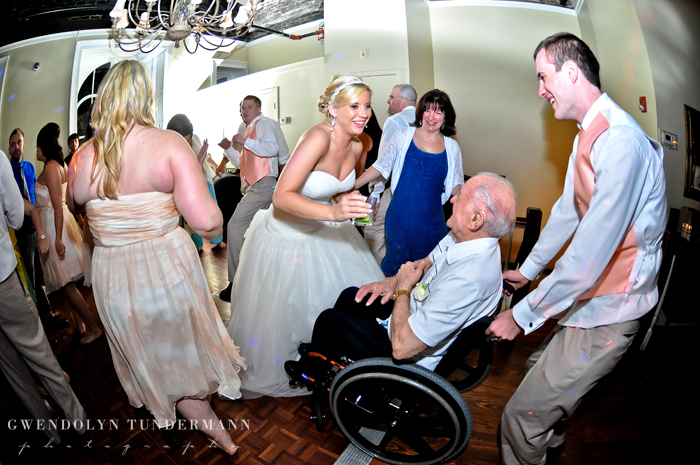 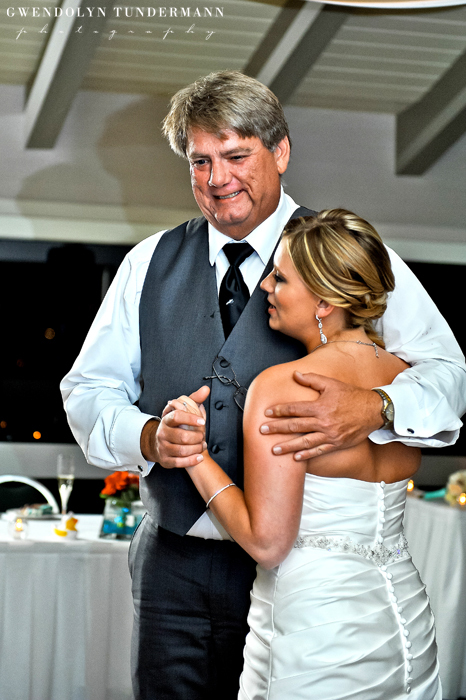 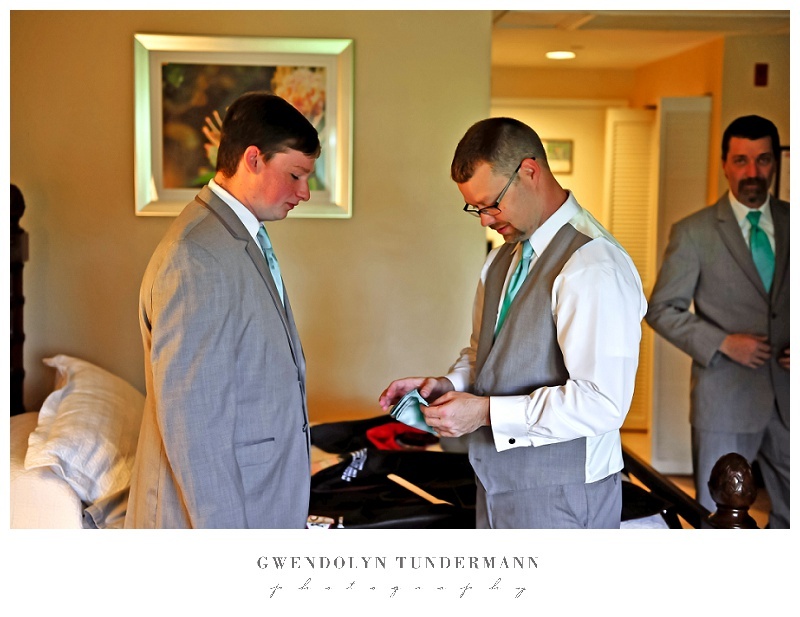 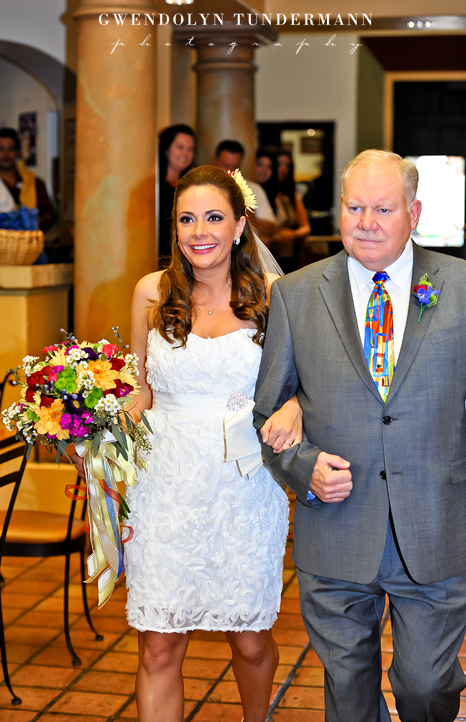 Since family is so important to Meagan & Steven, they found several ways to honor the memory of their fathers and include them in the wedding. 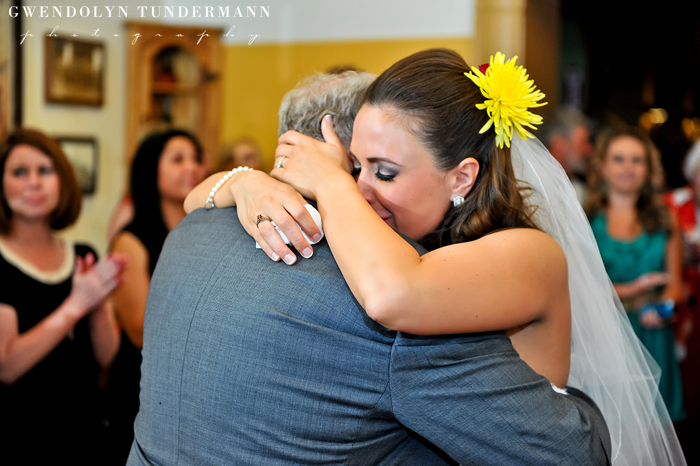 It was so touching! 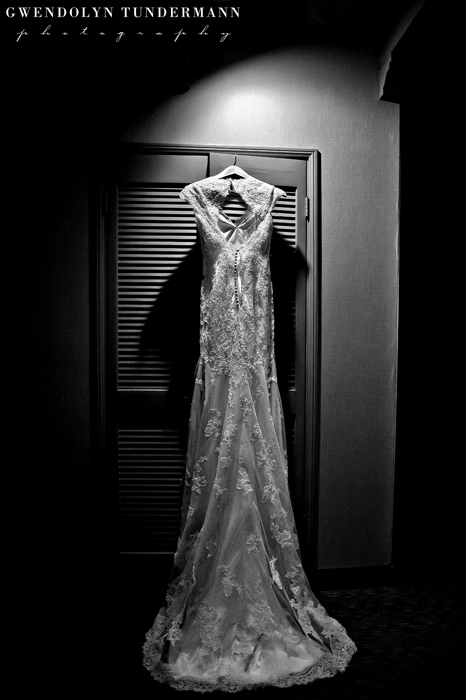 Even thinking about it now makes me want to cry. 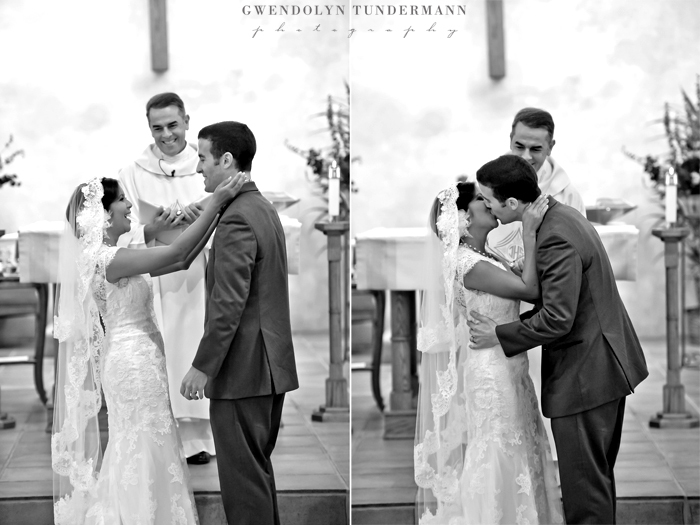 That’s what makes this couple so special. 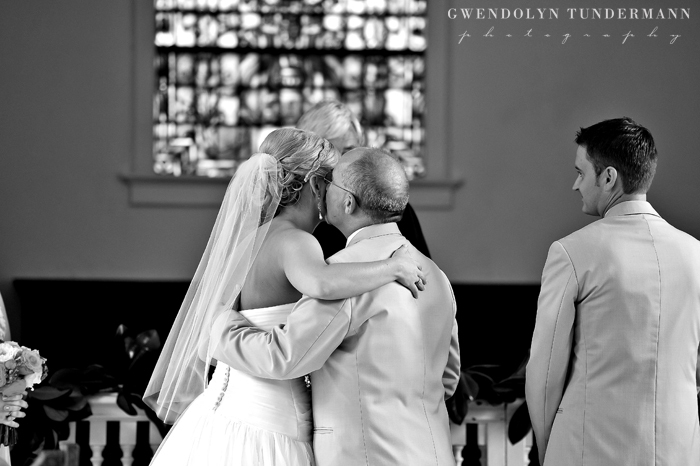 The love they feel for each other and for their family is so strong that it spreads love to everyone around them. 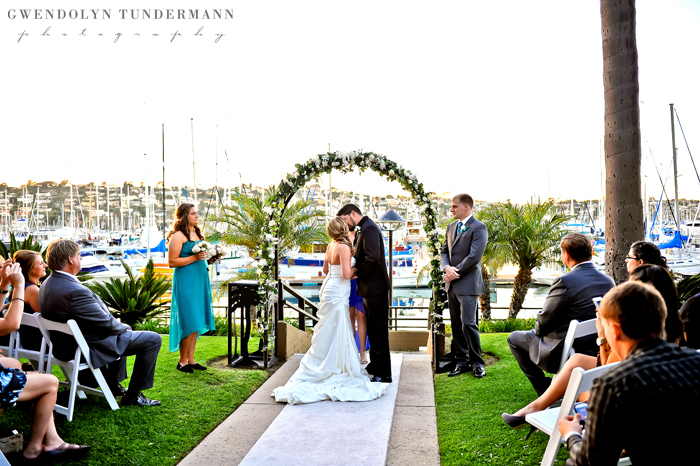 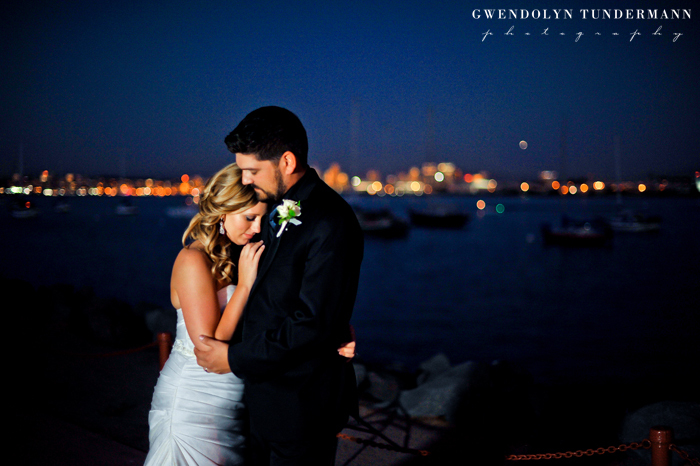 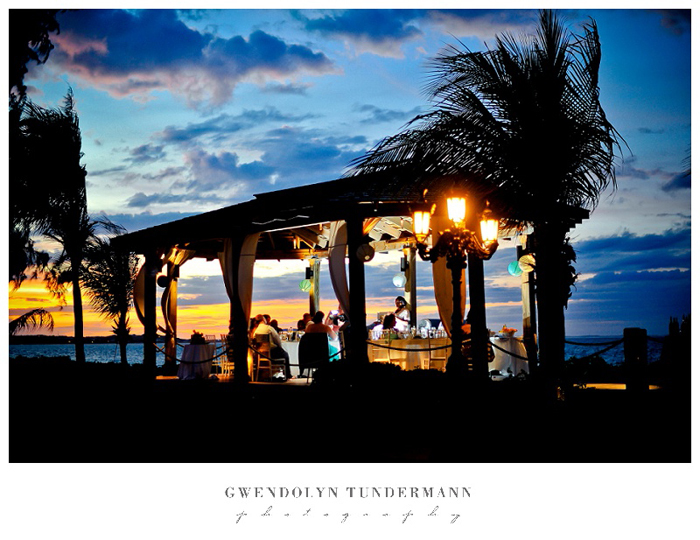 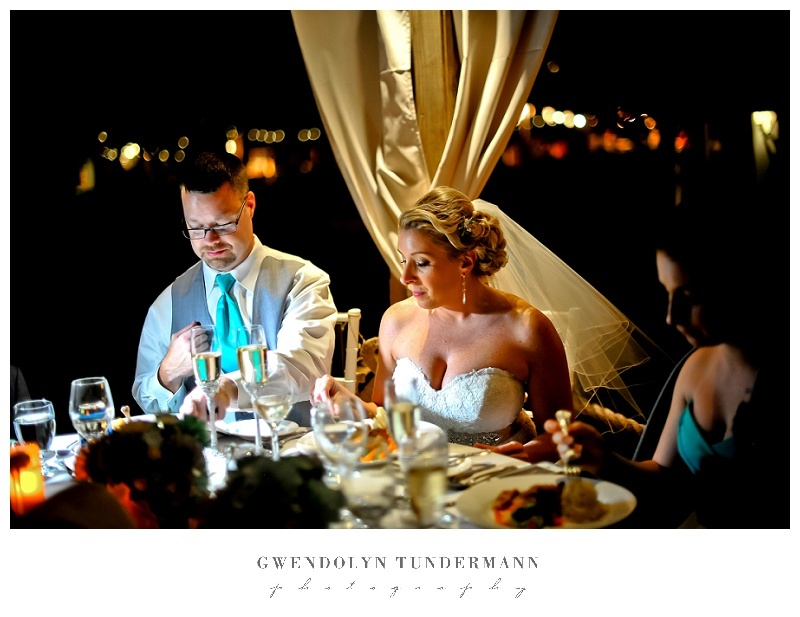 After a beautiful ceremony, everyone enjoyed dinner with a view of the ocean as the sun set on the horizon. 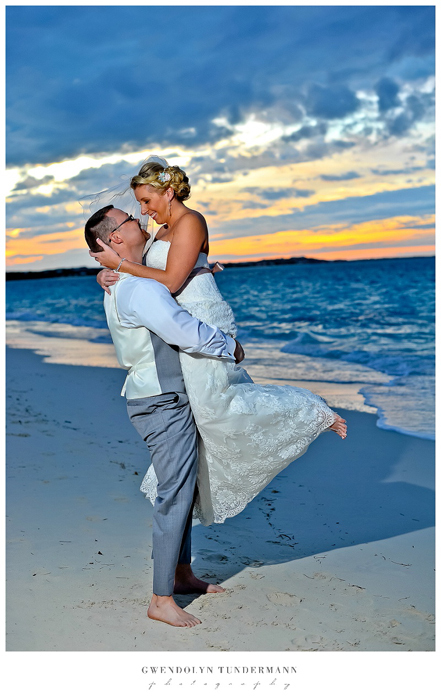 The sky was a stunning illumination of color changing from a soft purple and gray haze to a blazing yellow and orange to a bold blue. 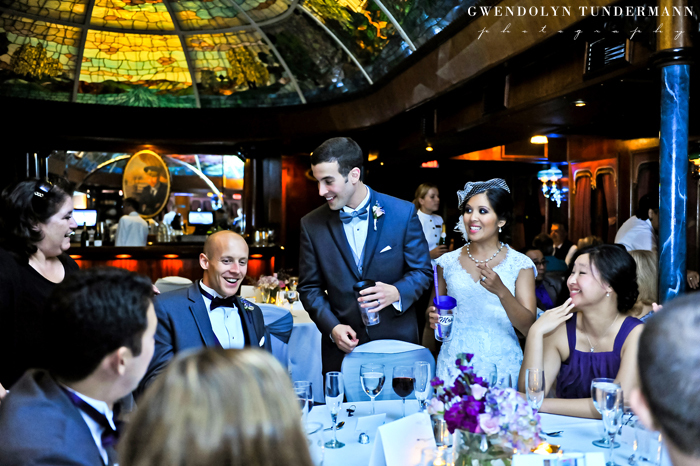 Throughout dinner, there were speeches and conversations among the tables. 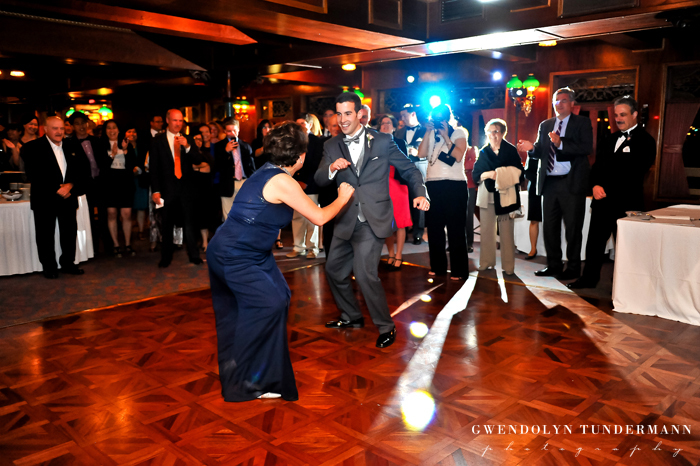 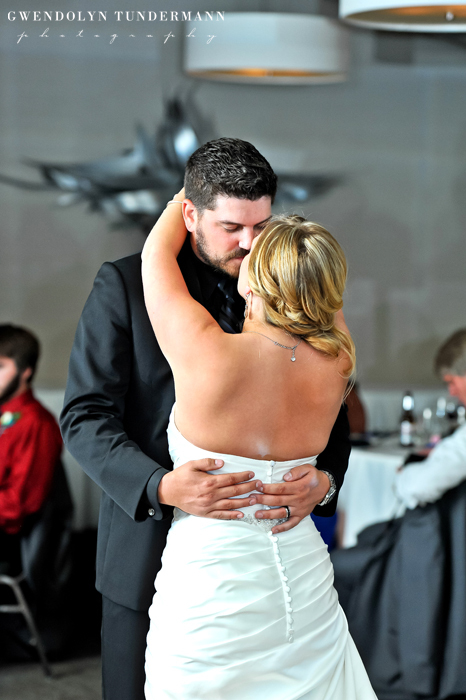 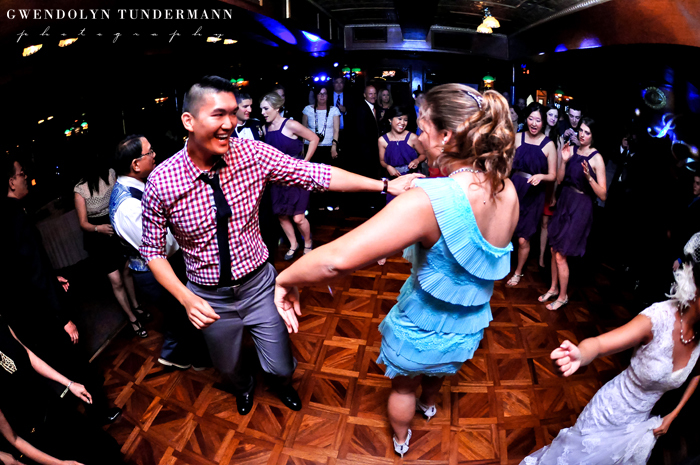 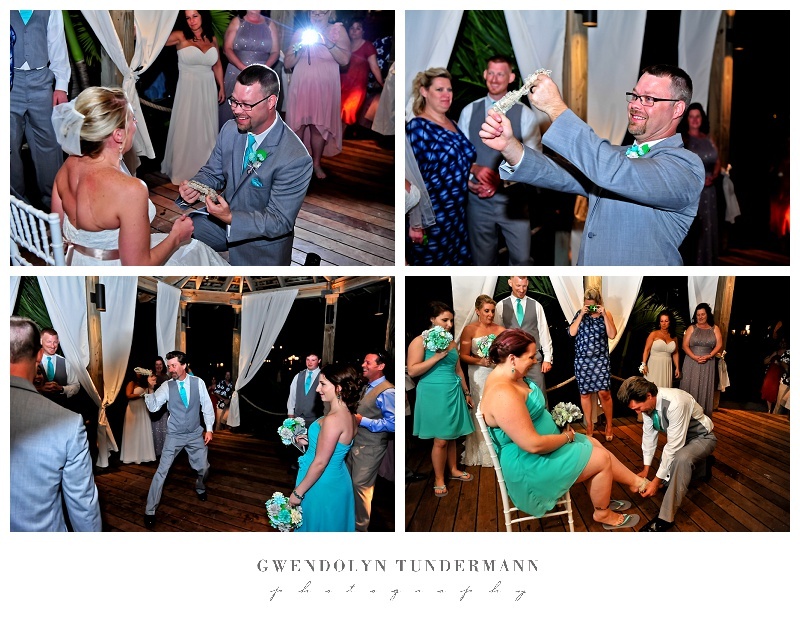 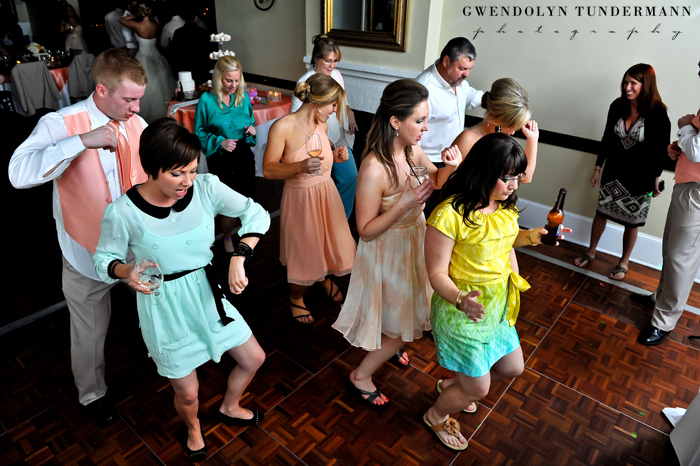 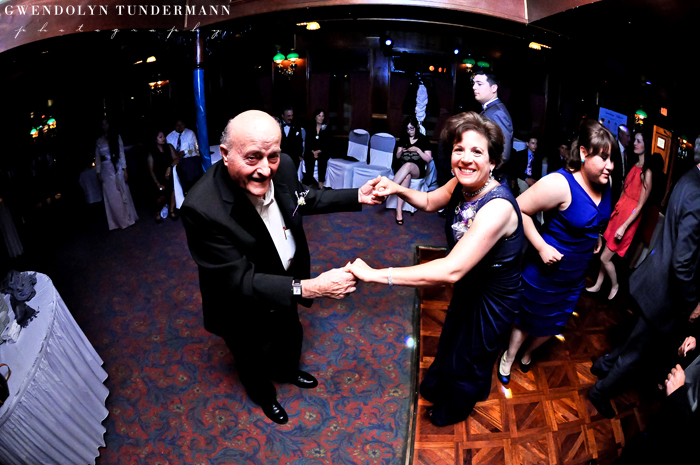 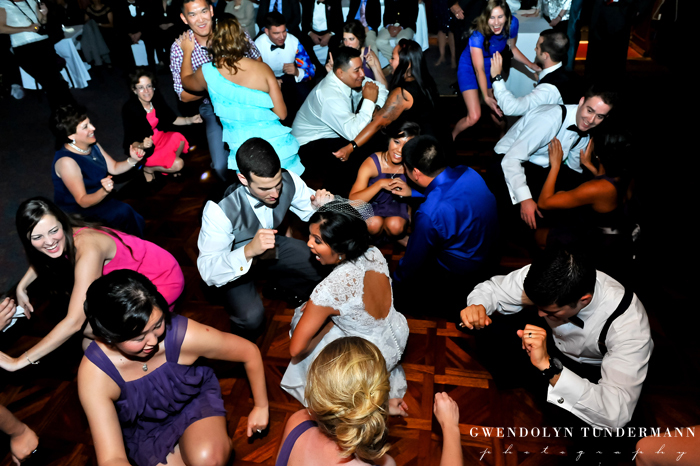 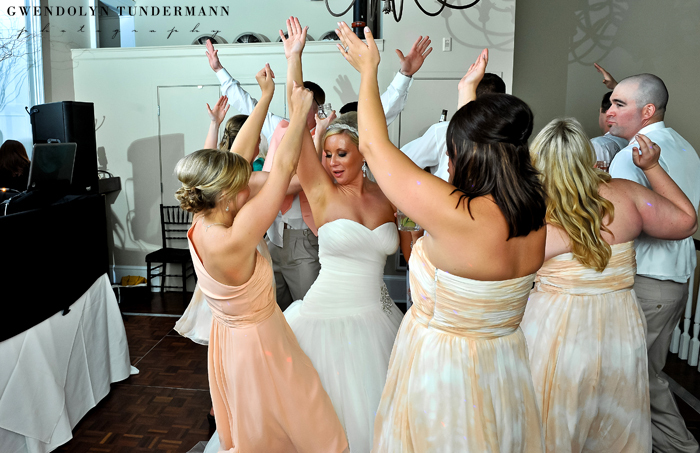 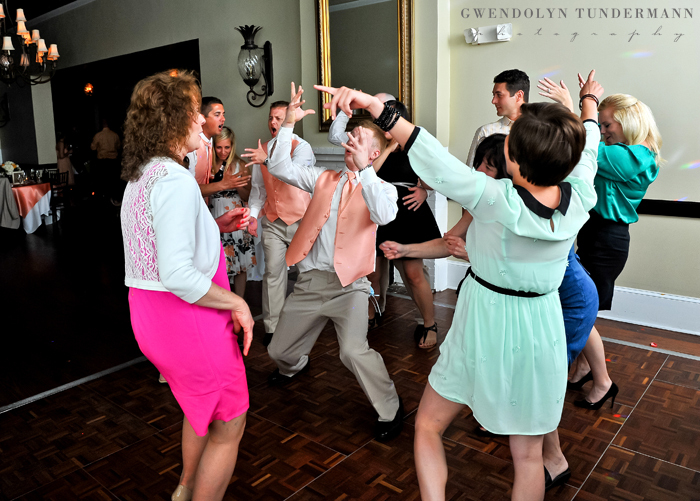 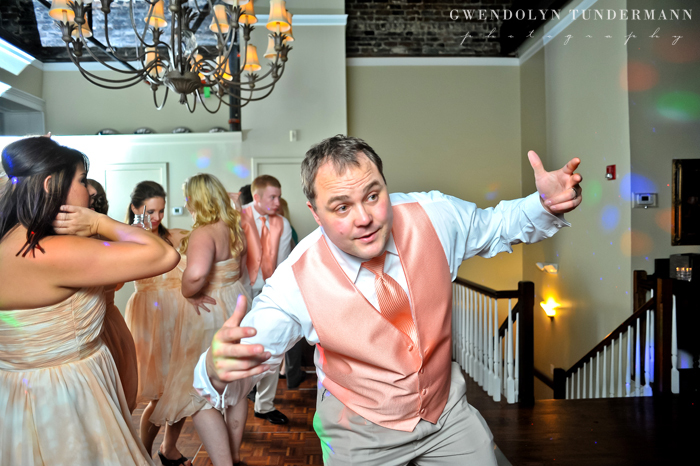 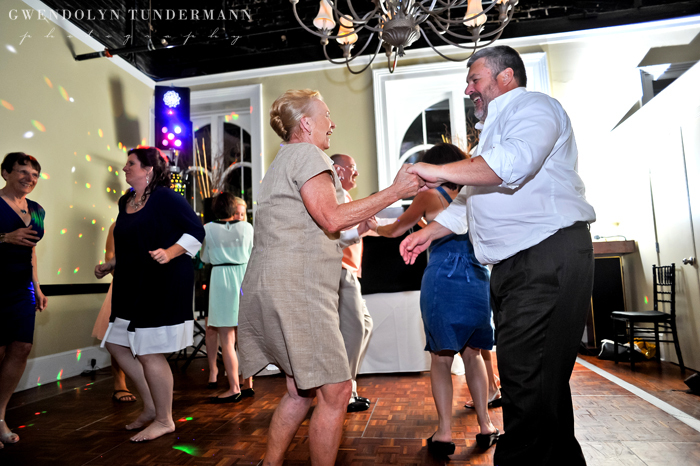 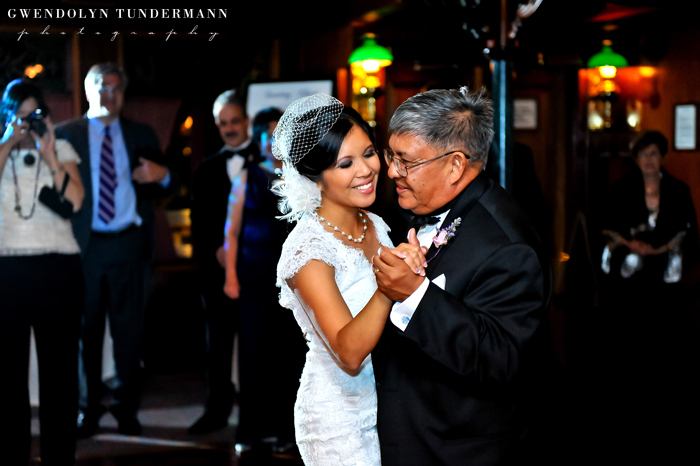 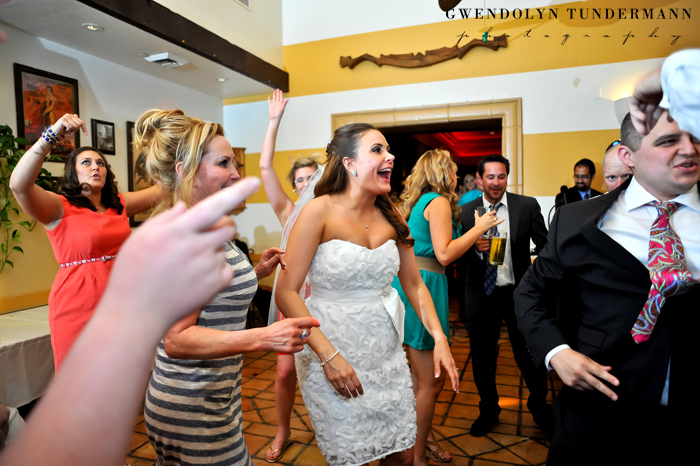 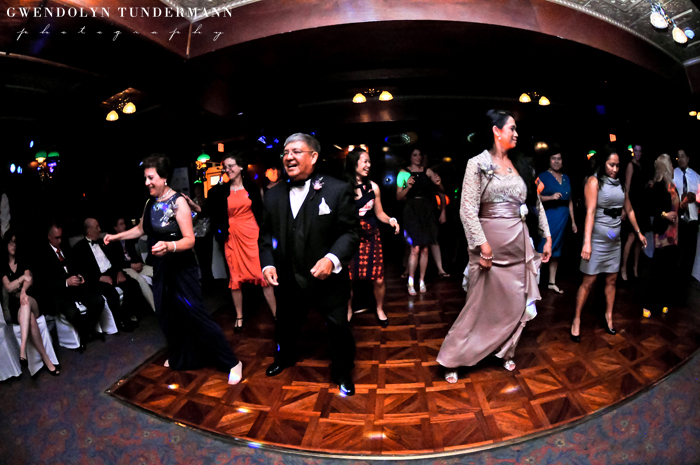 The intimate setting of dinner was replaced by dancing the night away at the reception. 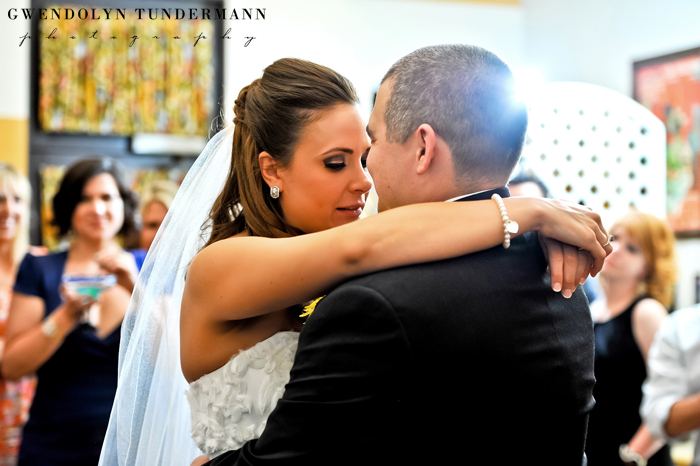 Everyone had a great time, but most of all you could see that Meagan & Steven took a few moments to hold each other close and stand back and watch, forever framing that special day in their minds. 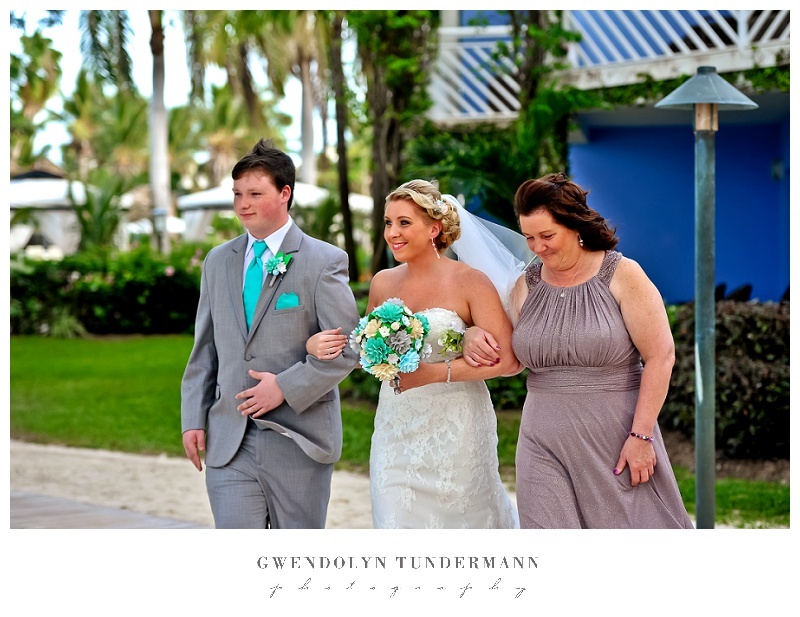 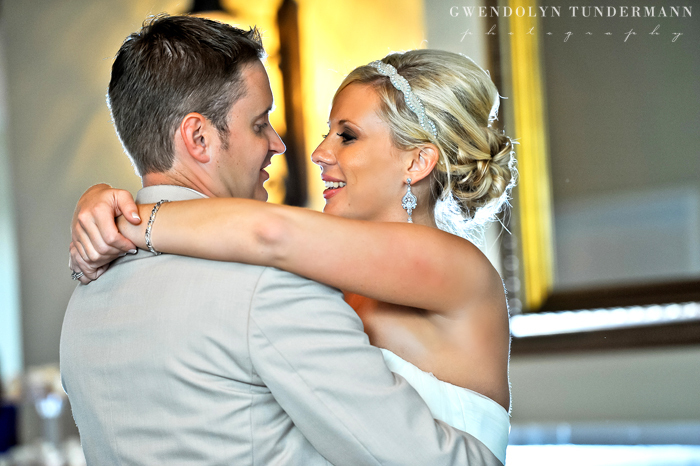 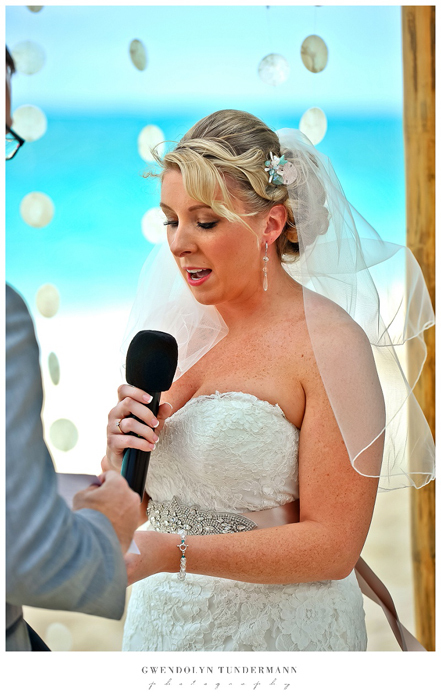 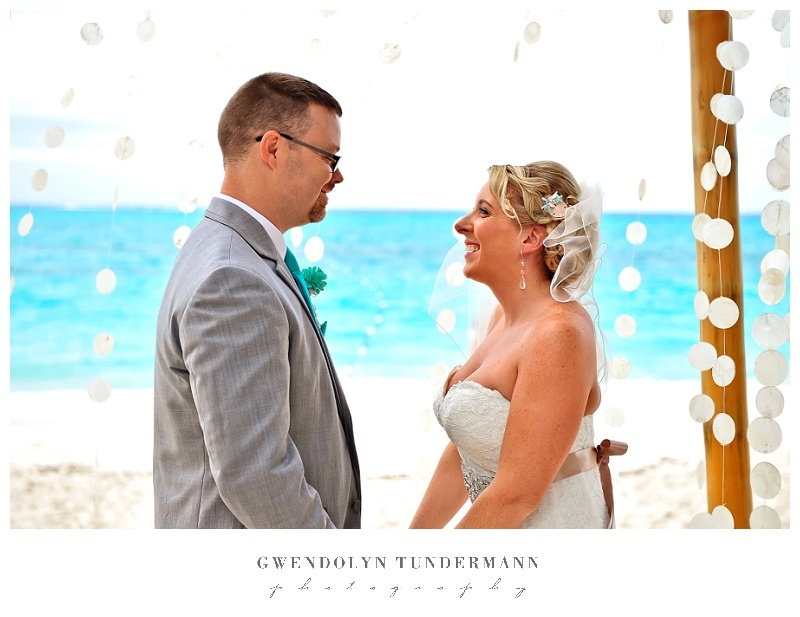 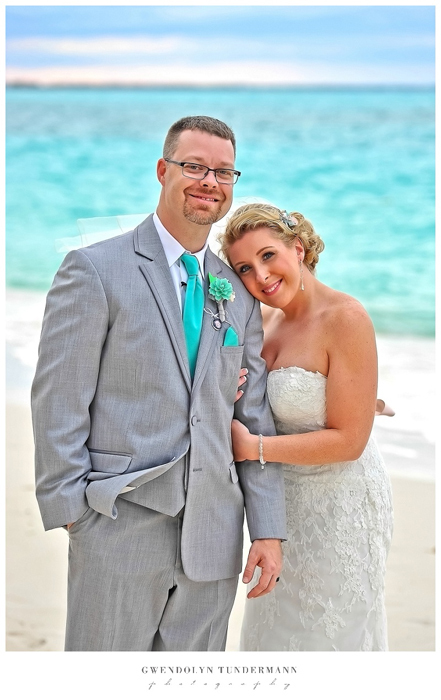 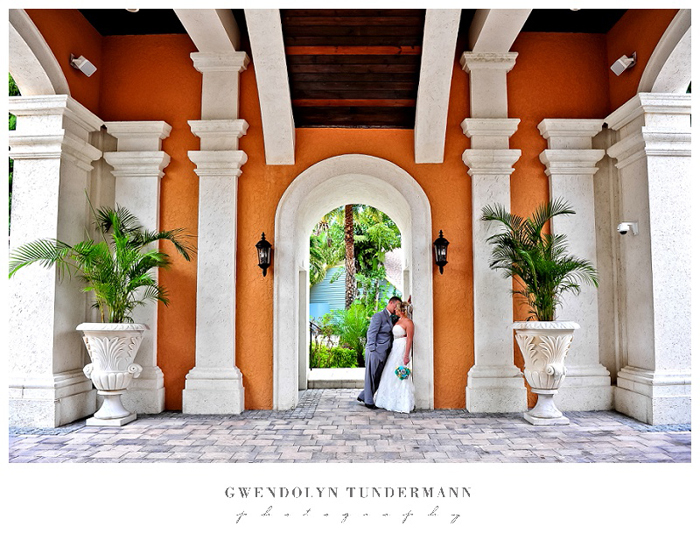 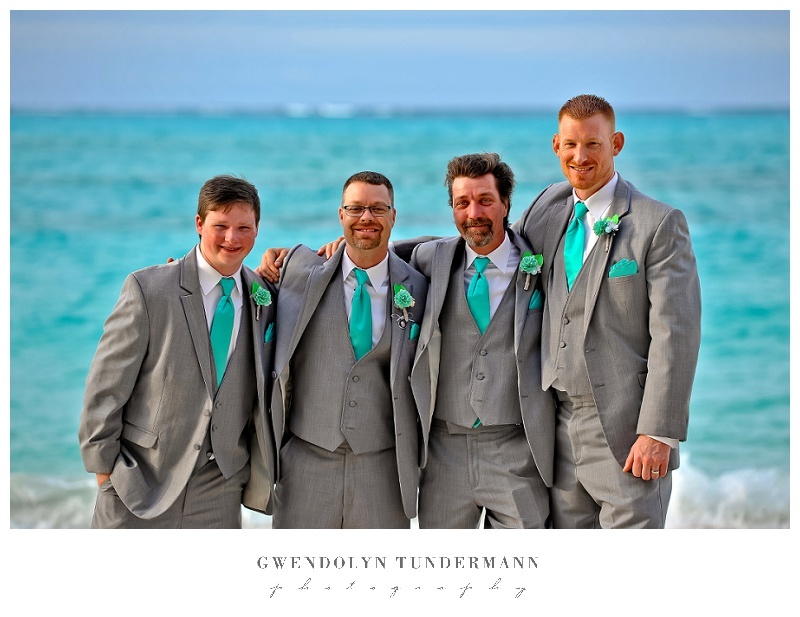 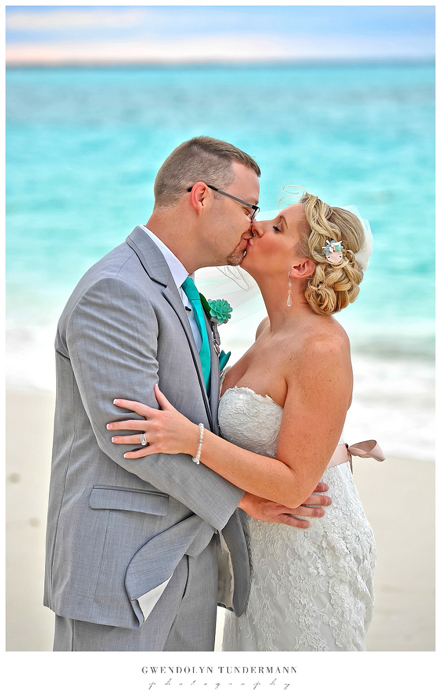 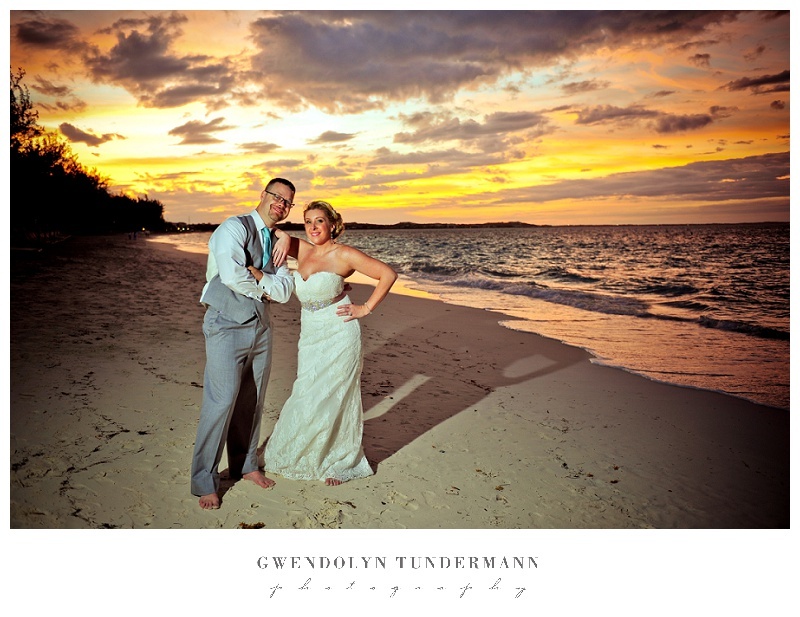 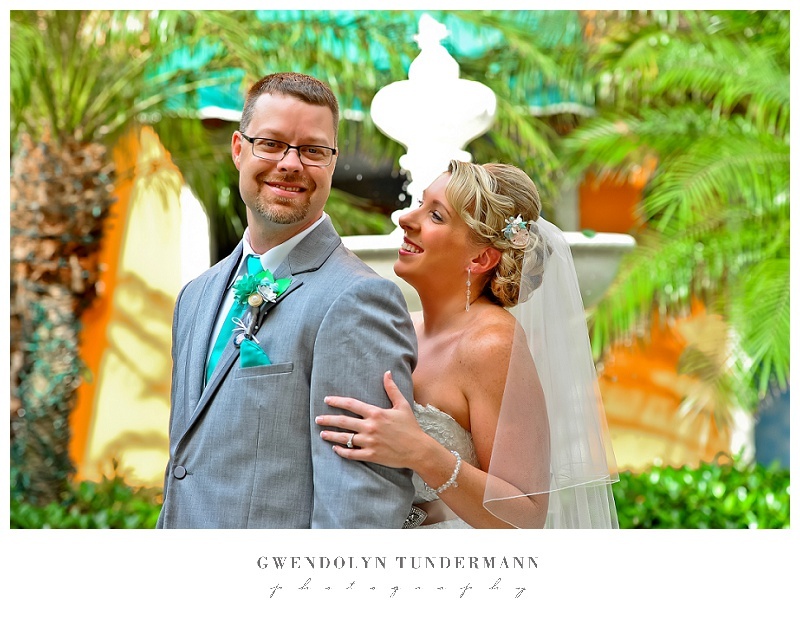 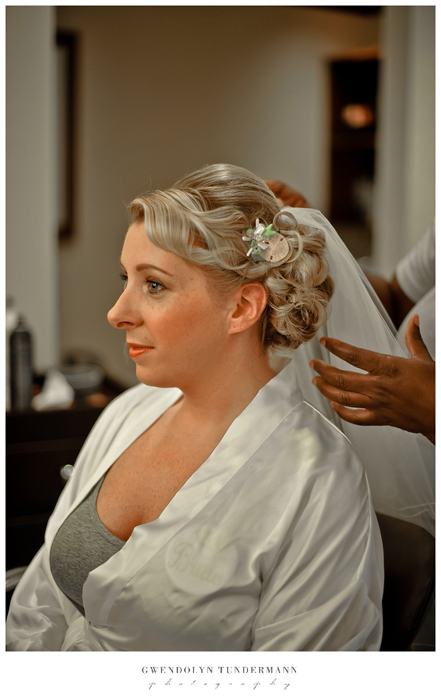 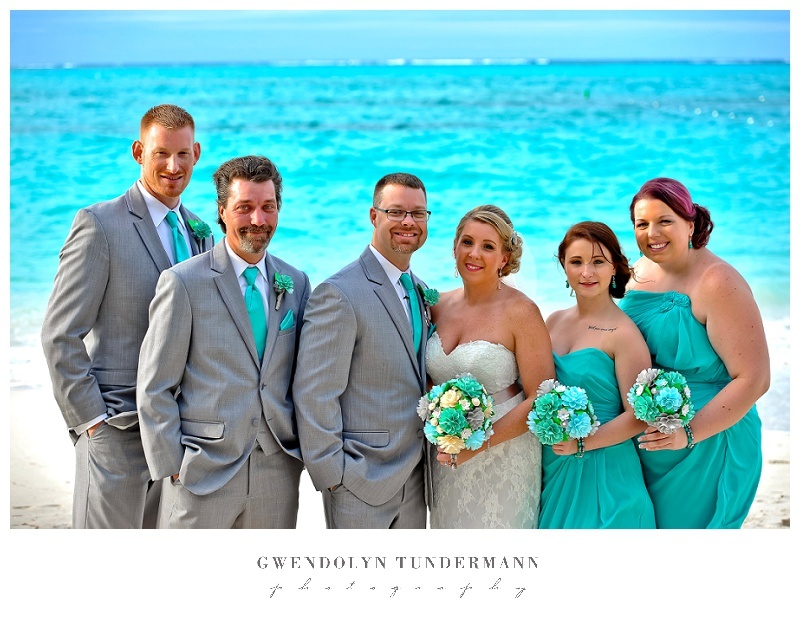 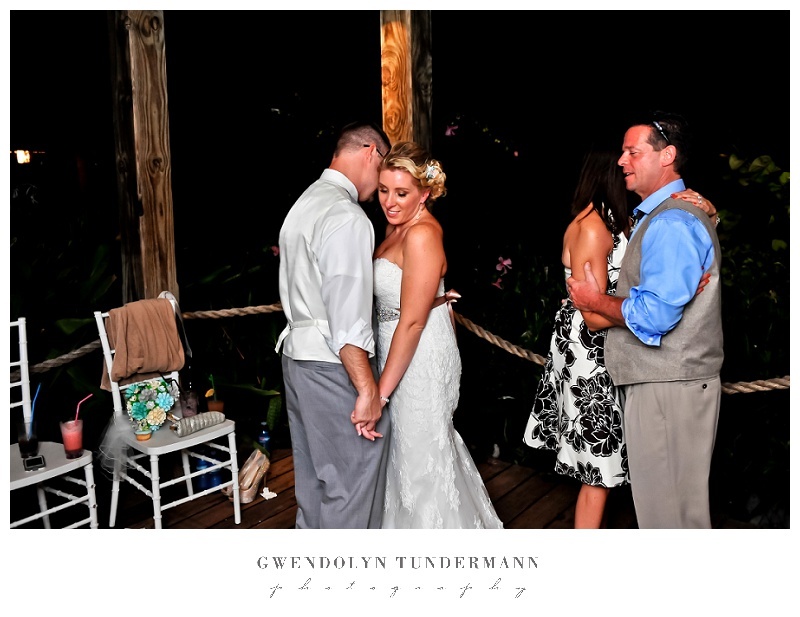 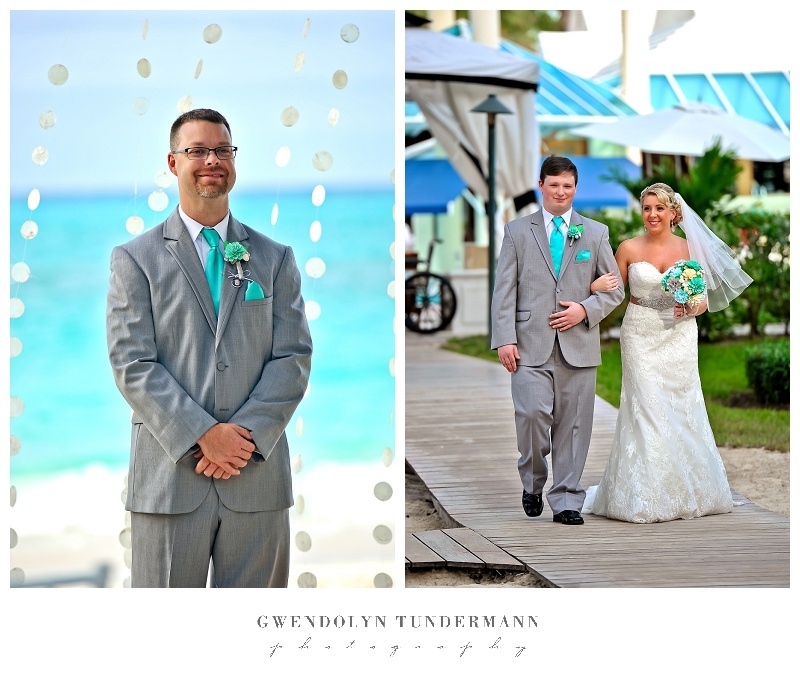 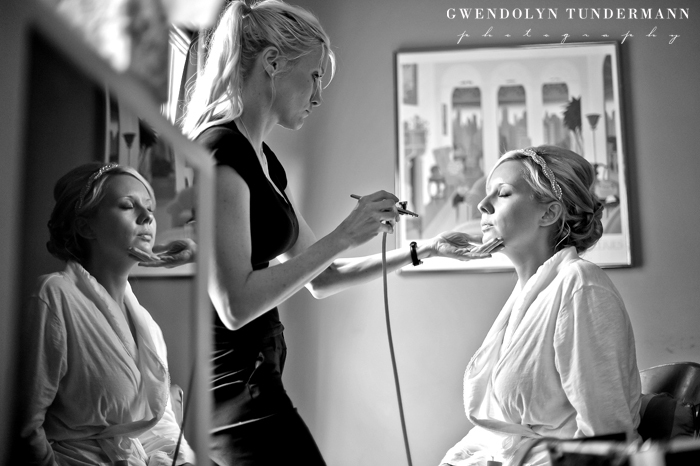 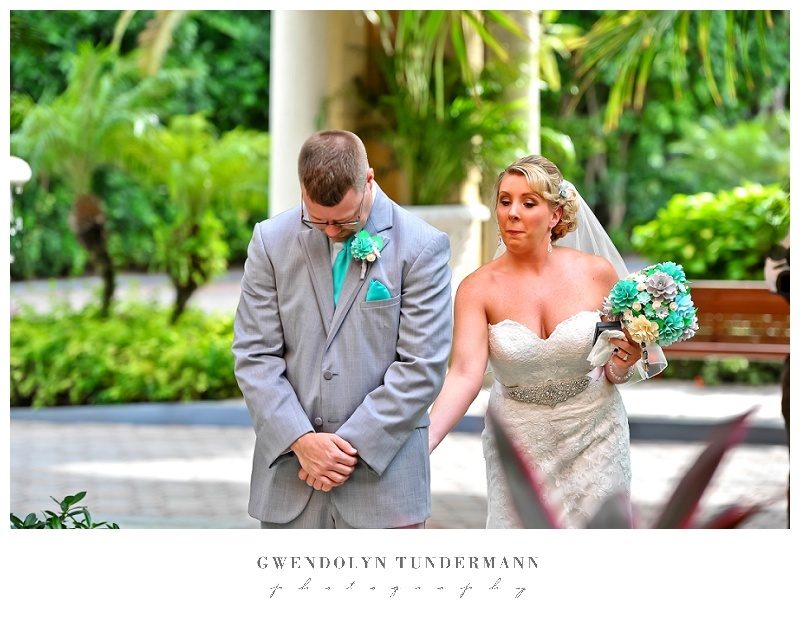 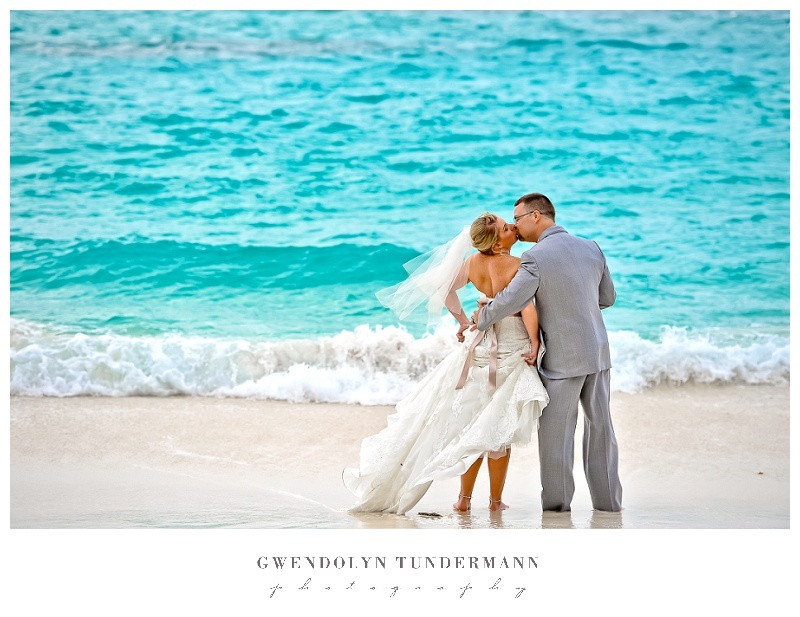 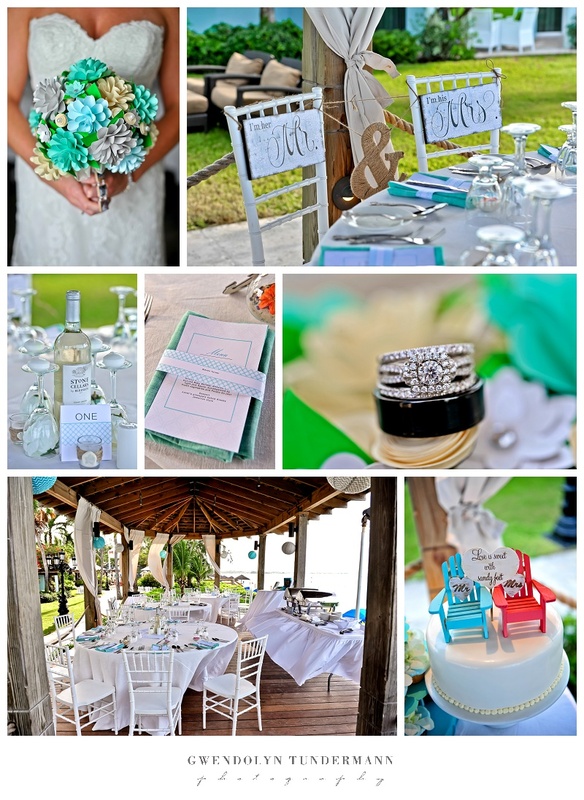 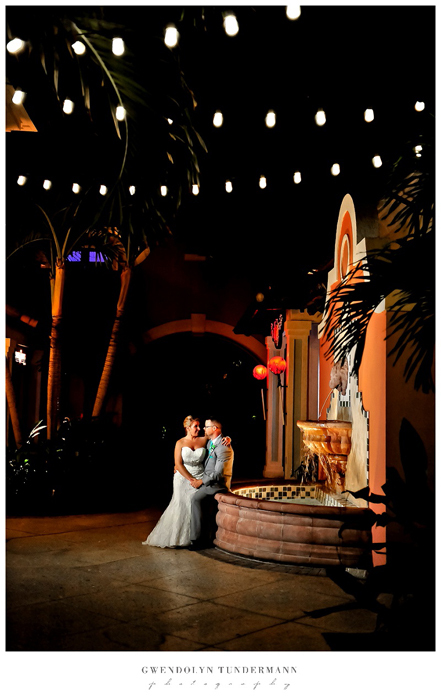 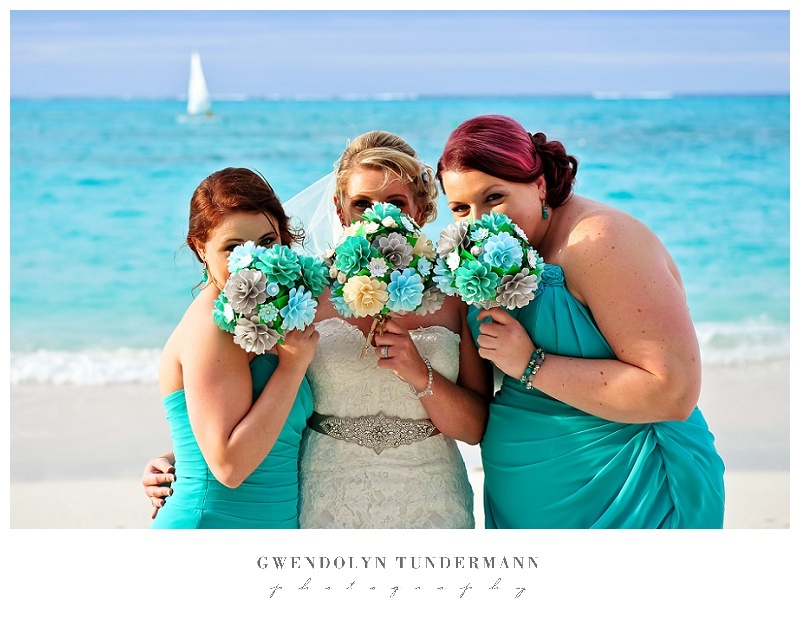 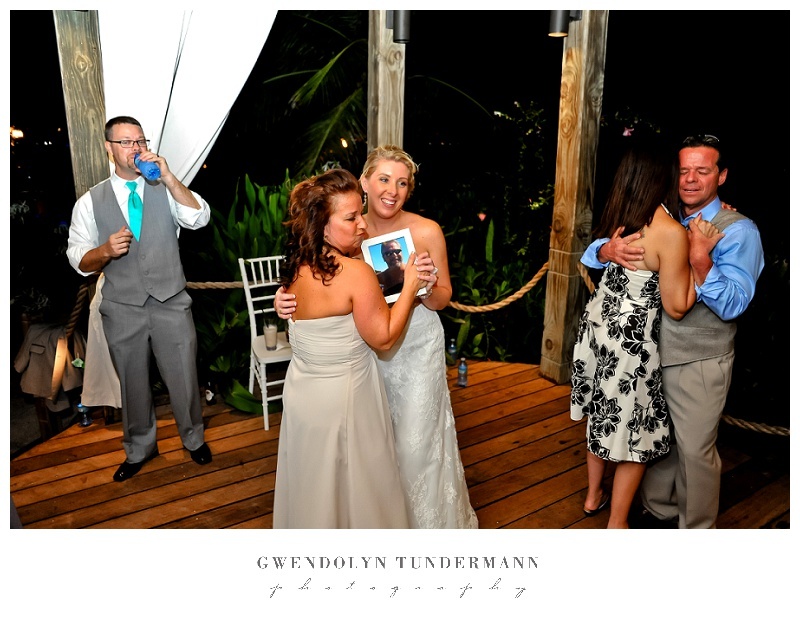 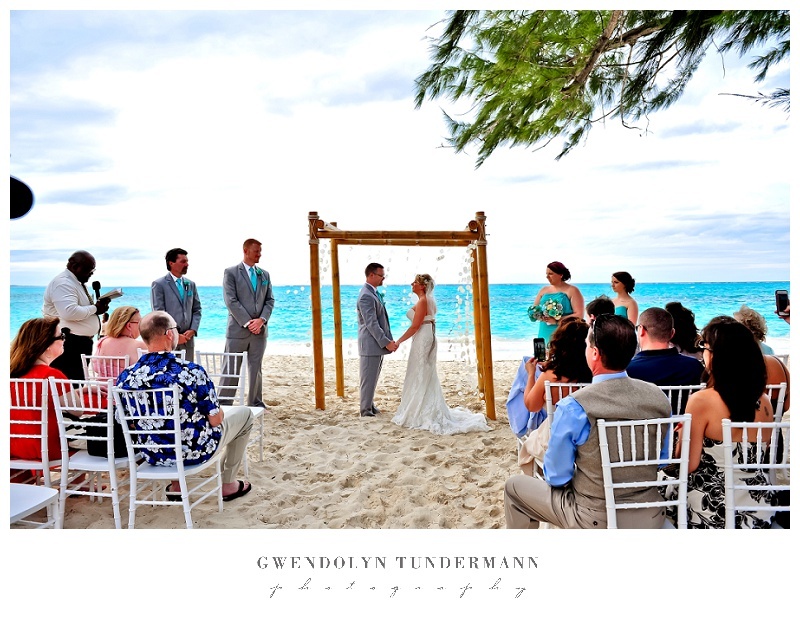 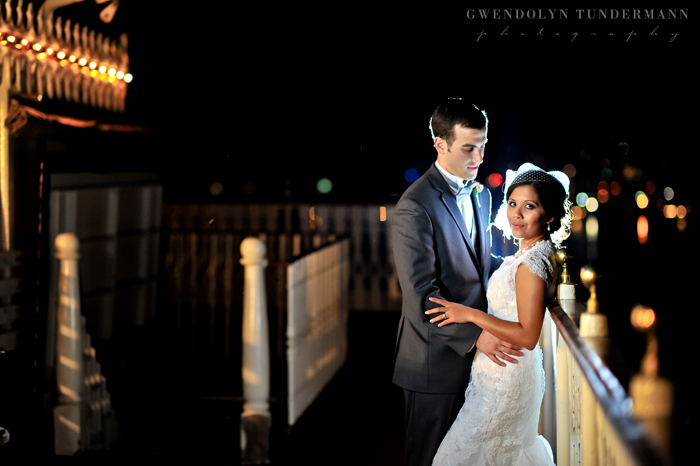 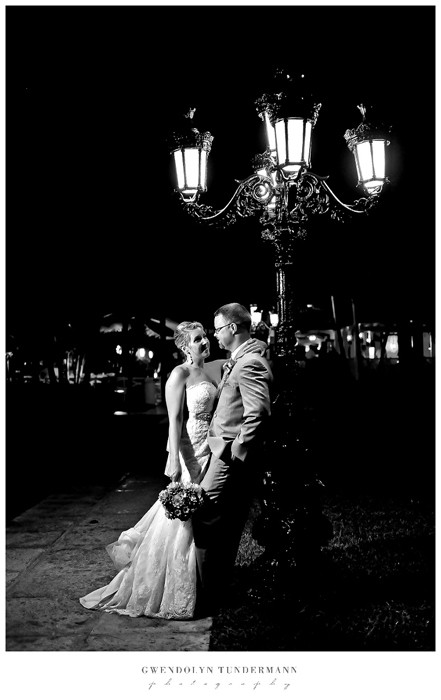 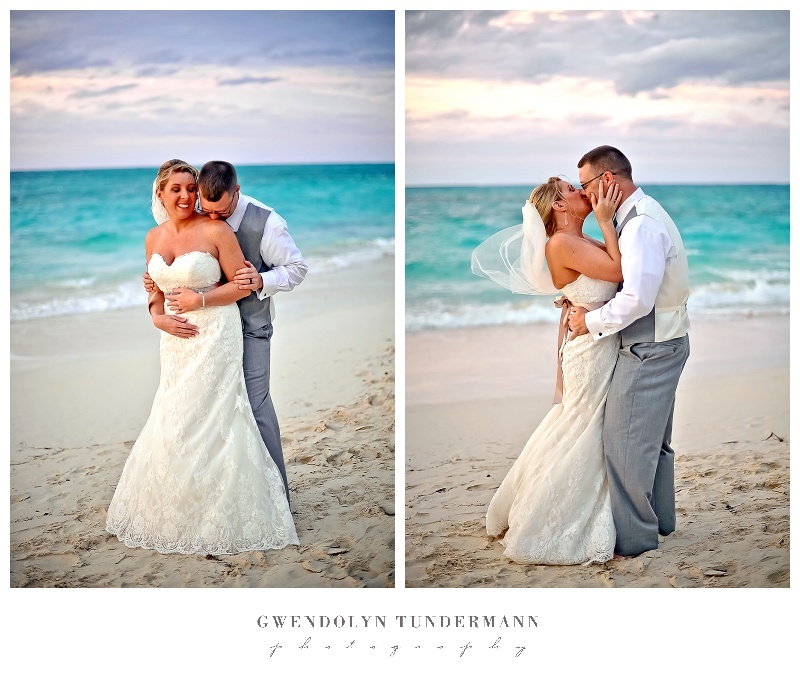 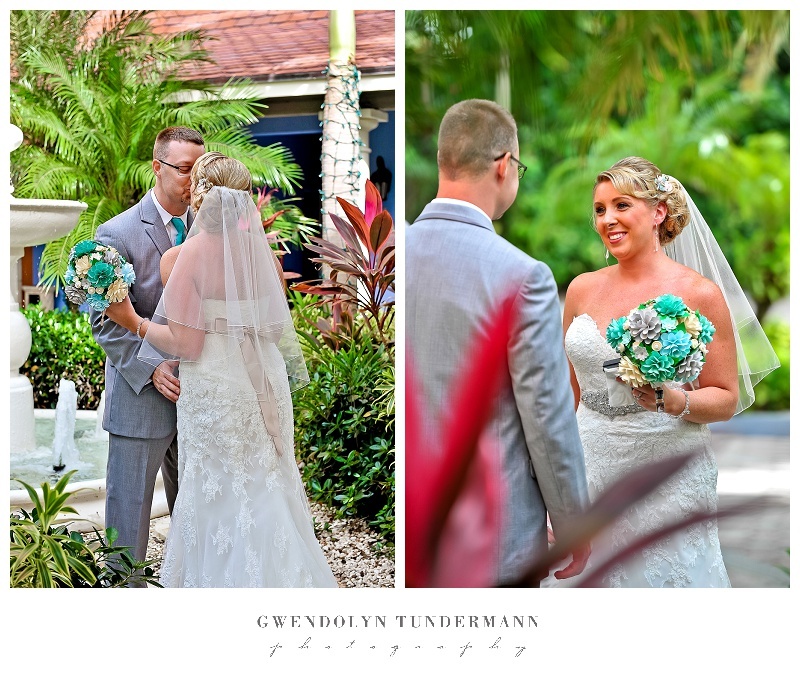 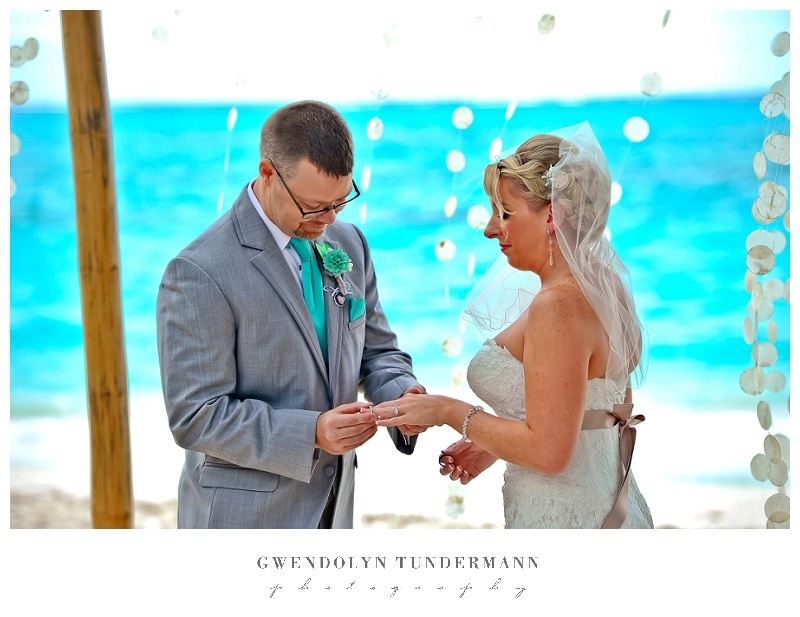 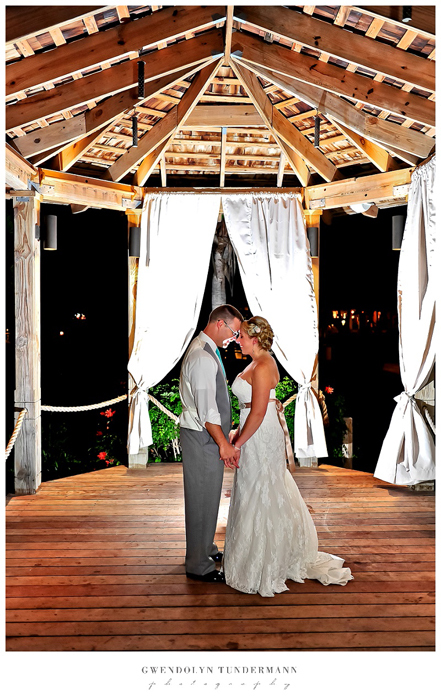 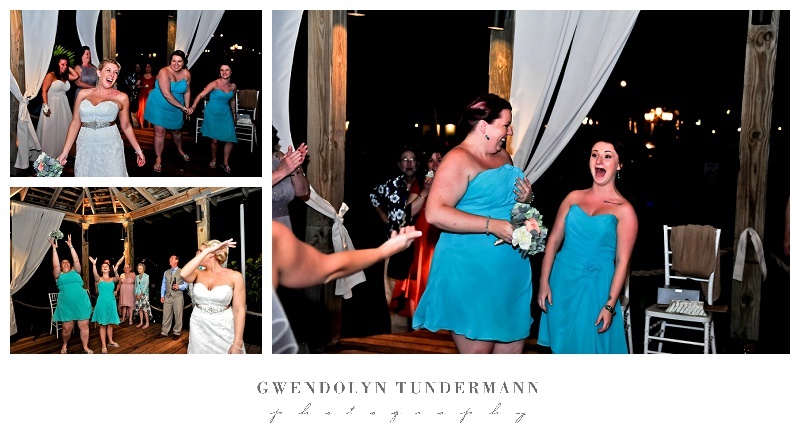 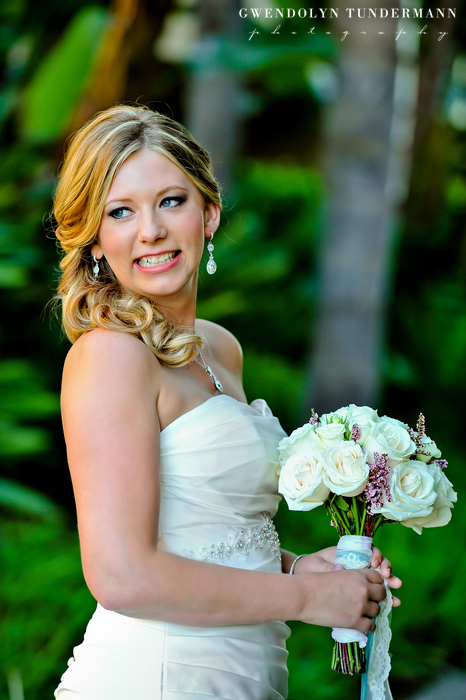 We just got back from a fabulous weekend with Meagan & Steven for their destination wedding at Beaches Turks and Caicos! 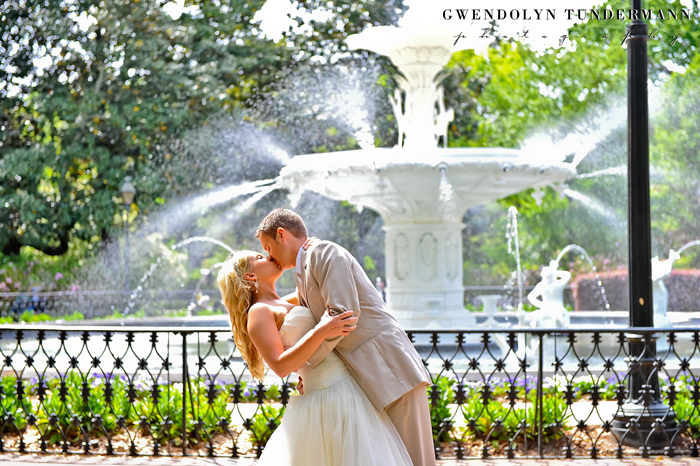 What a gorgeous place to say “I Do!” As I sort through hundreds of photos, I wanted to share just a few sneak peeks from their wedding! 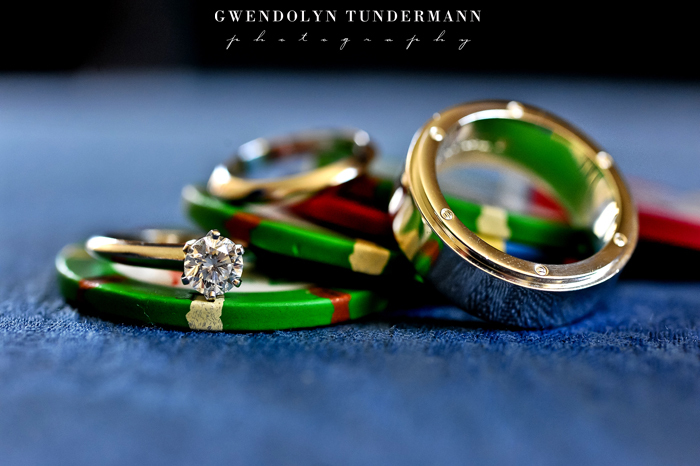 It was hard to choose (and even after writing this I still added ANOTHER one). 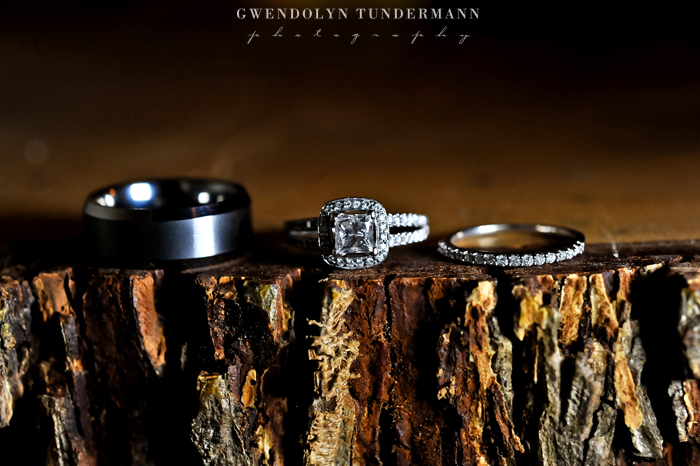 There’s a lot more to come, but I hope you enjoy this little preview! 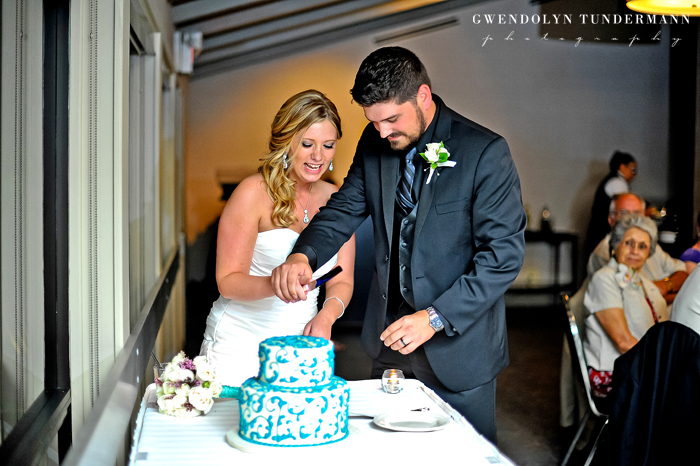 Congrats Meagan & Steven! 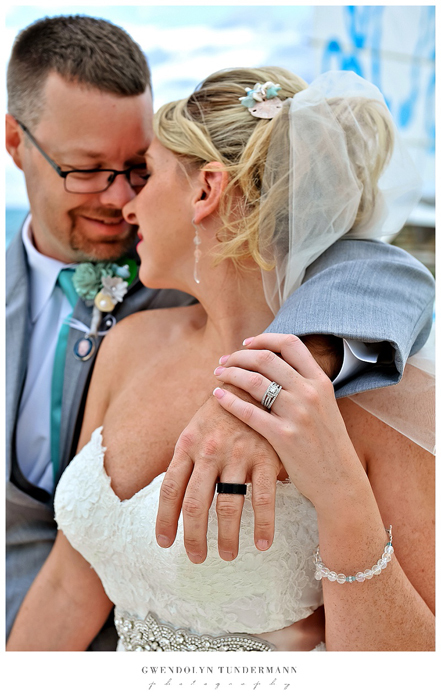 As we begin the New Year, Matt and I have been reflecting on some of our favorite moments of 2013. 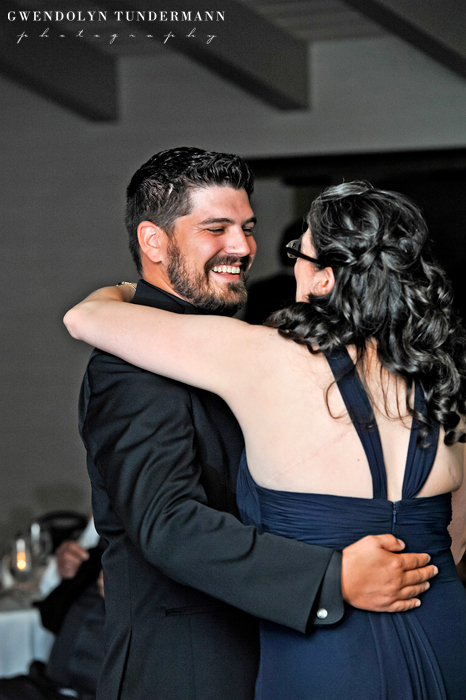 It was another incredible year filled with special memories and special people. 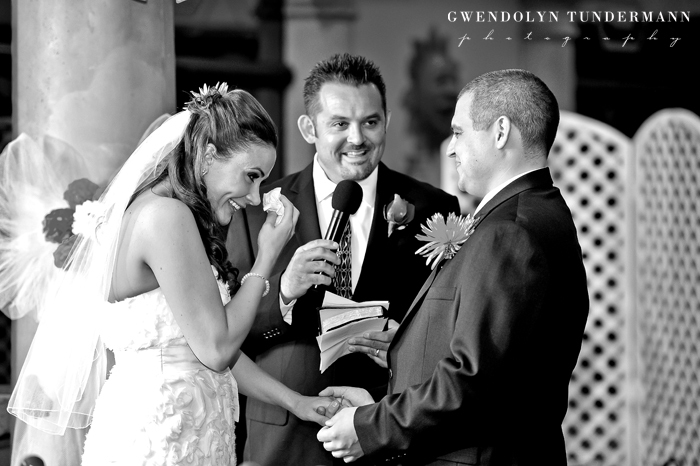 There were moments that made our hearts melt and others that made us laugh until our cheeks hurt! 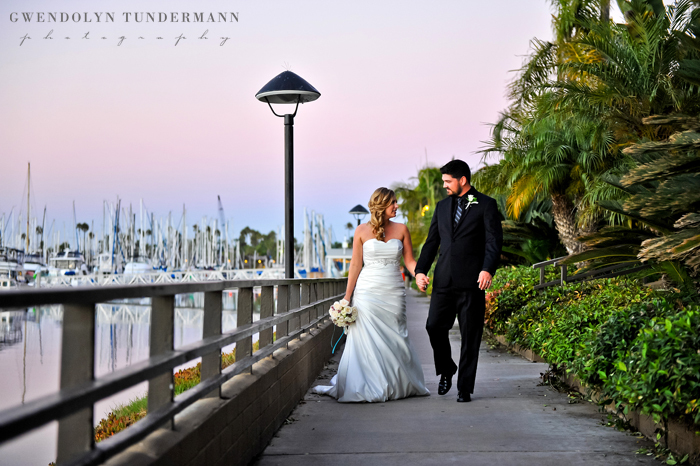 We traveled to some beautiful places and we got to explore this new place that we call home in southern California! 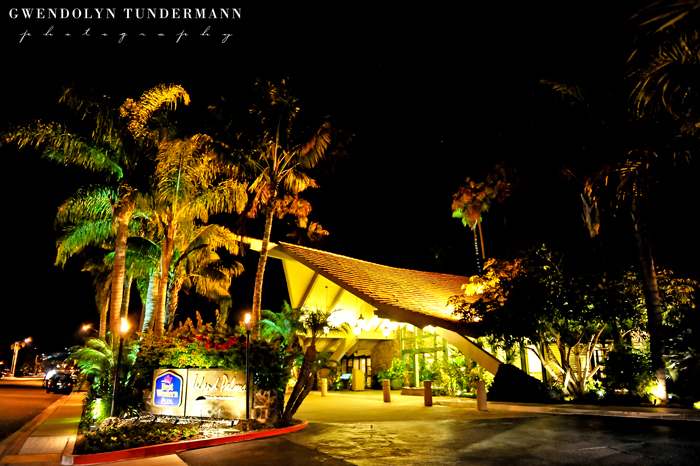 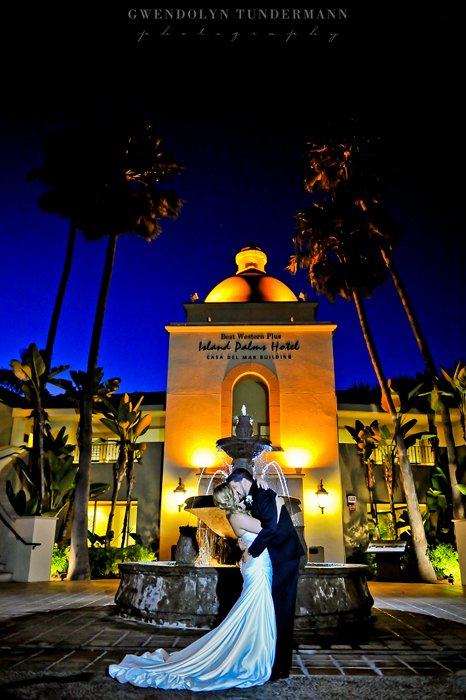 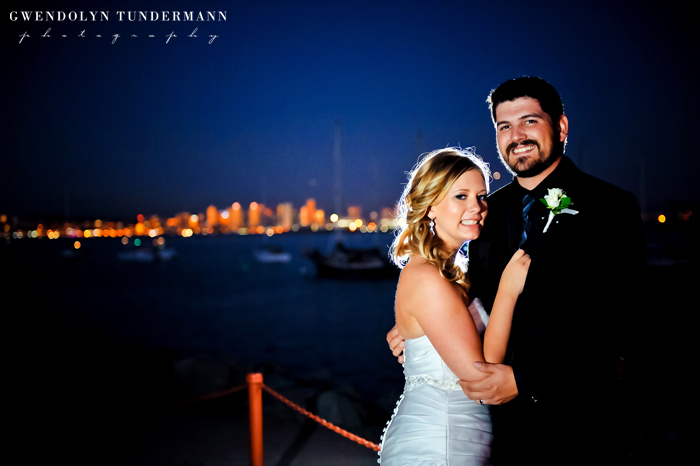 This was our first year as San Diego wedding photographers, and though we love shooting weddings here in California we also had the opportunity to travel once again to destinations throughout the U.S. and the Caribbean! 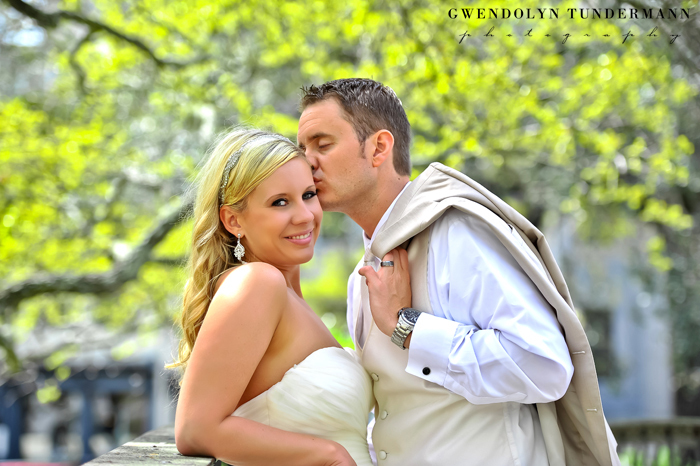 It was so amazing to shoot our couples against the backdrop of bridges in New York, mossy oak trees in Savannah, and sandy shores of Jamaica. 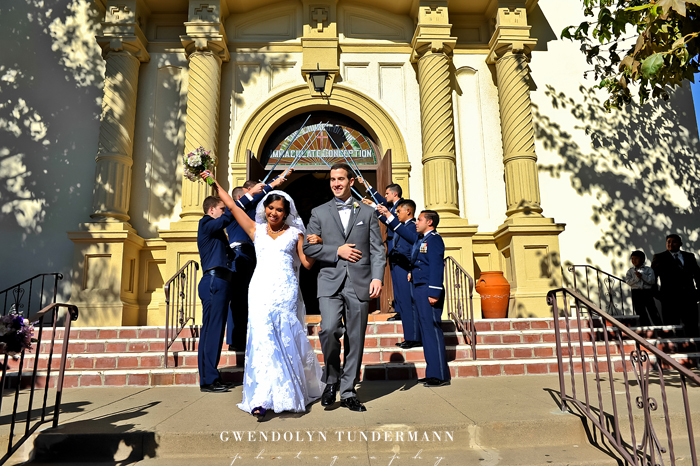 Here in California, we saw the beauty of the rocky coastline, the grandeur of northern California’s forests, and enjoyed year-round beautiful weather! 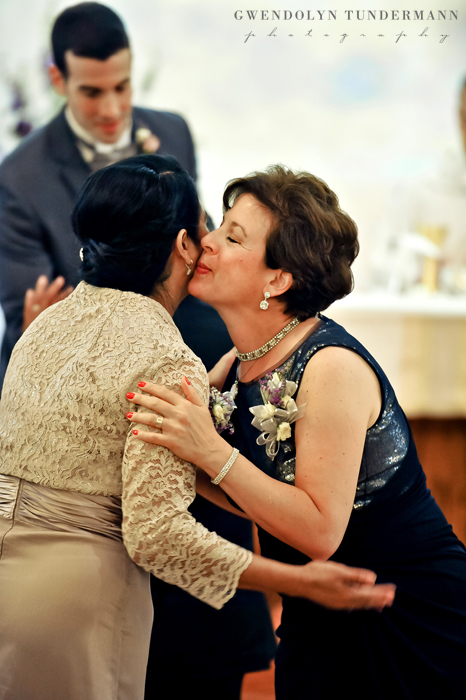 We also got to share in joyous celebrations with those we love! 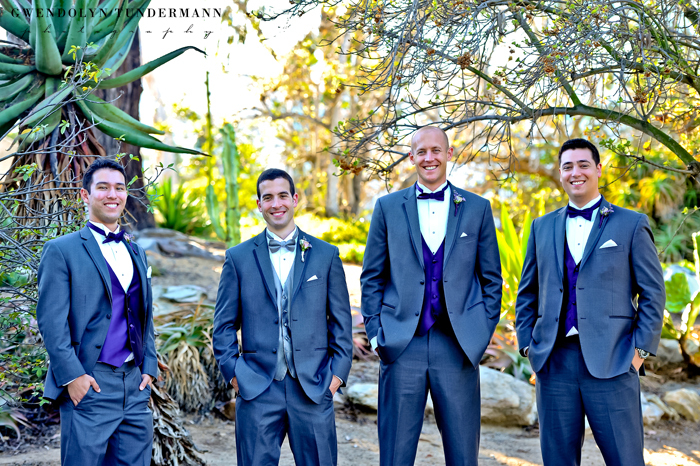 We traveled to China for Matt’s brother’s wedding, experiencing a new culture and seeing some of the most amazing sites in all the world! 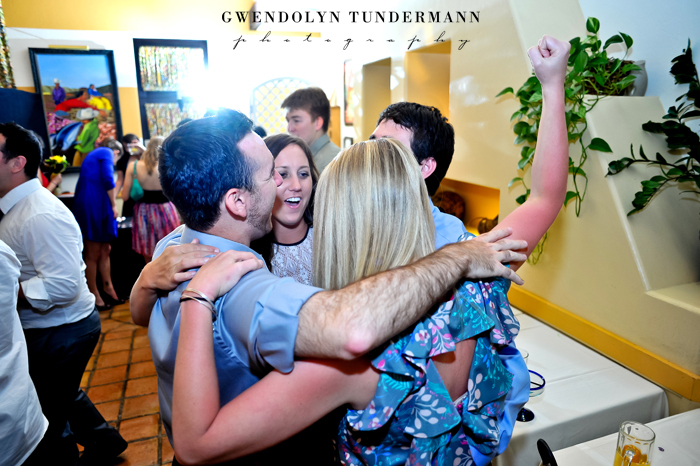 And recently, Gwen’s best friend got engaged, so we look forward to his wedding in 2014! 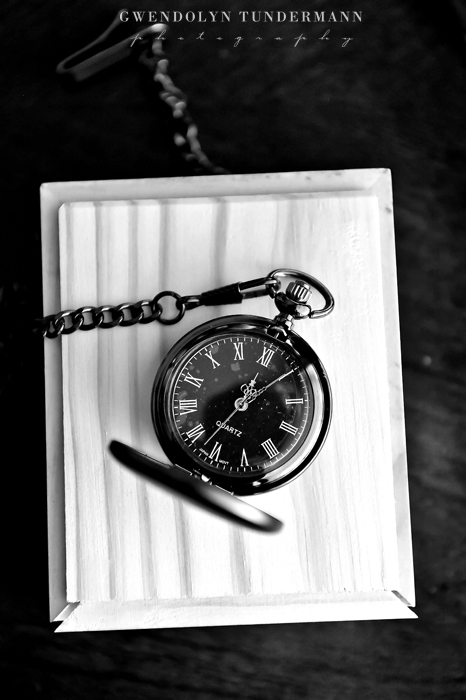 Over the past few weeks, we have thought a lot about what we want 2014 to look like for our business, and we have some HUGE news to share with everyone tomorrow! 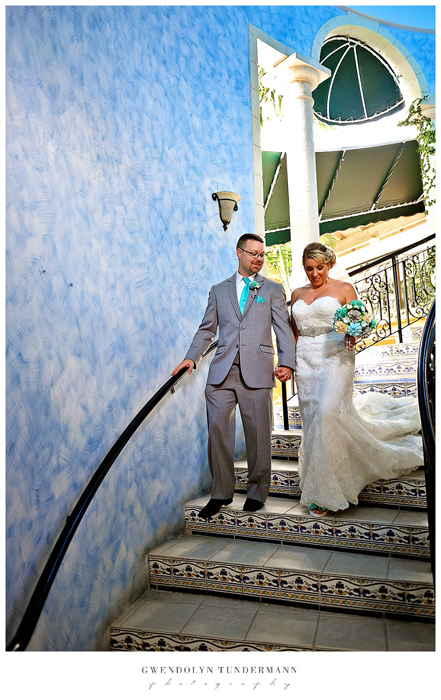 We are so excited about taking things in a new direction and excited for being able to offer so much more to our clients and their friends and families! 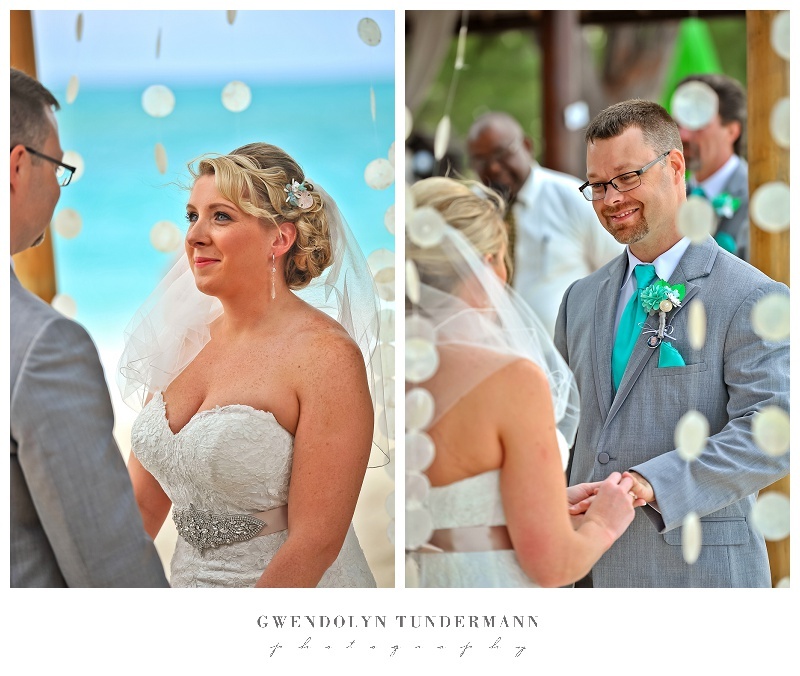 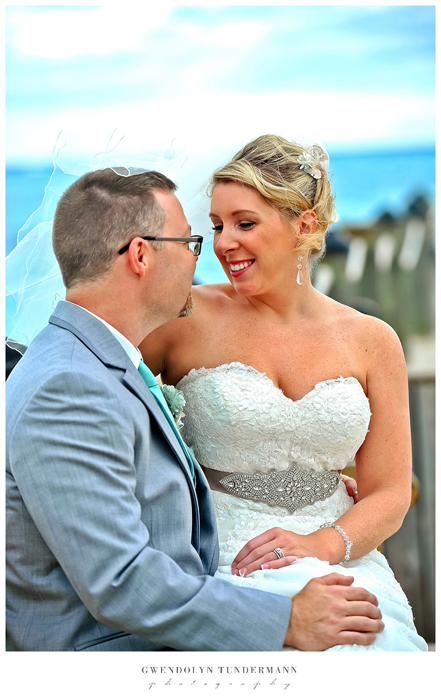 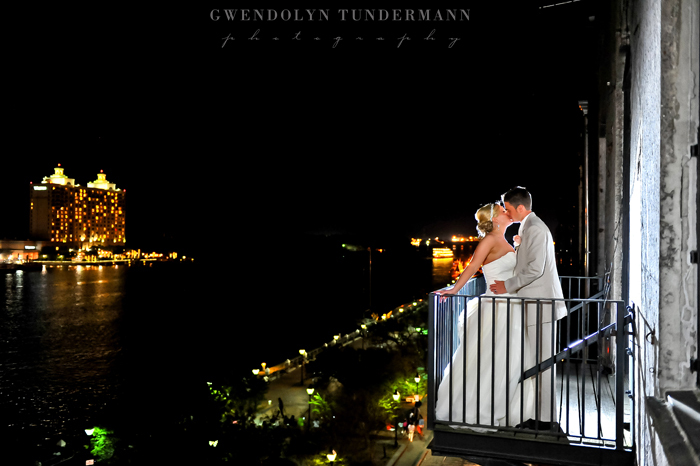 And, of course, we can’t wait to share new memories with our 2014 couples, beginning with our first couple of the year just a week and a half away! 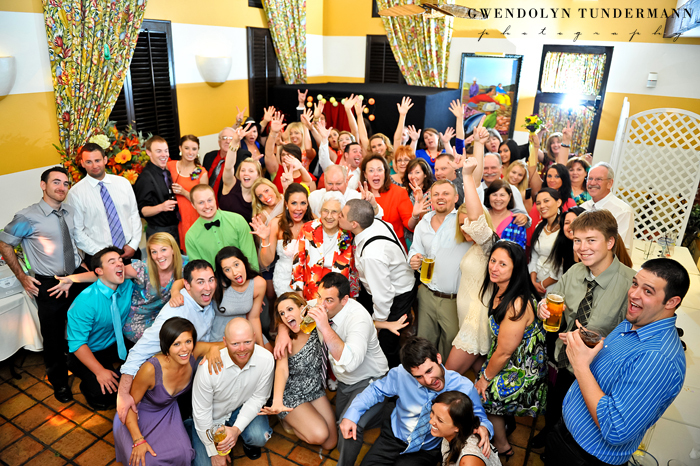 But before we move forward with our exciting plans for the new year, we want to send a gigantic THANK YOU to everyone who made 2013 such an amazing year! 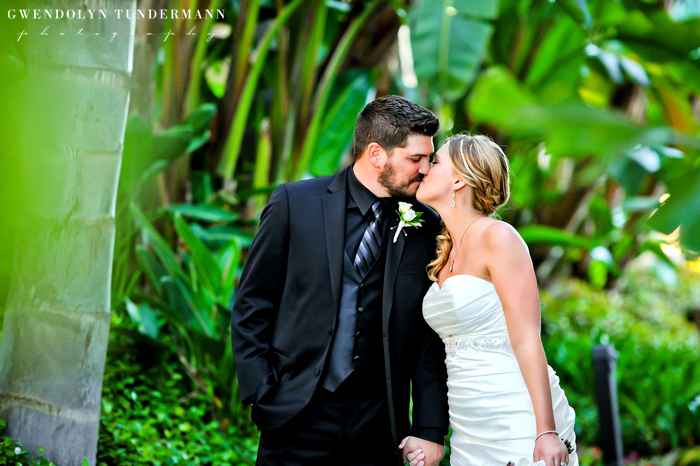 We wish you continued love and happiness in the New Year! 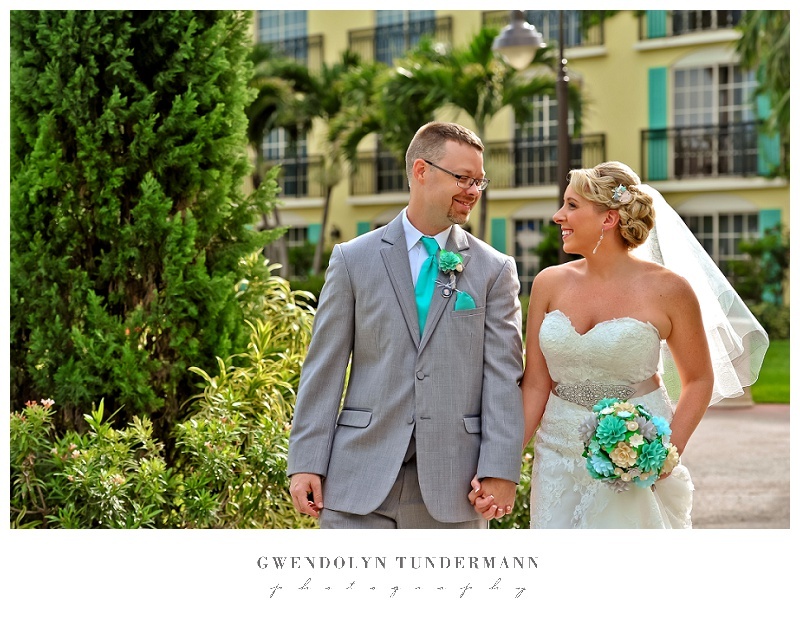 Time to catch up on more blog posts! 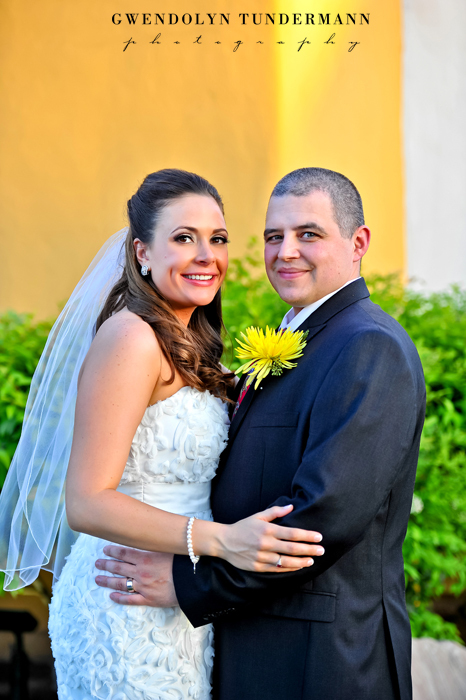 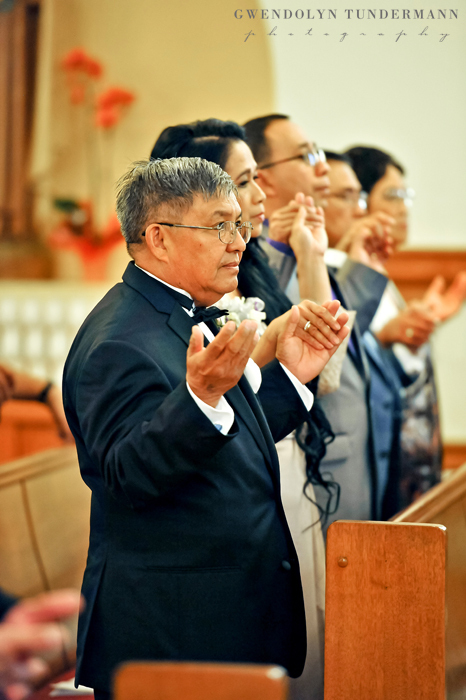 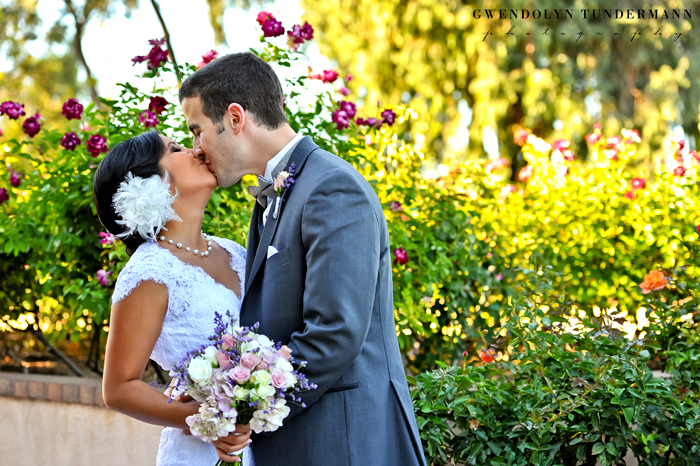 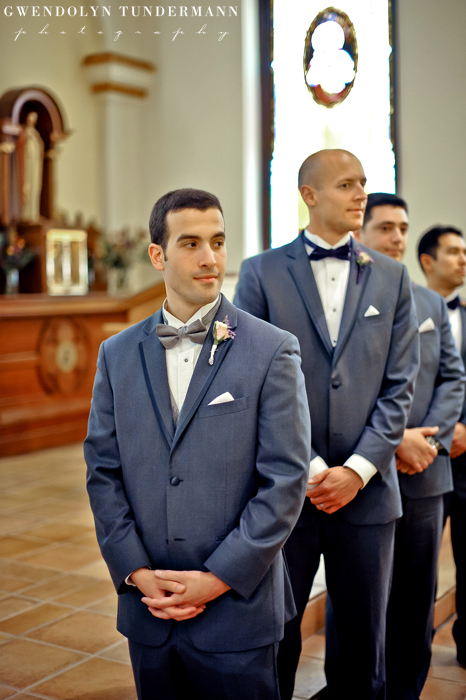 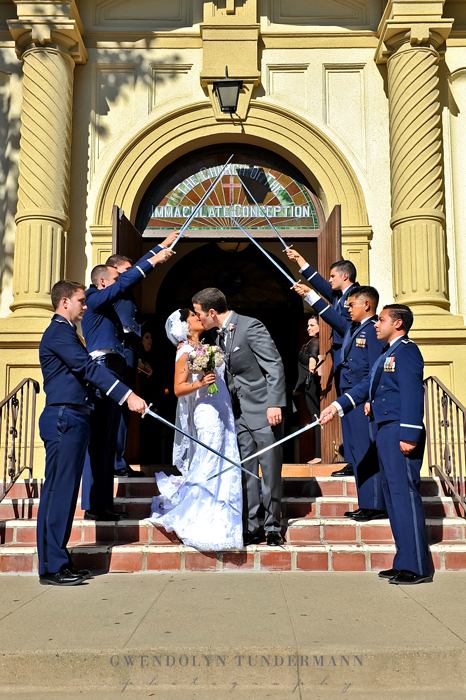 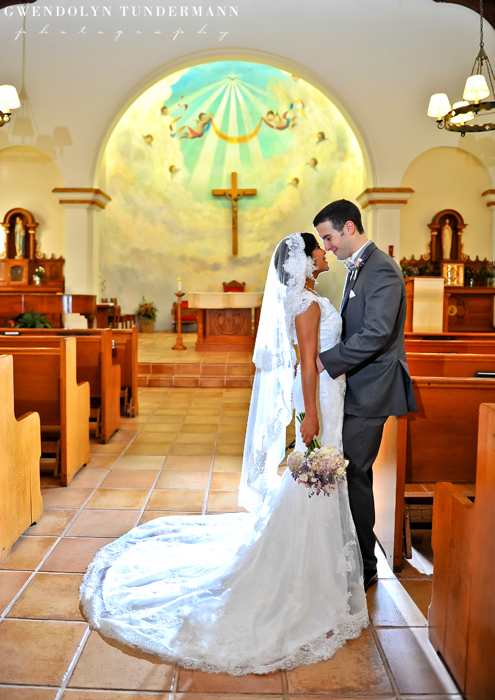 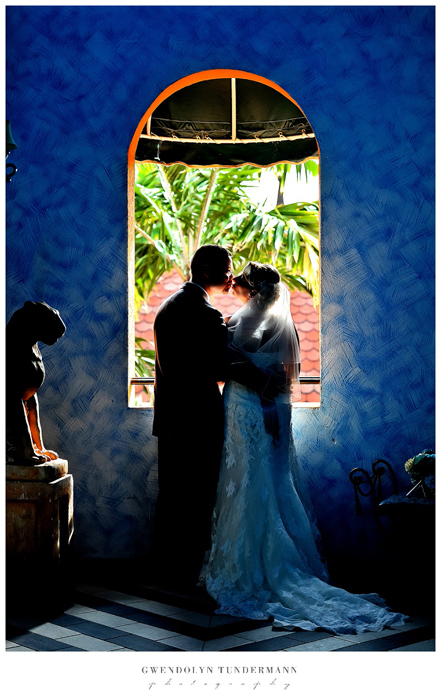 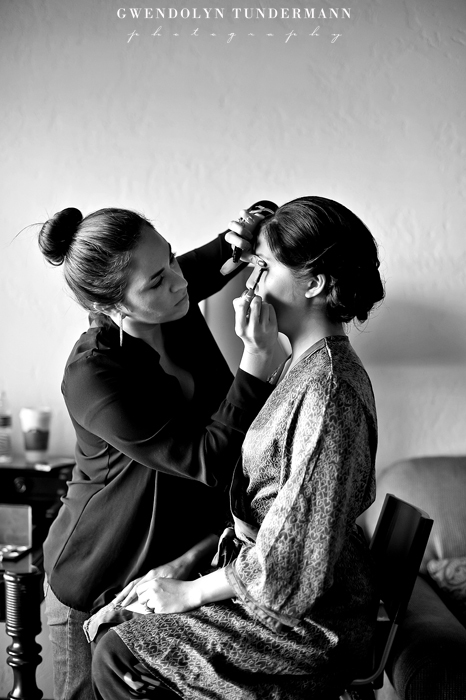 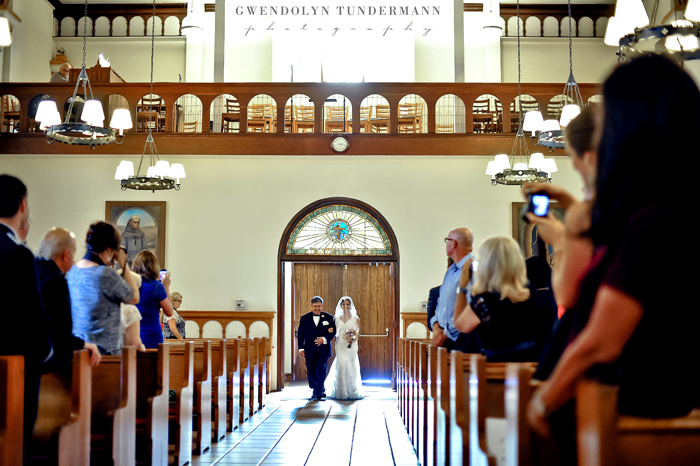 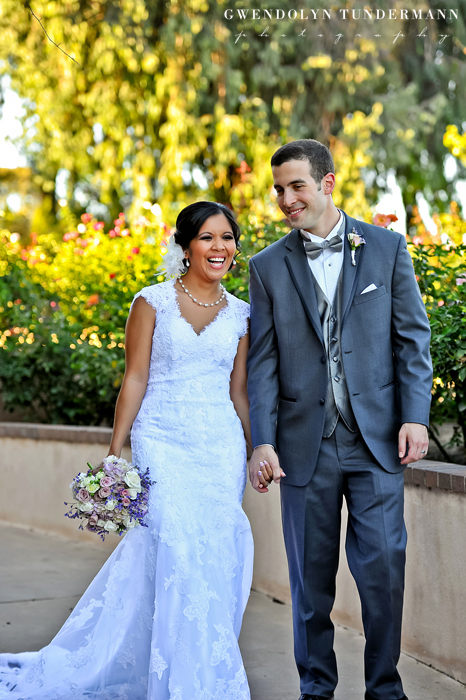 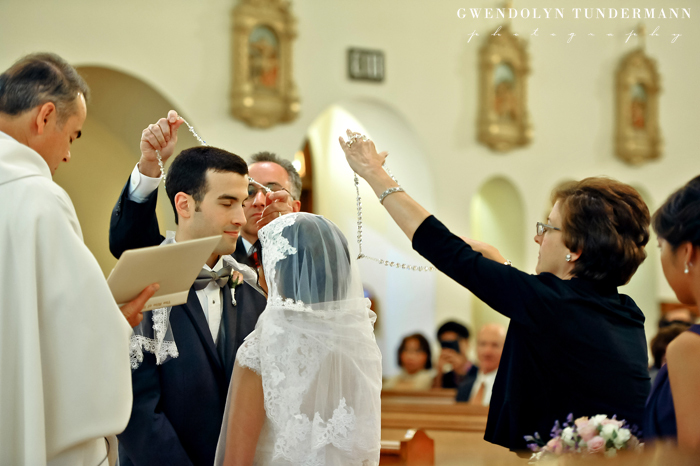 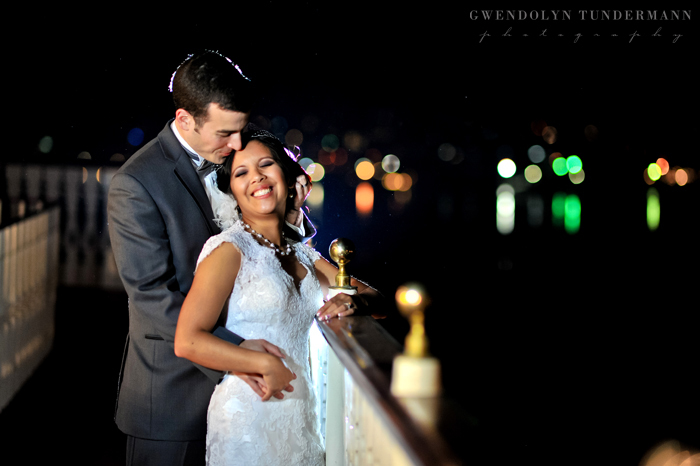 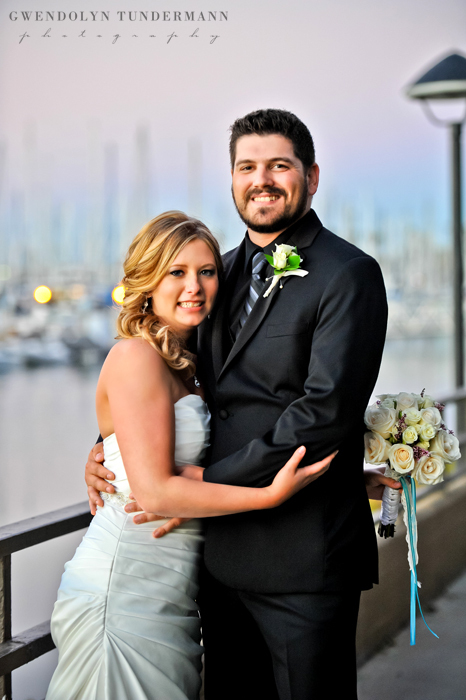 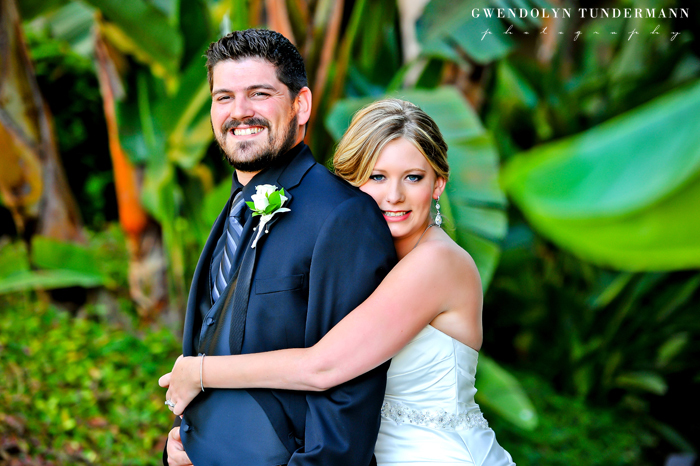 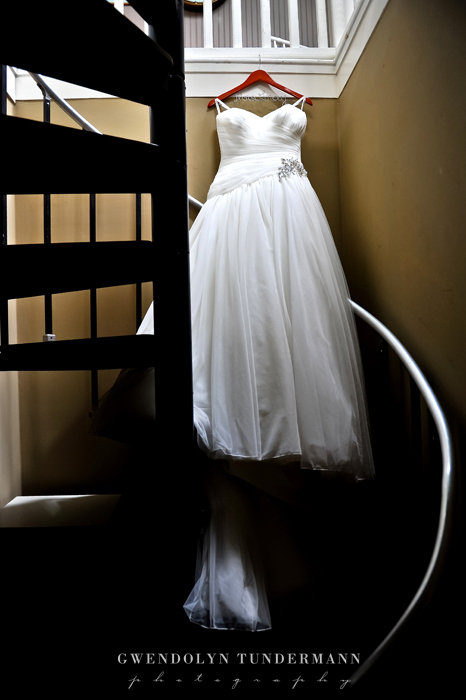 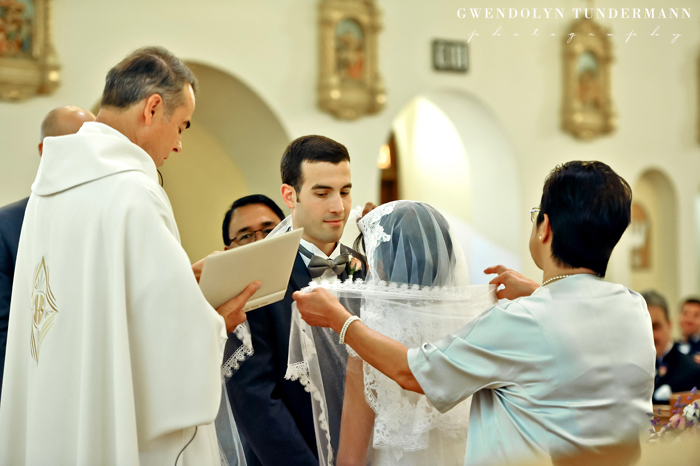 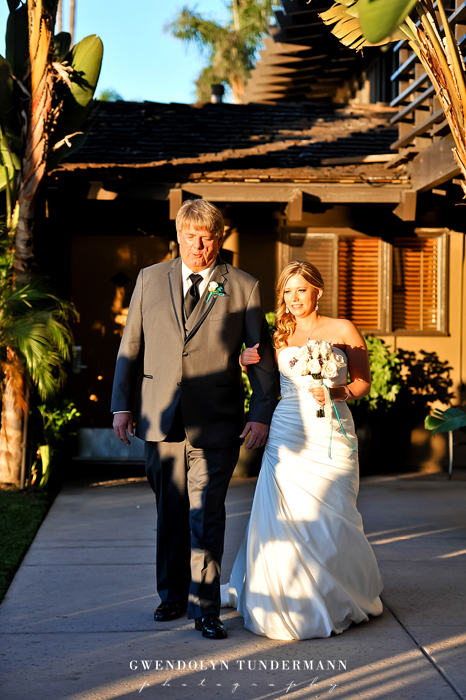 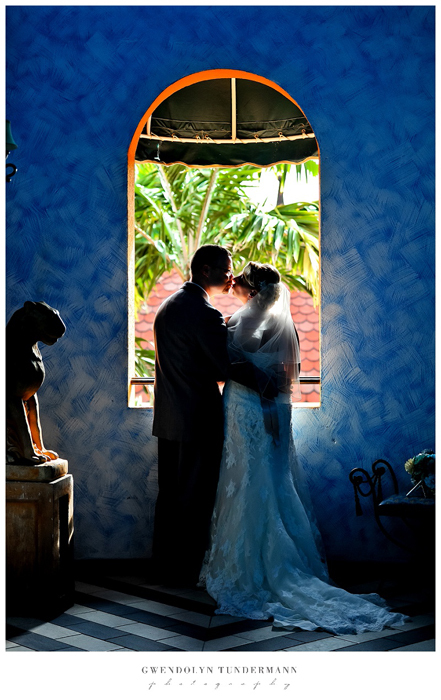 Maria & John were married earlier this month at Immaculate Conception Church in Old Town San Diego. 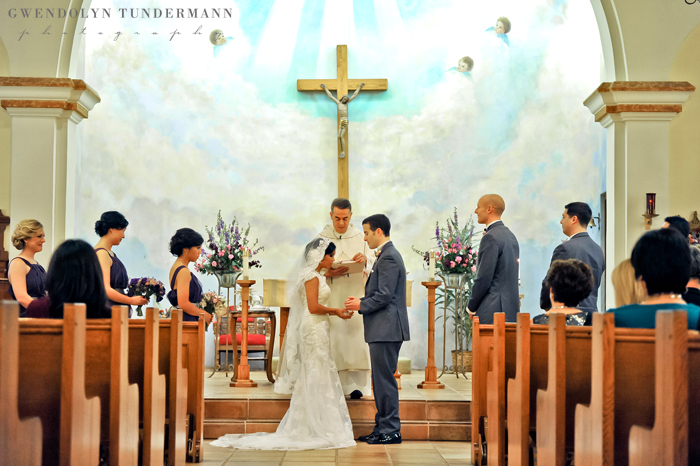 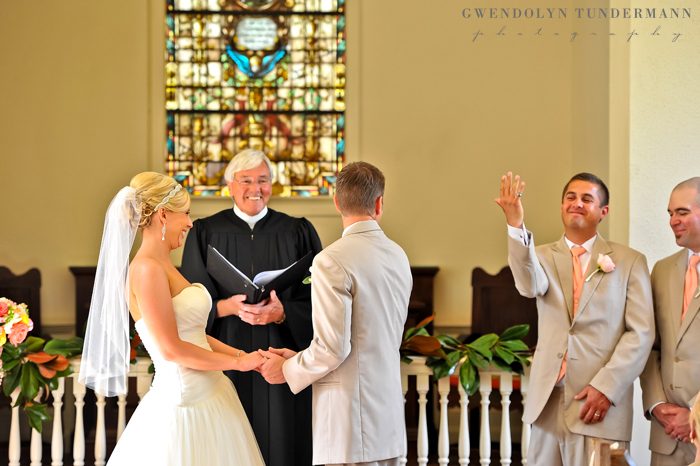 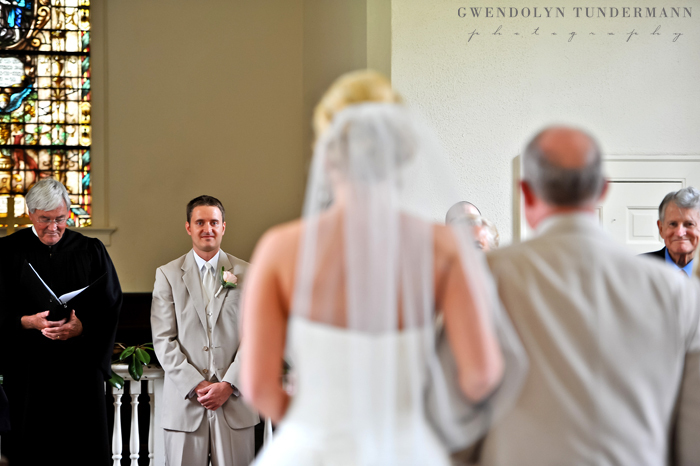 I really adore this church and especially this gorgeous wedding! 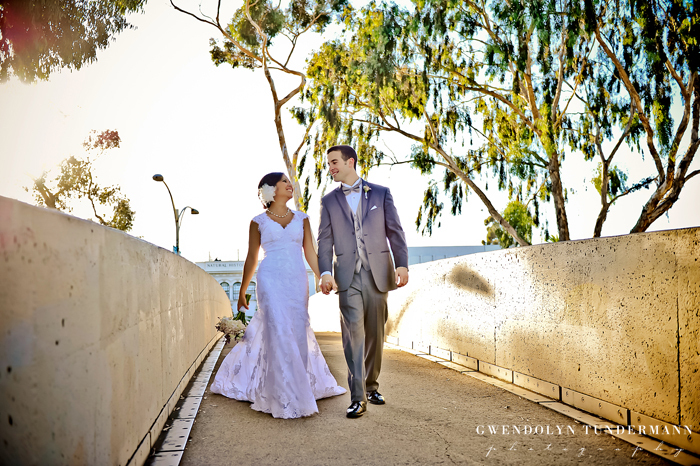 After the ceremony, we headed off for more wedding photos at Balboa Park! 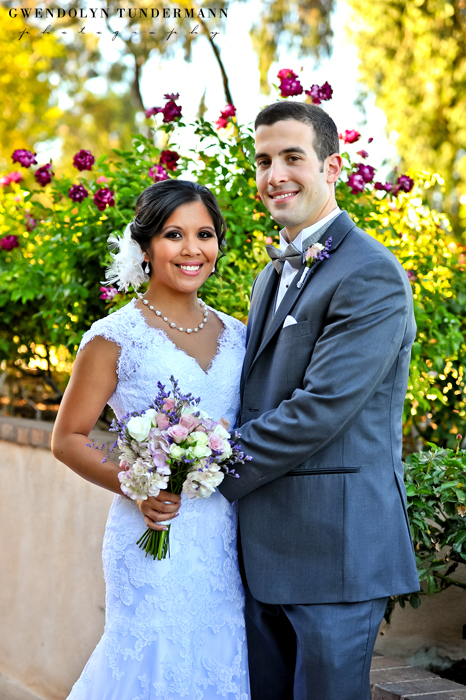 Fortunately, we found some beautiful purple roses to match Maria & John’s wedding colors! 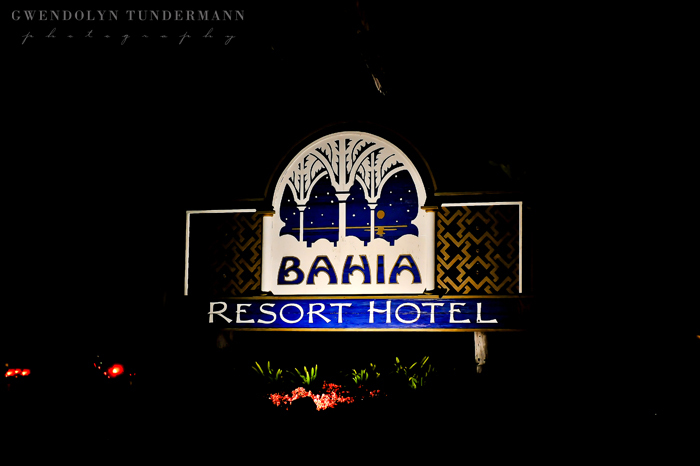 There was a long break in between the ceremony and reception, so everyone went back to their rooms at the Bahia Resort Hotel to relax. 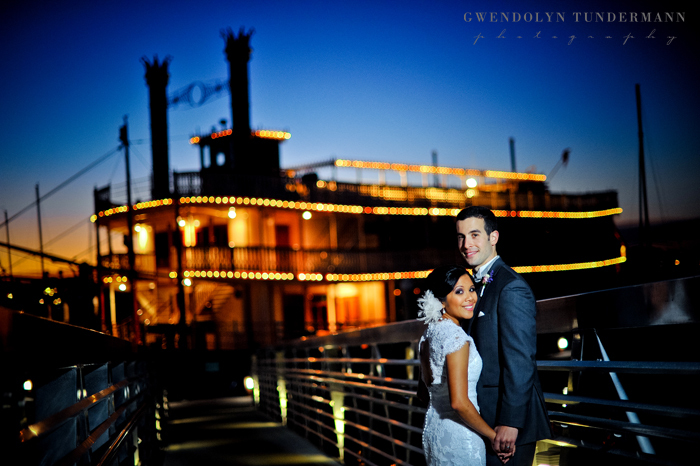 As the sun began to set, the guests lined up to board the stunning William D. Evans Sternwheeler for the cocktail hour and reception. I have to say, this may be the most amazing place ever for a reception! 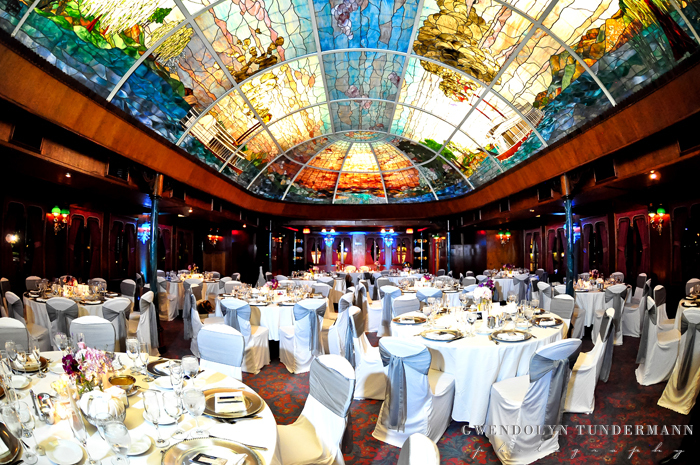 Though it was docked for the evening, it was really like stepping into another world (and time) on this grand ship! 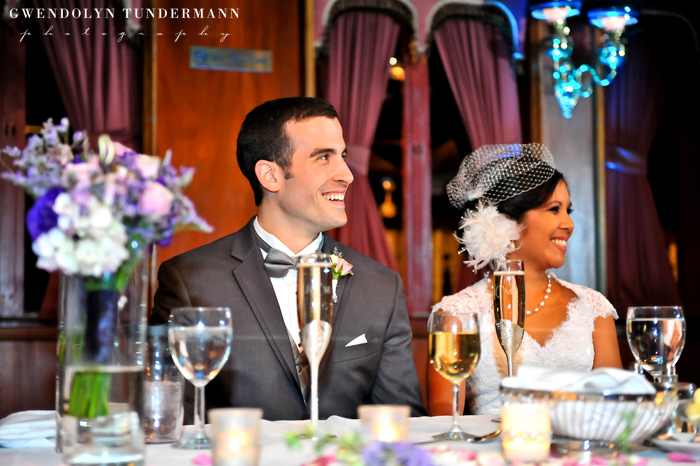 What an elegant and intimate way to spend the evening celebrating with friends and family! 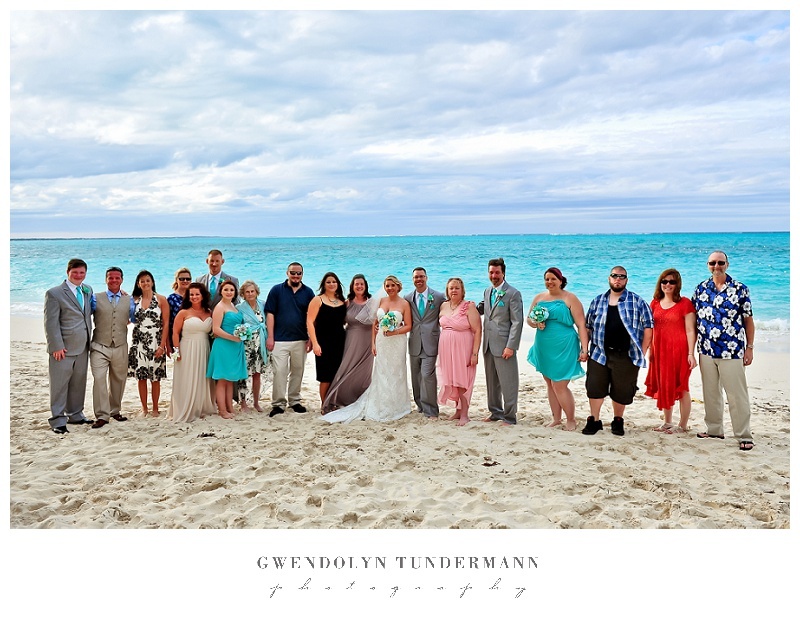 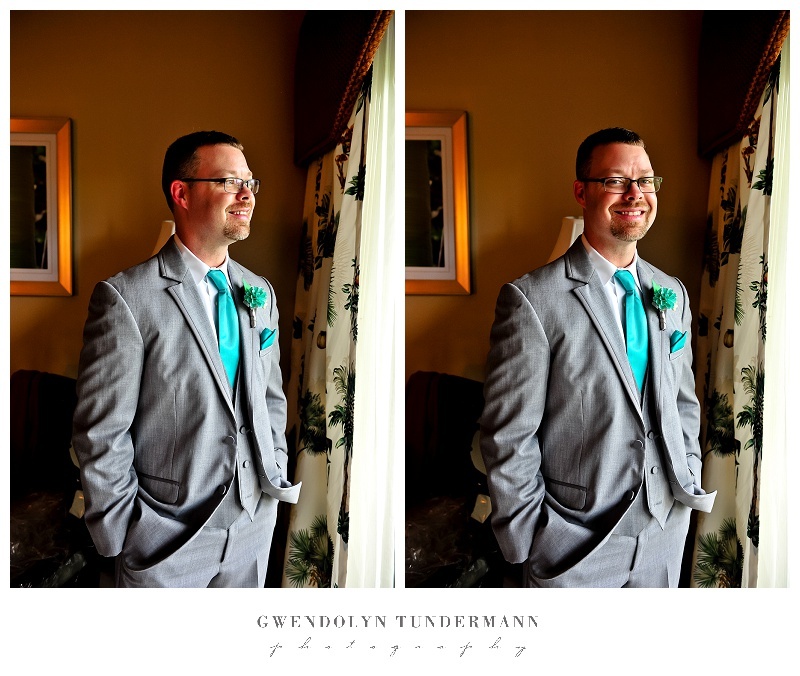 We had so much fun with everyone and I soooo love everything about this wedding! 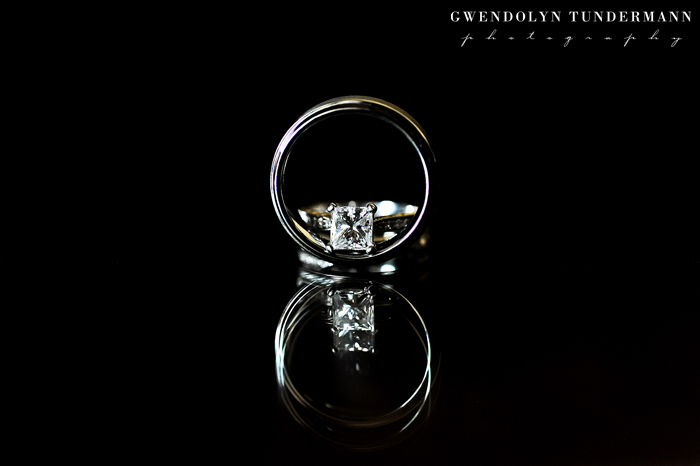 They really planned it to perfection! 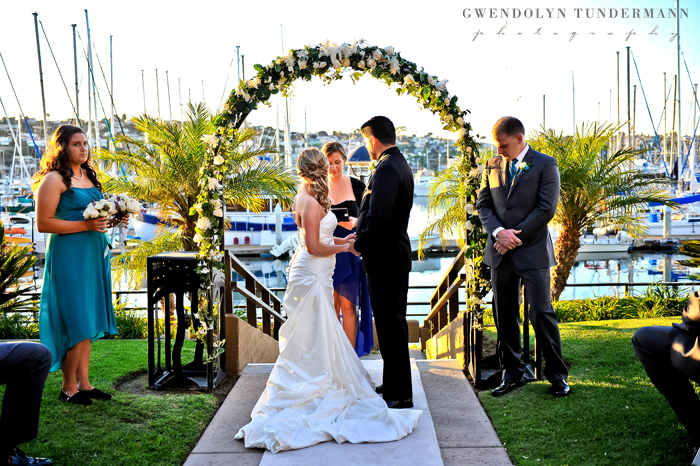 Though I finished up their wedding gallery several weeks ago, I haven’t had a chance to blog about Cali & Geoff’s sweet destination wedding at the Island Palms Hotel & Marina on Shelter Island! 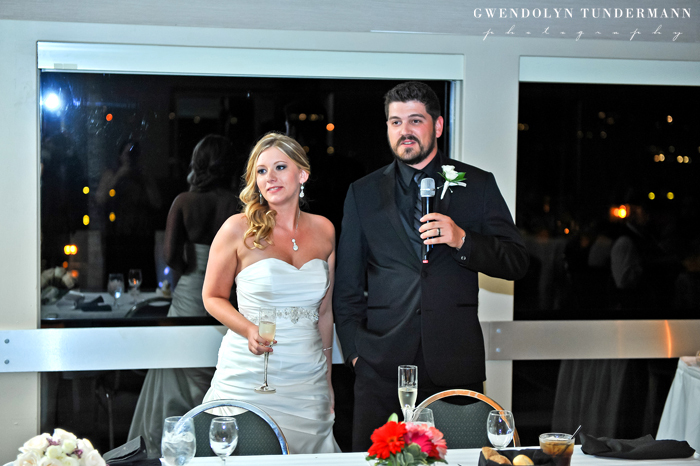 Cali & Geoff live in Oregon, but they met in San Diego and wanted to celebrate this special day with a close group of family and friends. 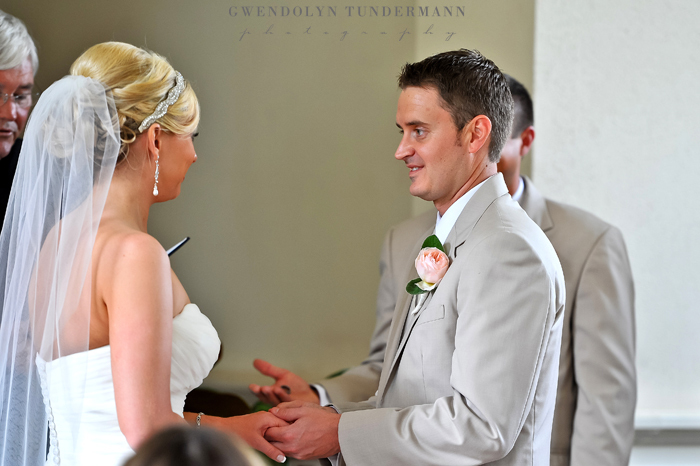 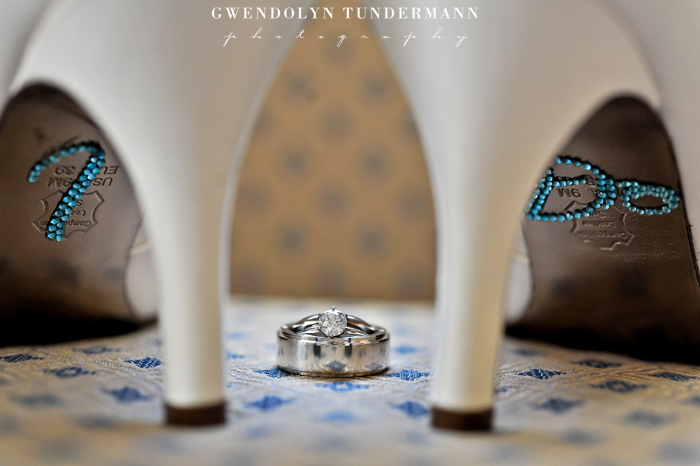 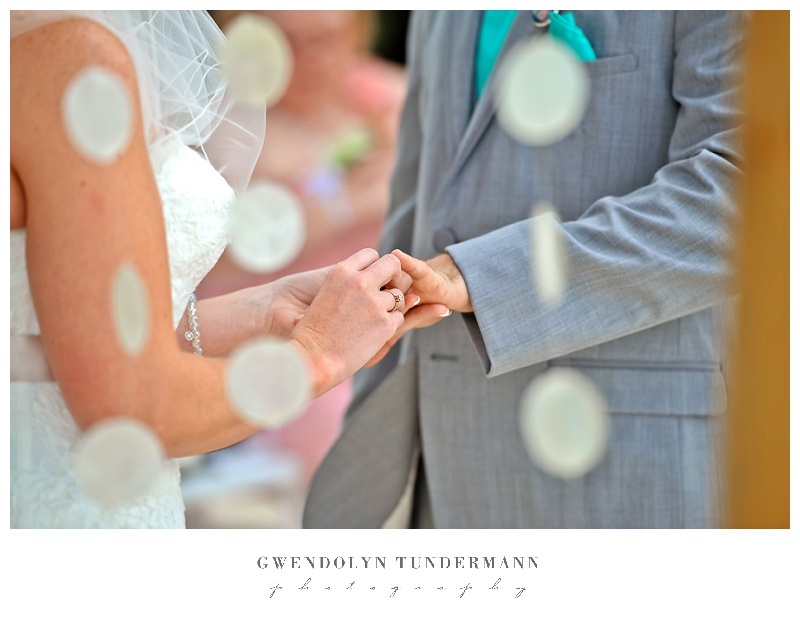 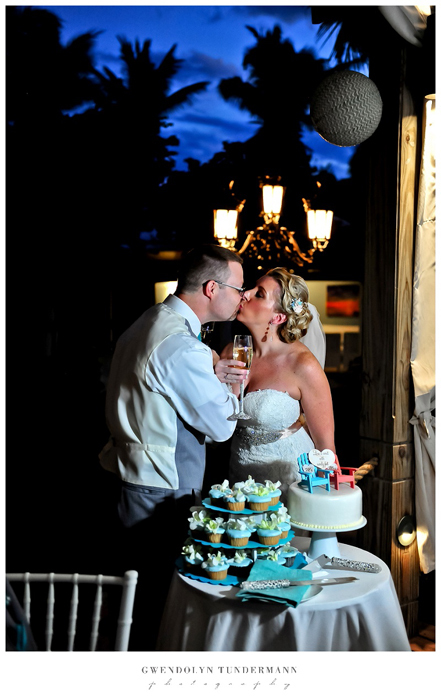 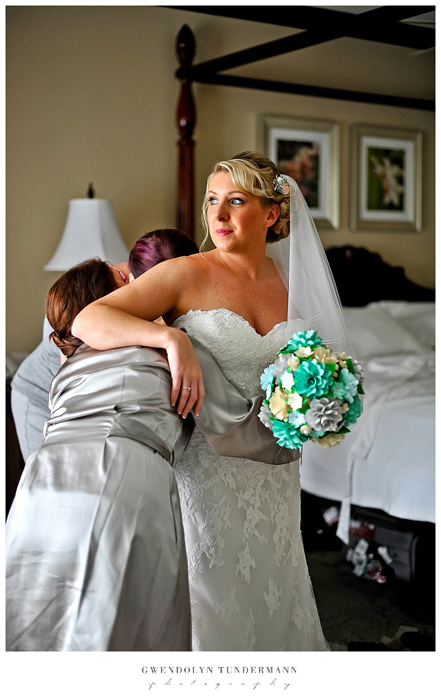 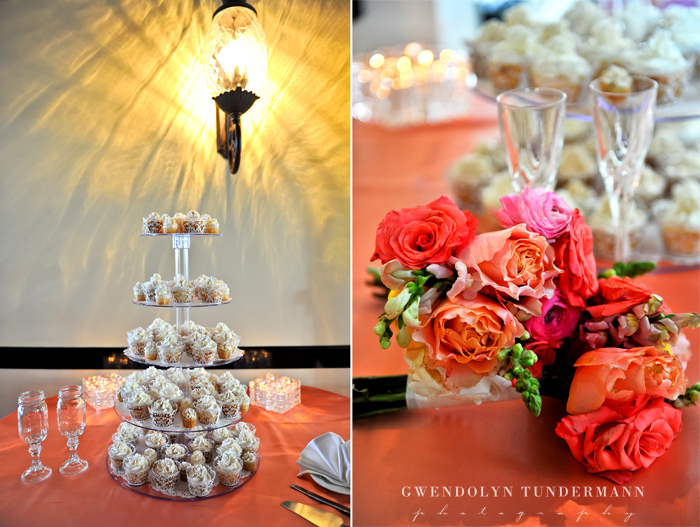 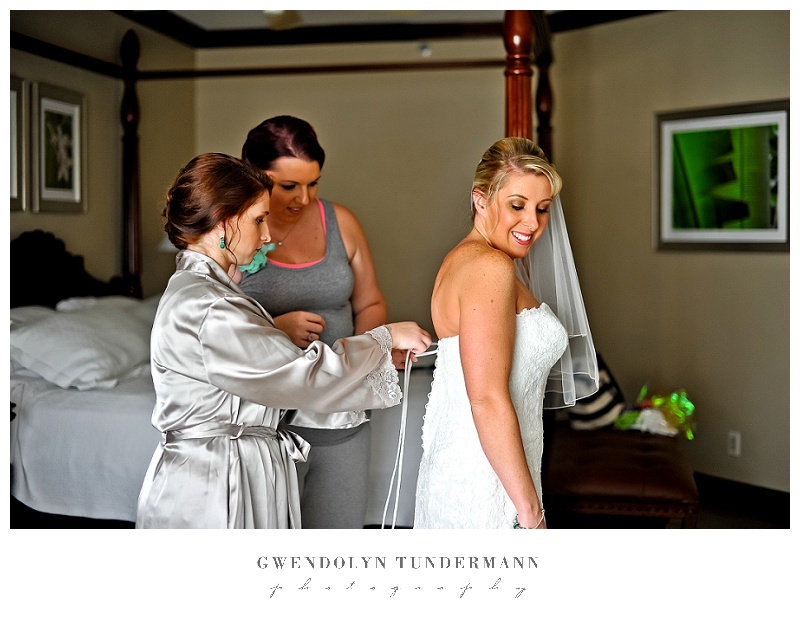 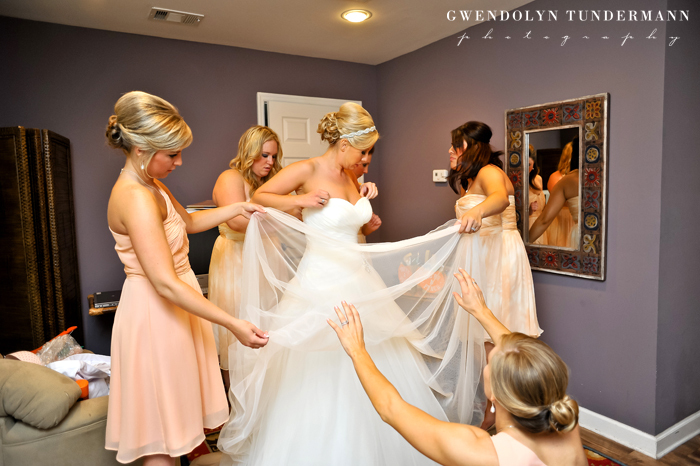 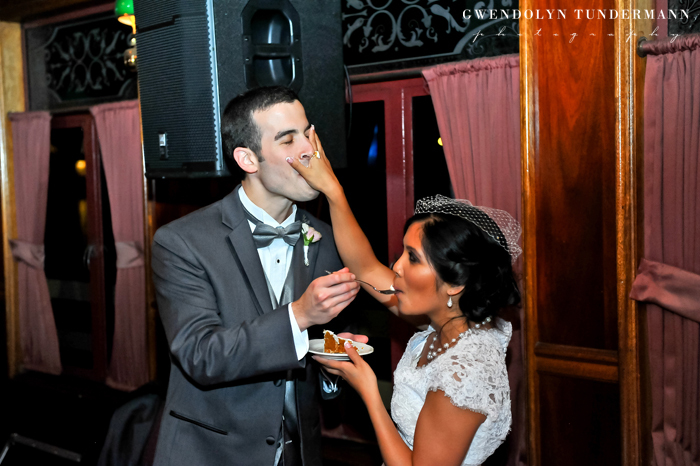 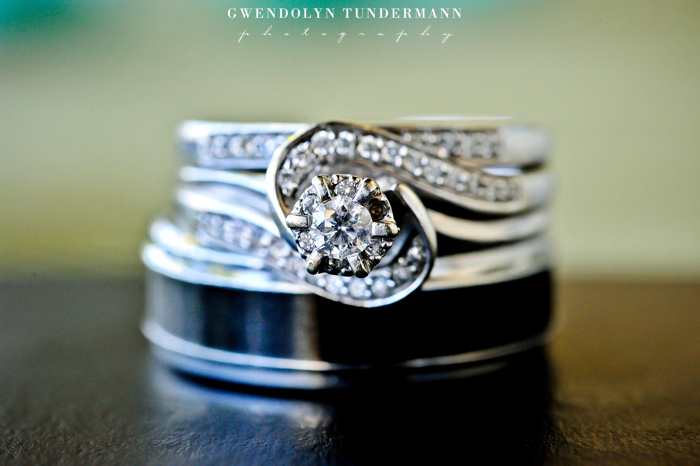 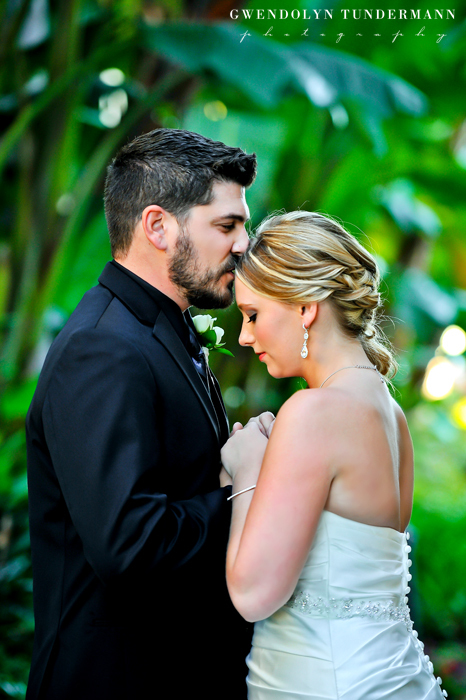 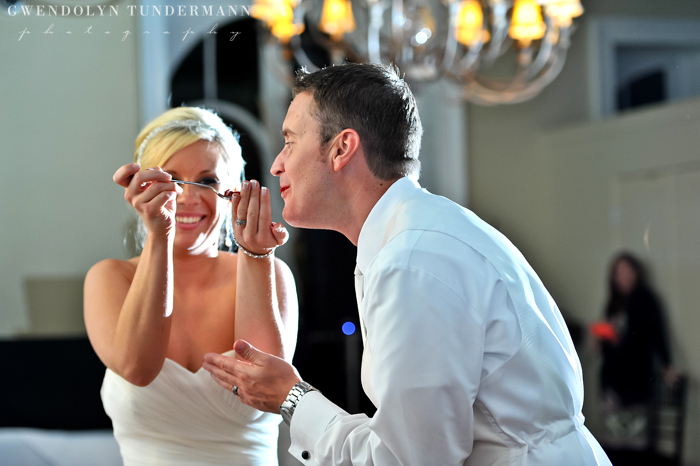 We love intimate weddings, and this one was full of sweetness! 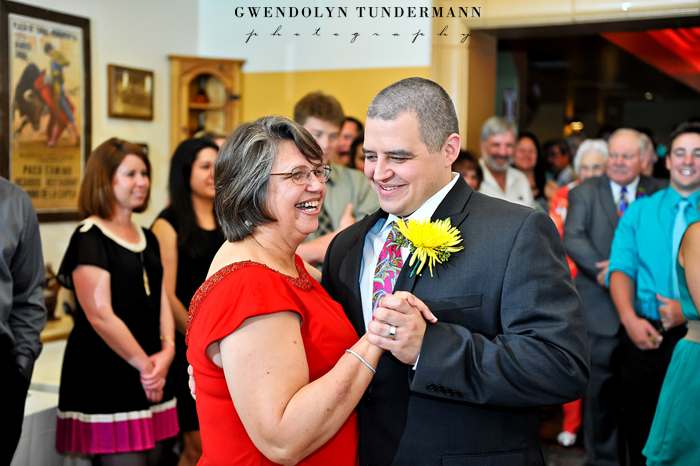 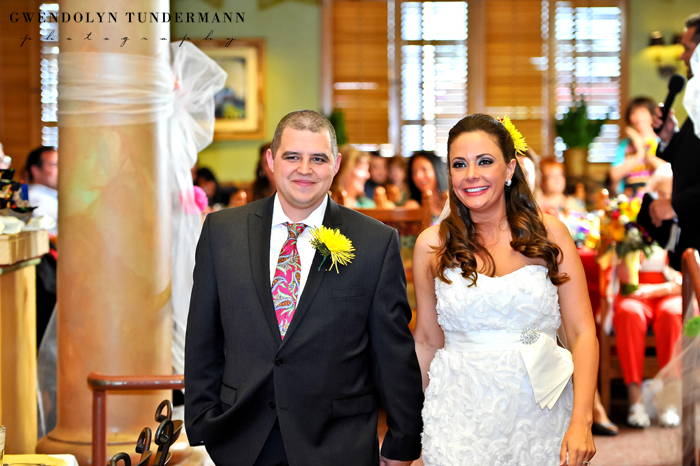 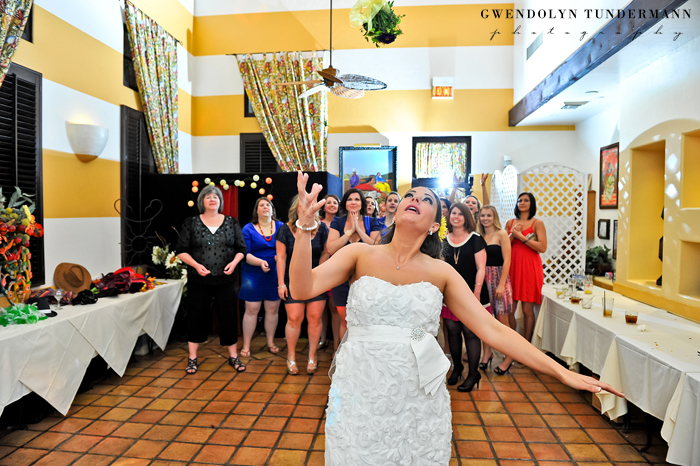 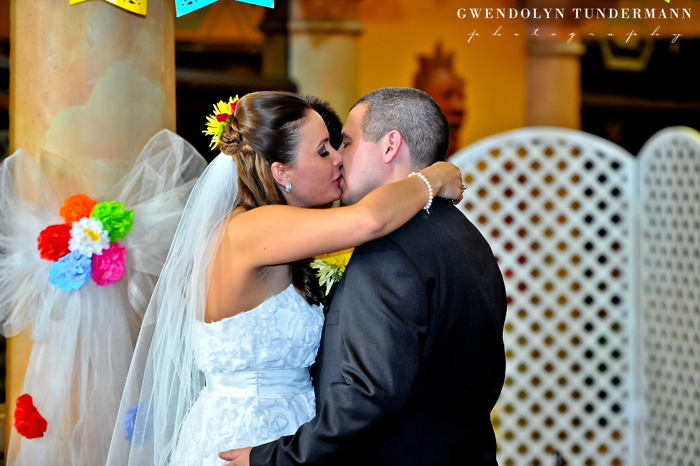 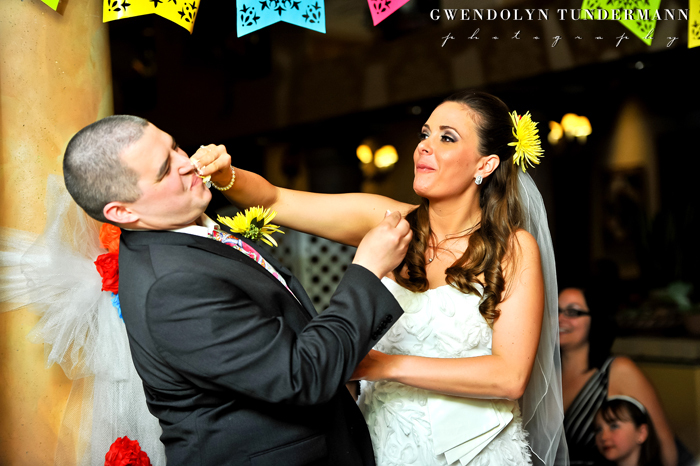 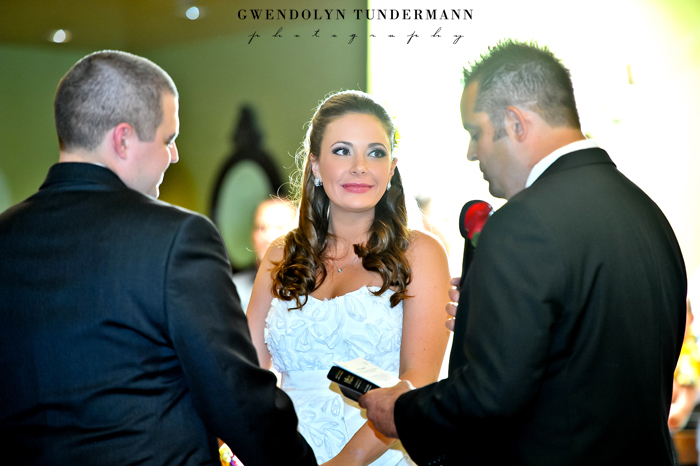 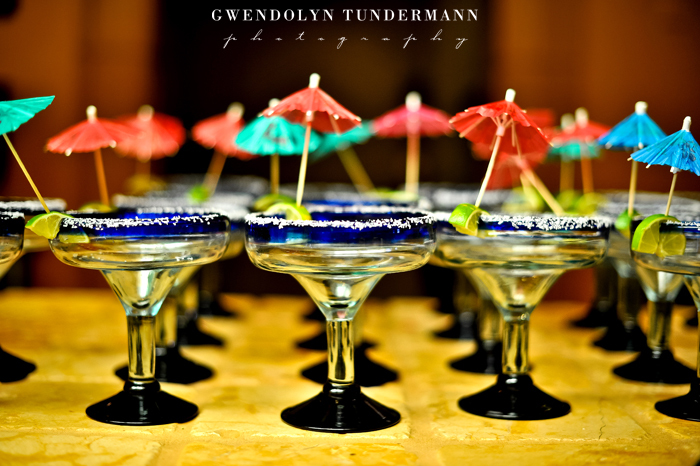 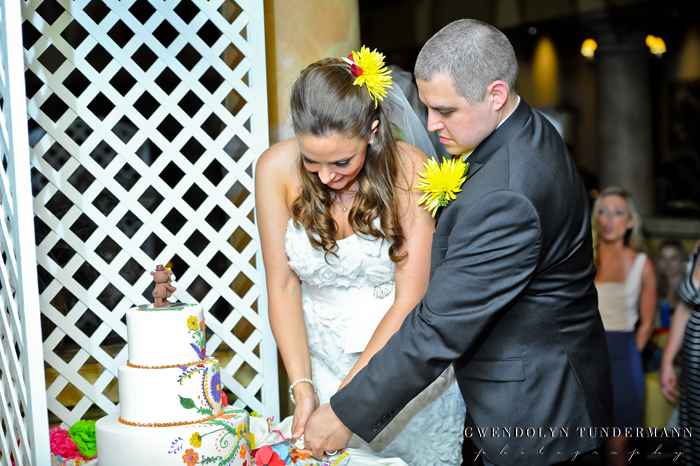 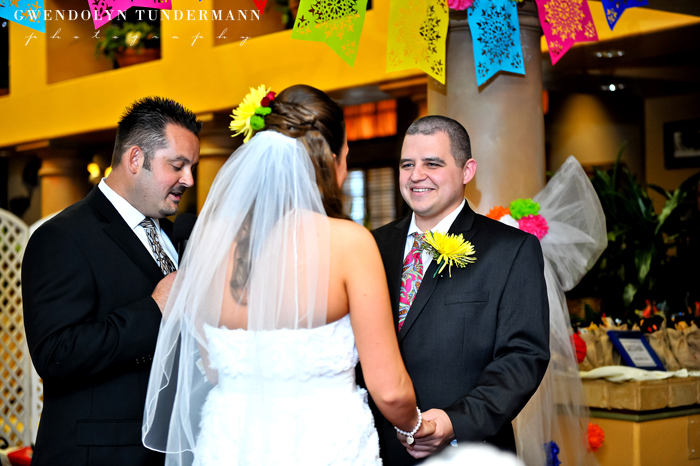 Just in time for Cinco de Mayo, we have a super fun wedding with a Mexican theme to share with you! 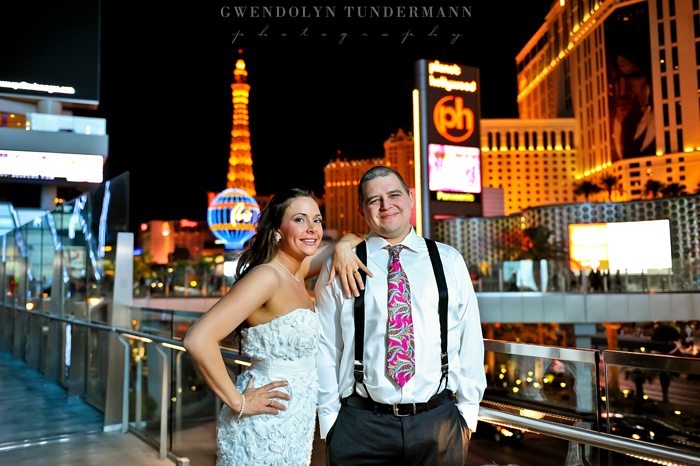 Last weekend we traveled to fabulous Las Vegas for Kyle & John’s wedding! 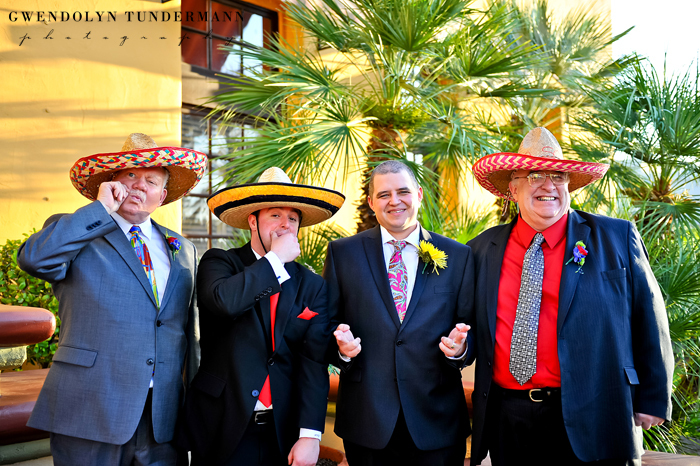 It was a festive and fun-filled celebration with a margarita tasting bar, Mexican food, and dancing! 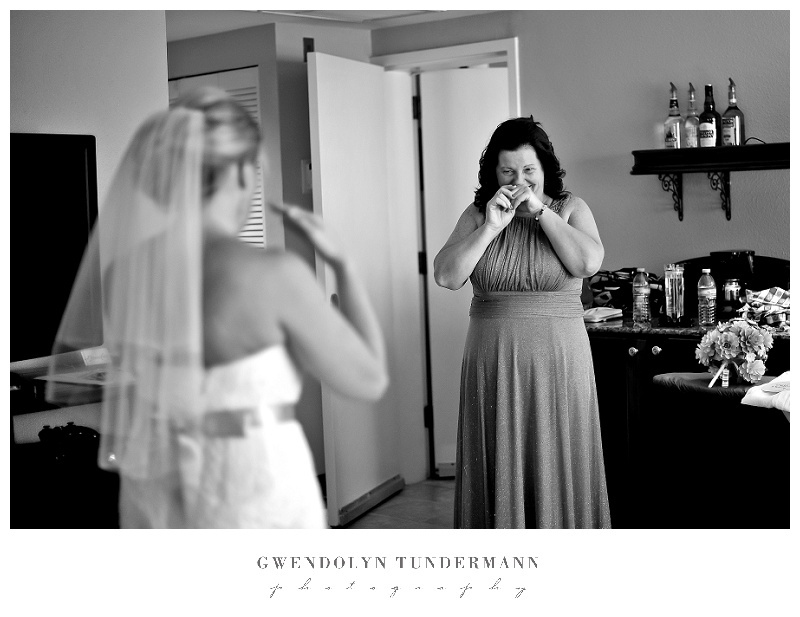 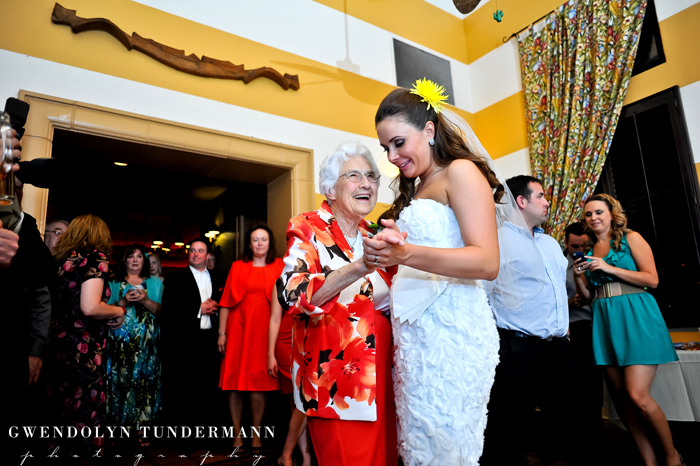 Though most of the evening was full of laughter and good times, there were a couple sweet moments when Kyle cried during her vows and a sweet dance with her grandmother. 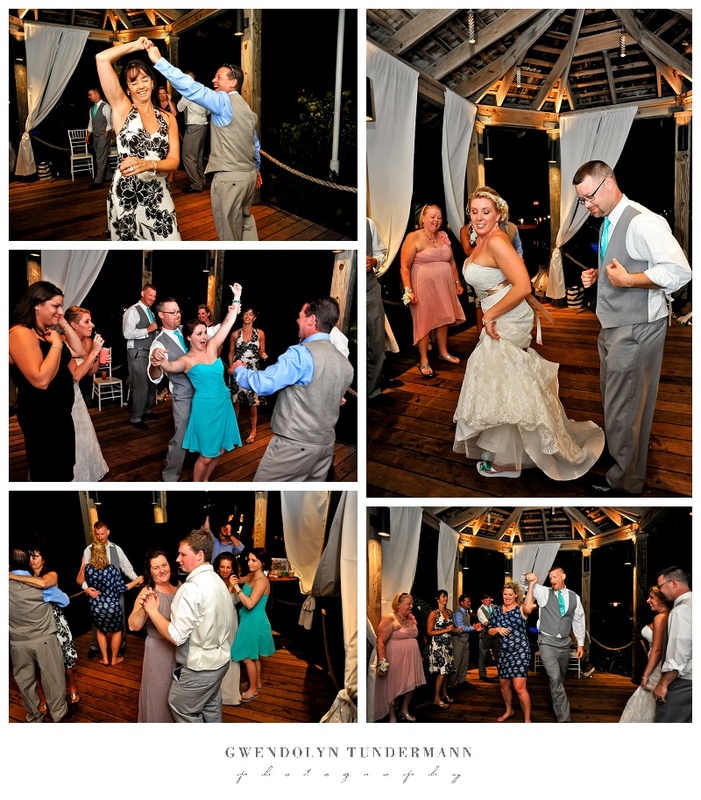 I think you can see what a fun time everyone had in these photos! 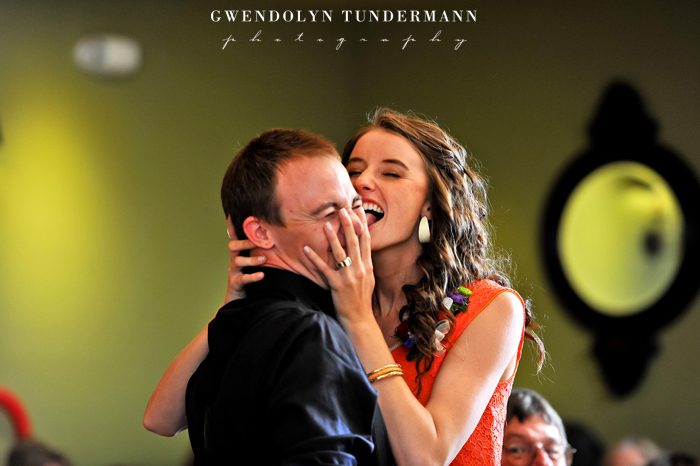 One of the highlights of the evening was a kissing game that Kyle & John included in the wedding festivities. 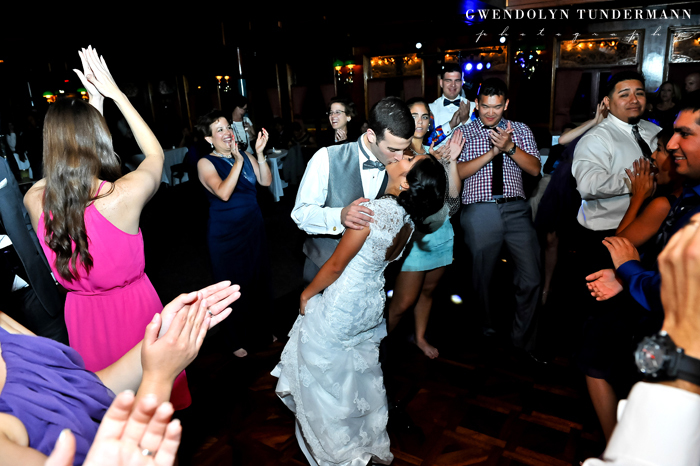 At random times, a couple’s name would be called and they would have to kiss, and then Kyle & John had to kiss the same way. 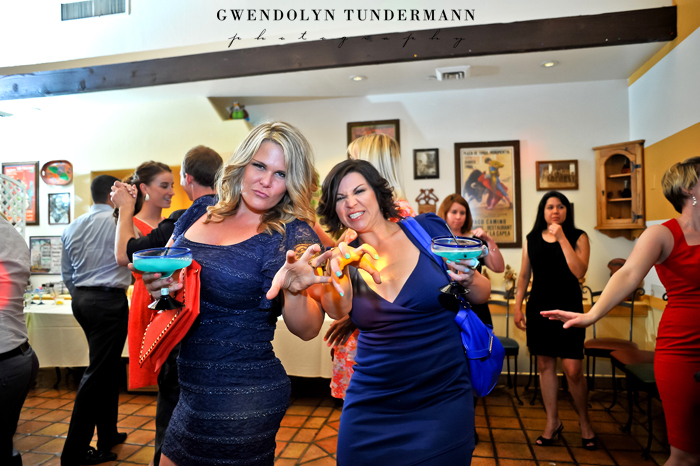 With margaritas freely flowing, it got pretty interesting! 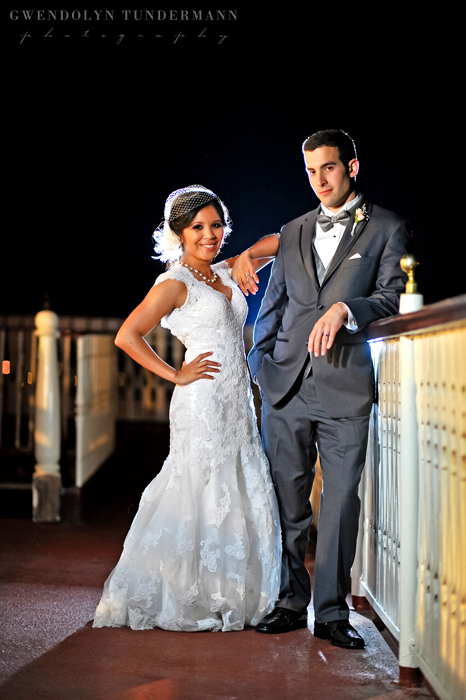 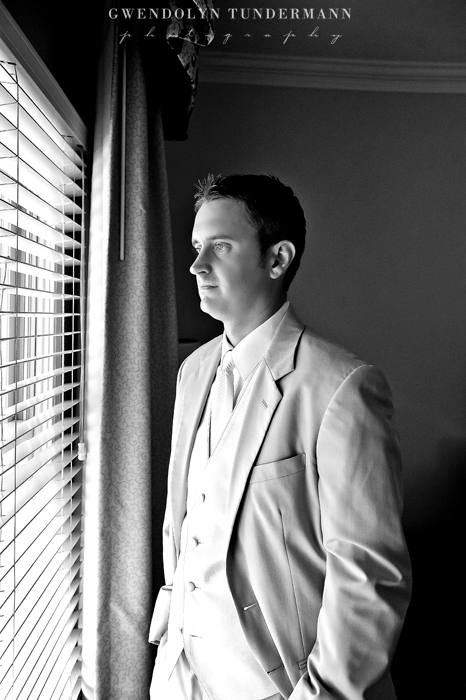 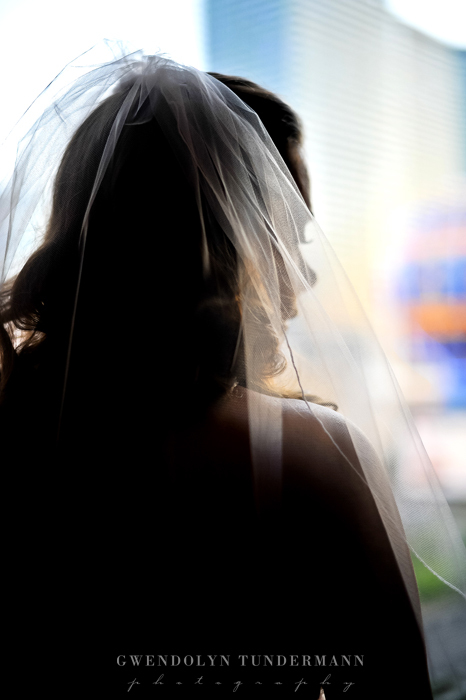 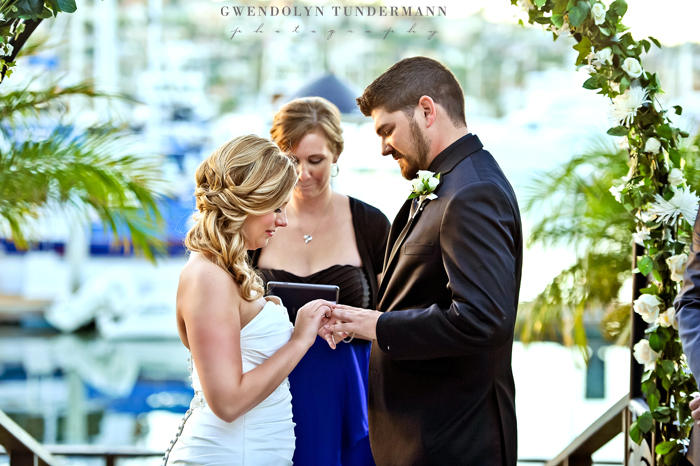 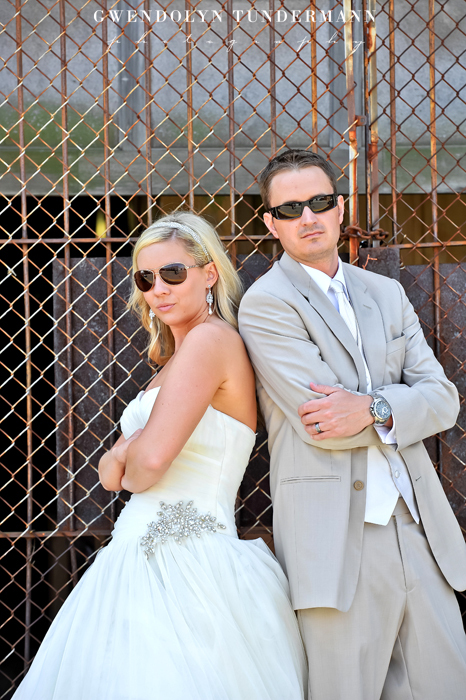 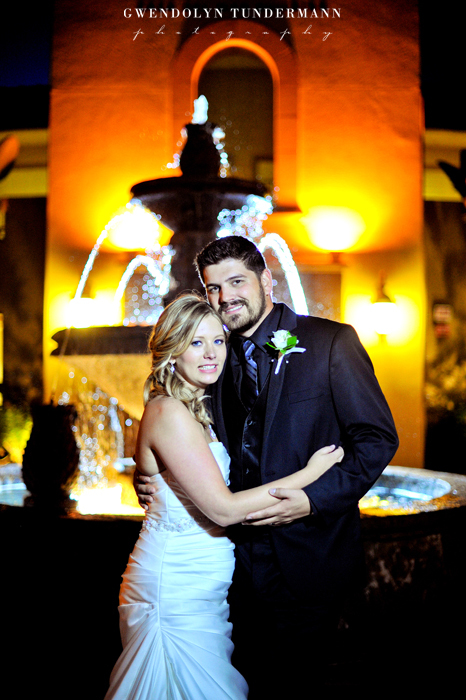 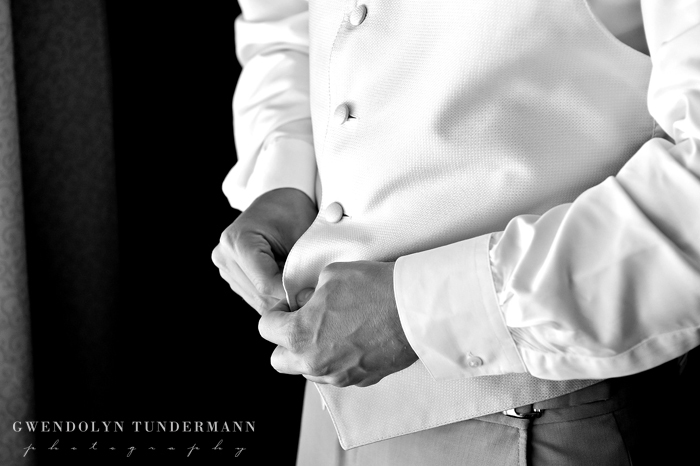 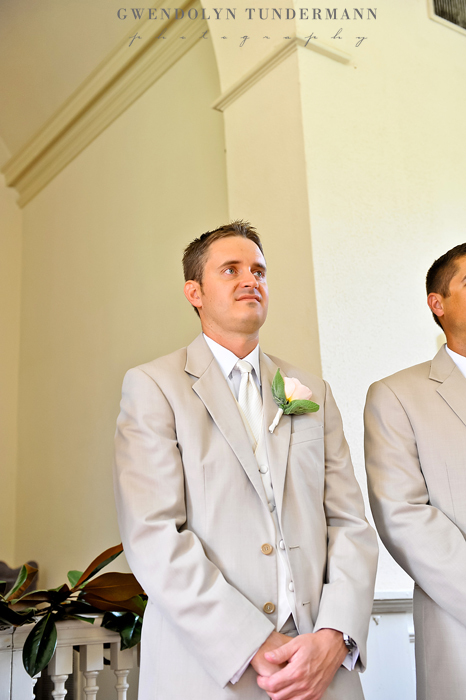 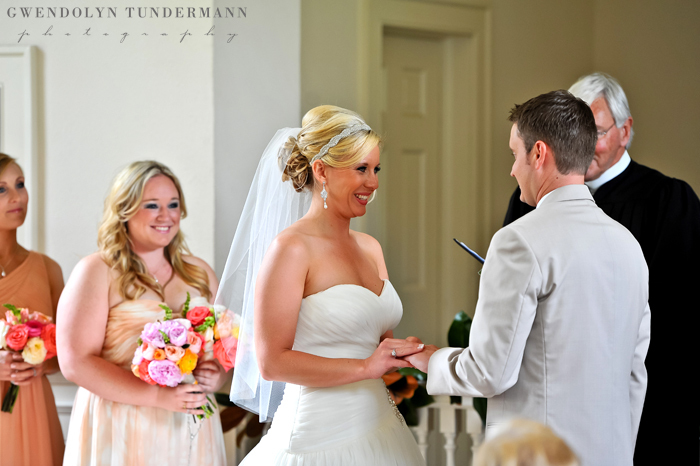 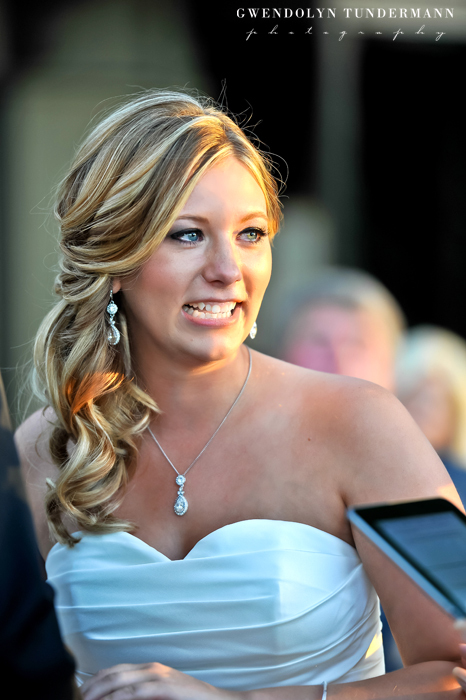 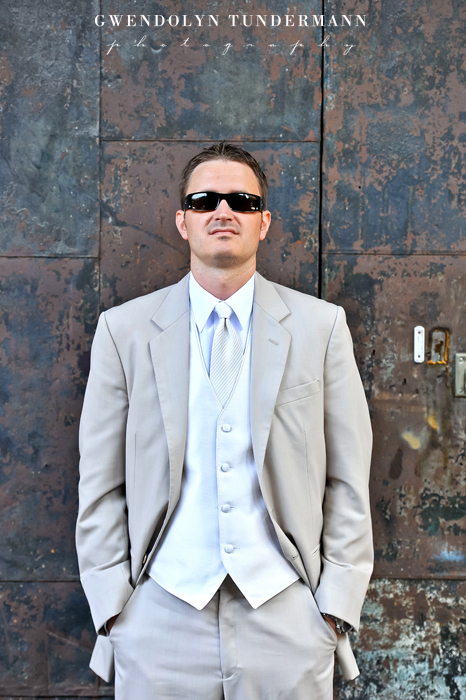 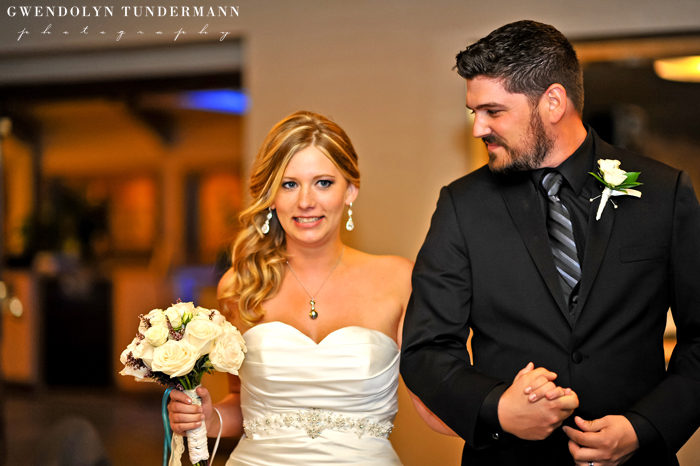 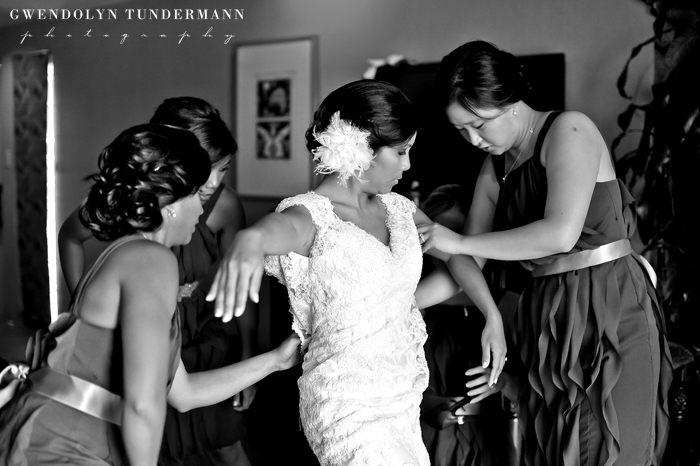 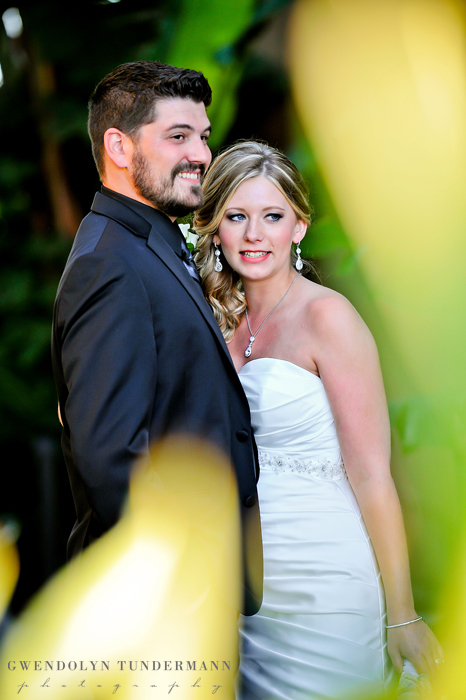 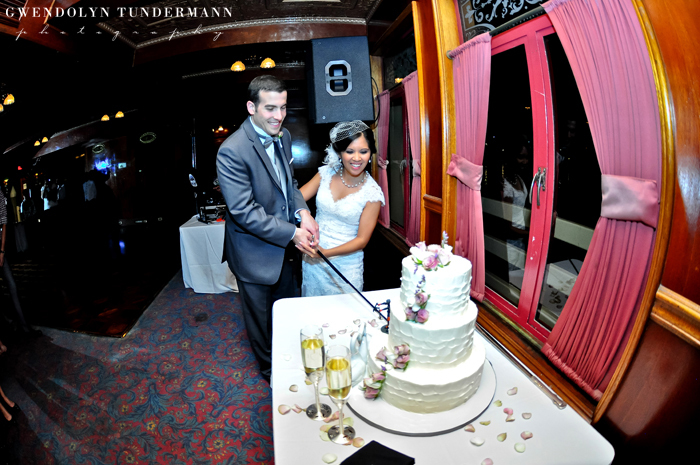 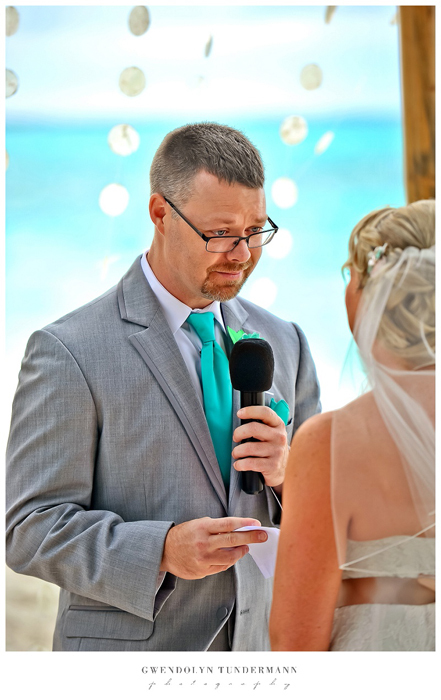 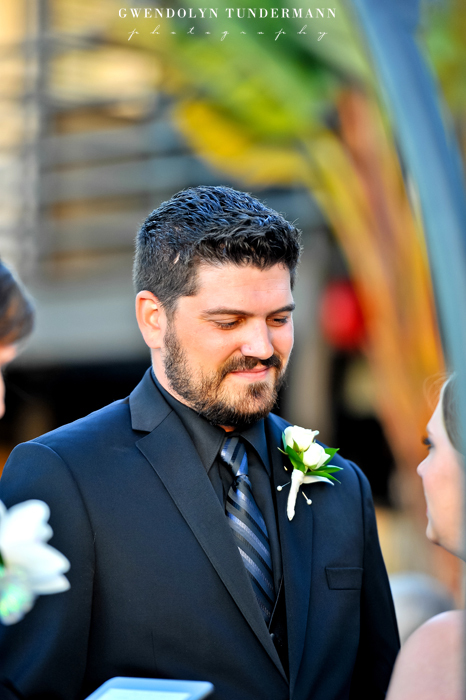 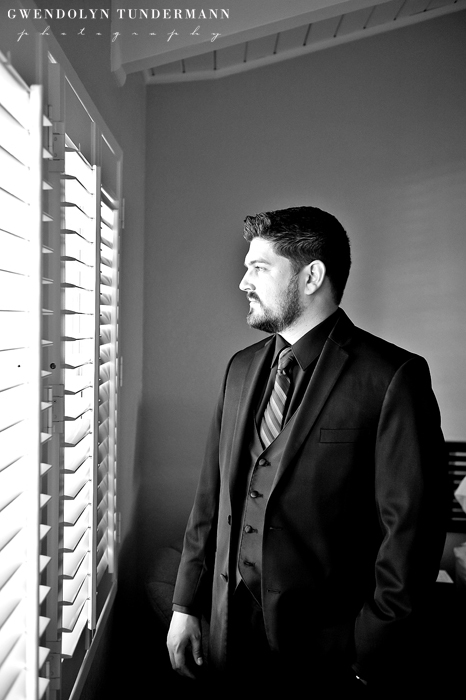 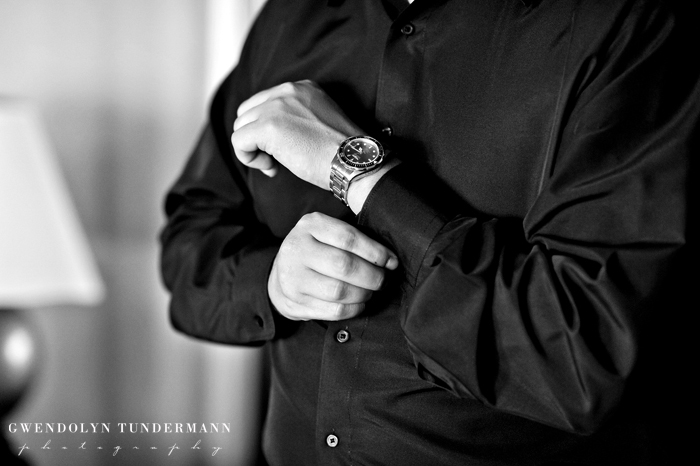 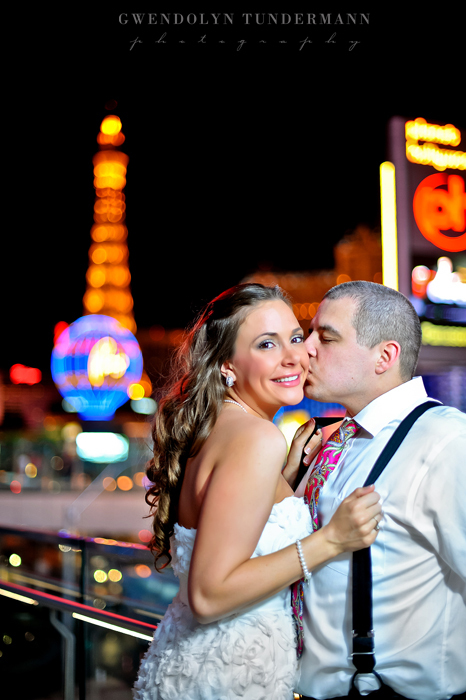 We just returned from Kyle & John’s destination wedding in Las Vegas! 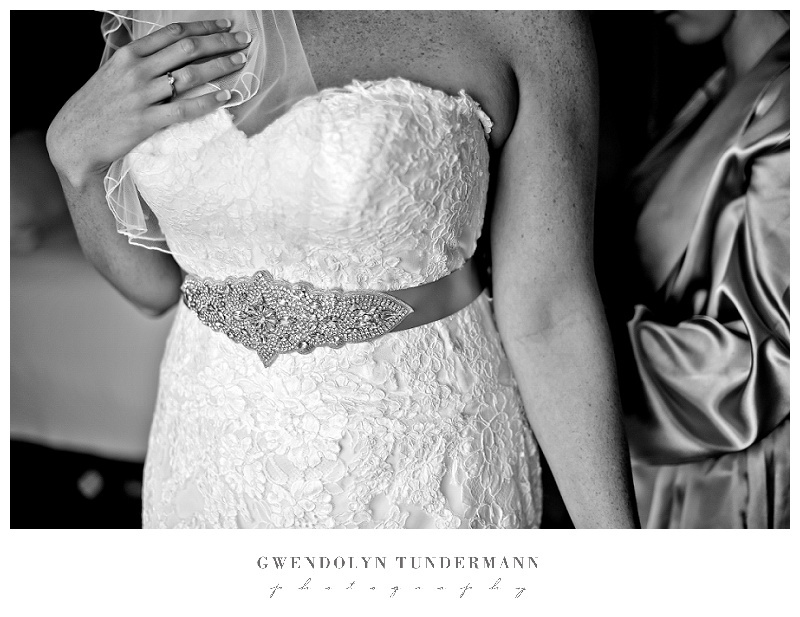 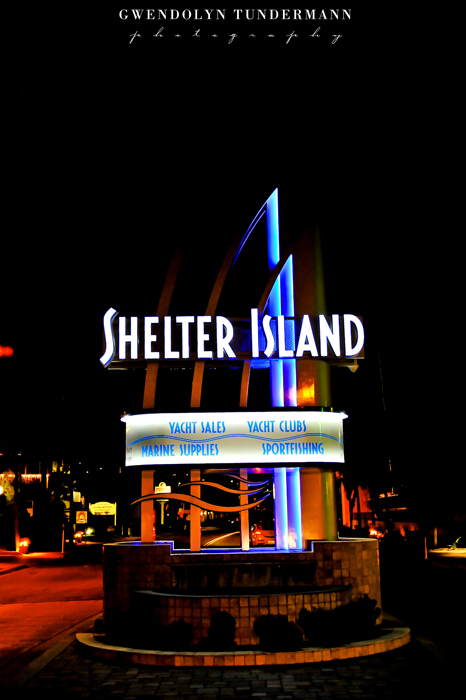 We are still recovering from a fun-filled weekend, but we had to post a little teaser! 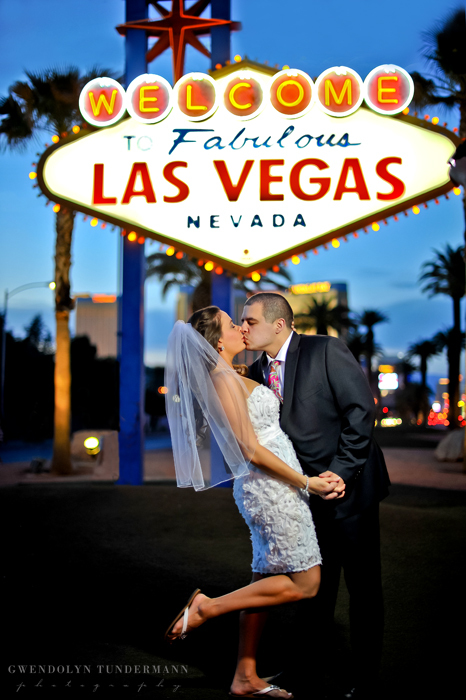 Of course, the first pic HAD to be a wedding photo in front of the “Welcome To Fabulous Las Vegas” sign! 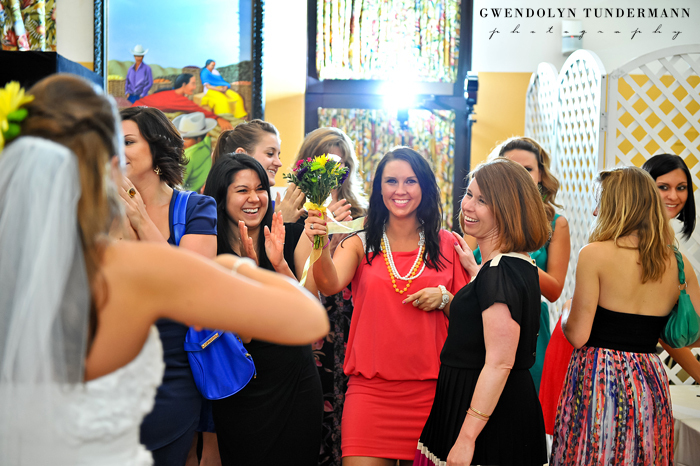 When we got to the sign there were tons of people, and people were waving and congratulating the newlyweds on their nuptials! 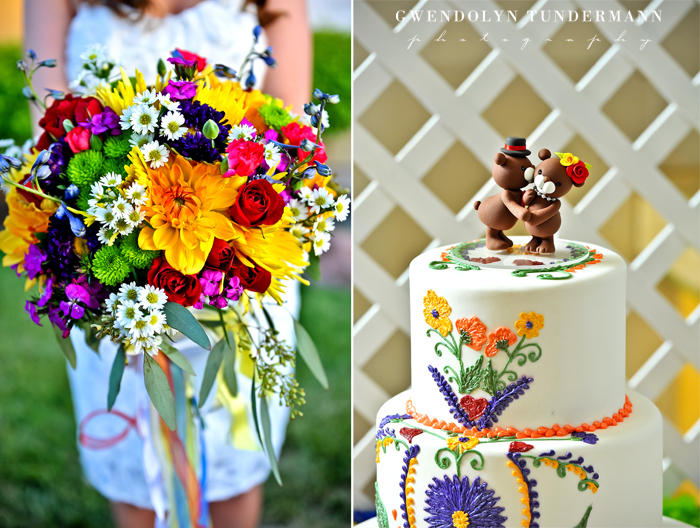 More to come soon from this very festive wedding celebration! 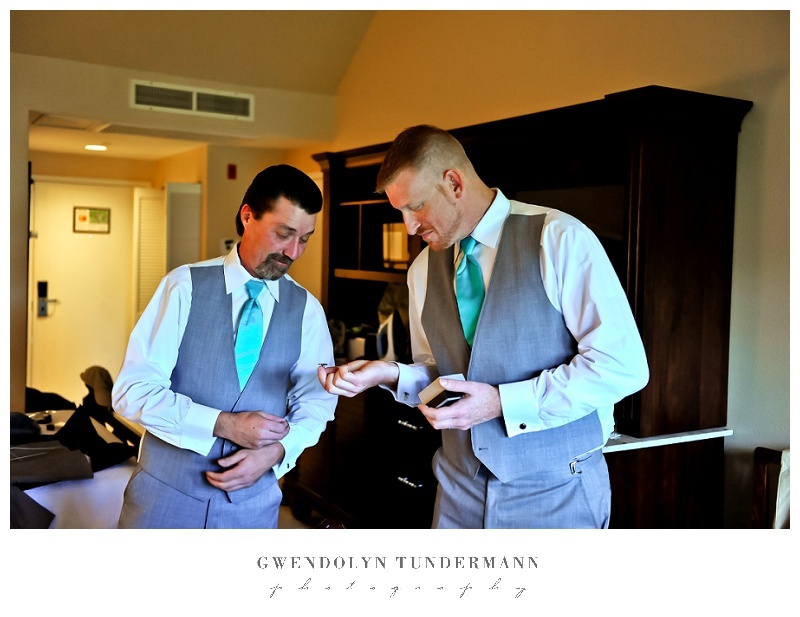 Congrats Kyle & John! 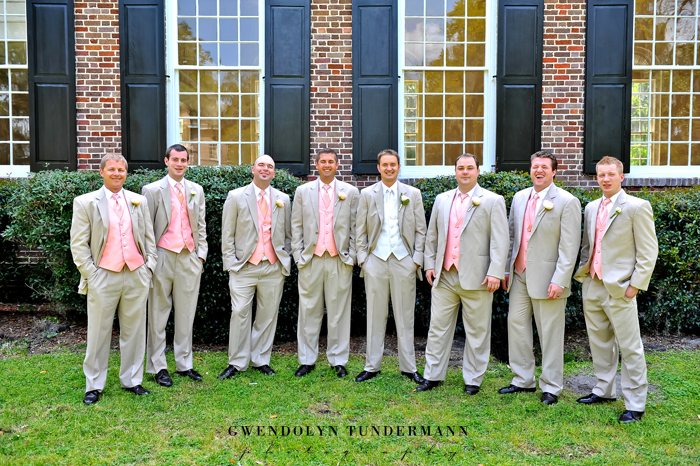 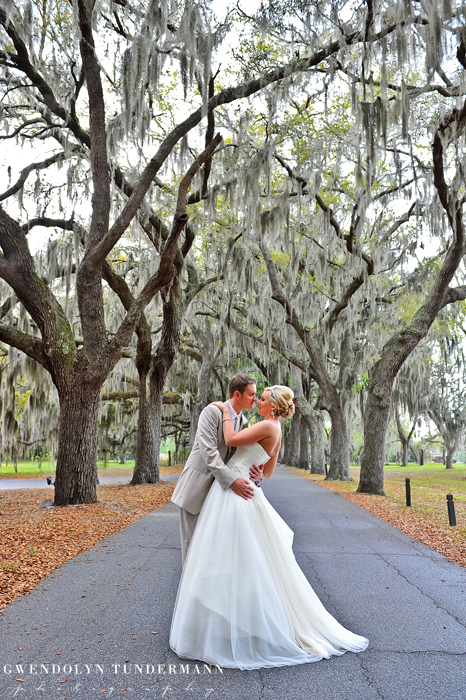 I love southern weddings, and Kristine & Zachary’s sweet destination wedding in Savannah makes everything so peachy! 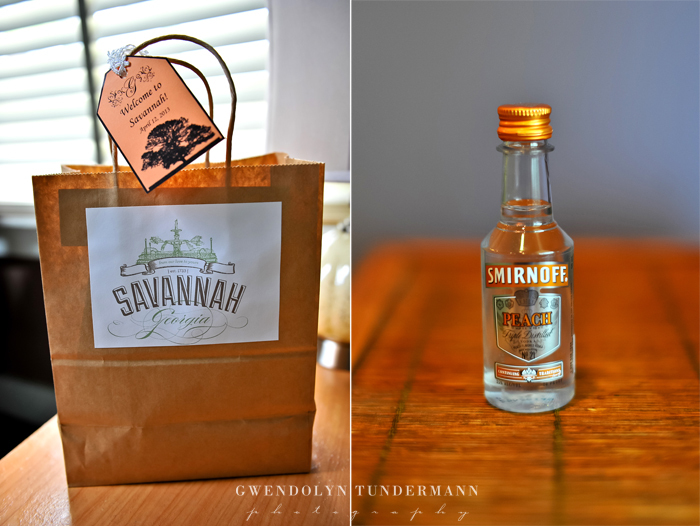 From the adorable bridesmaids dresses and groomsmen attire to the reception decor and even to the flavor of the vodka, everything was inspired by Georgia’s favorite fruit! 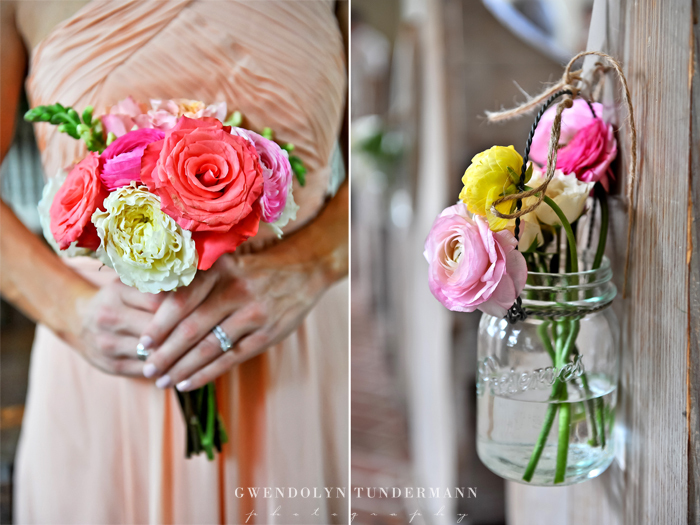 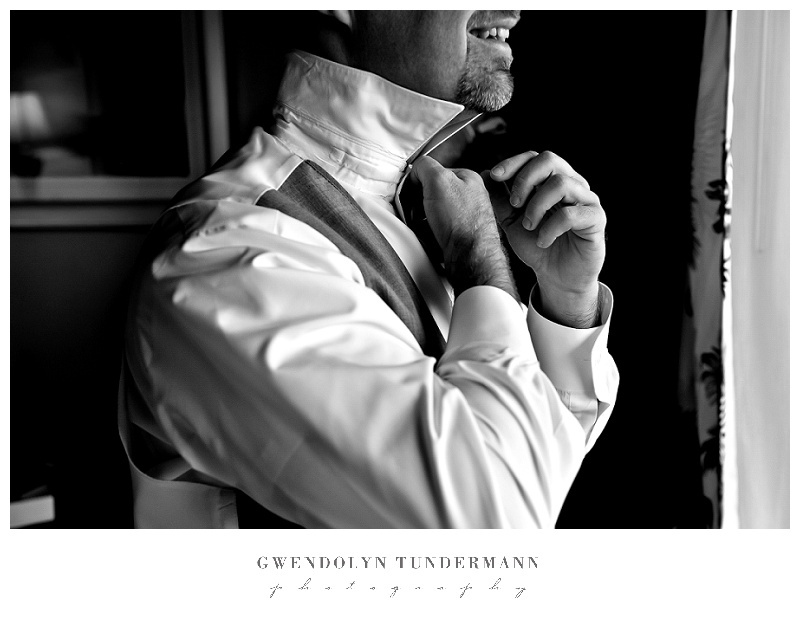 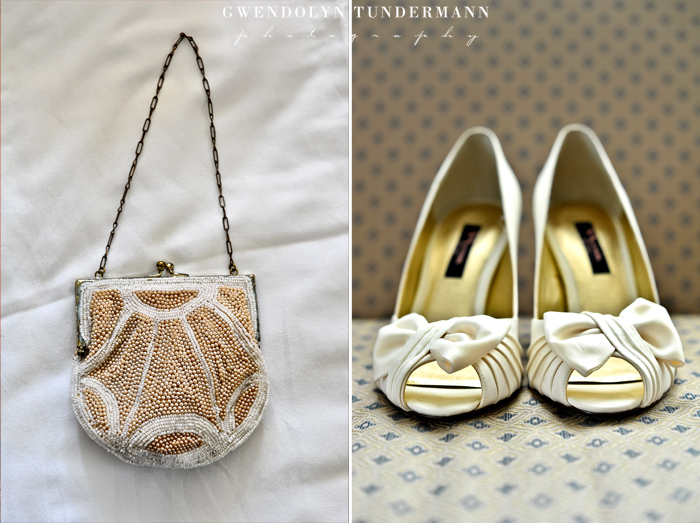 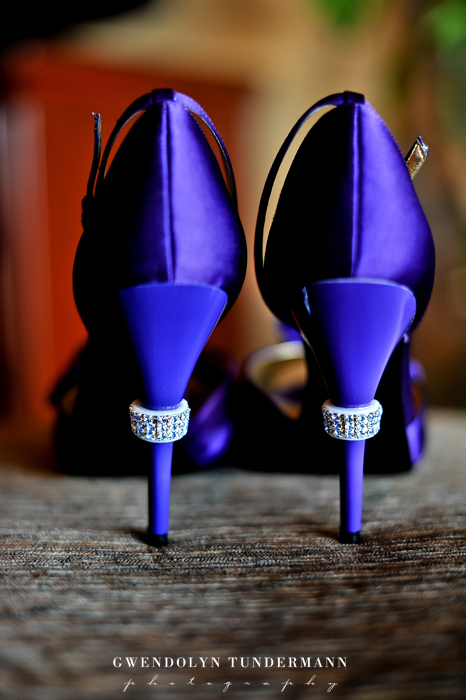 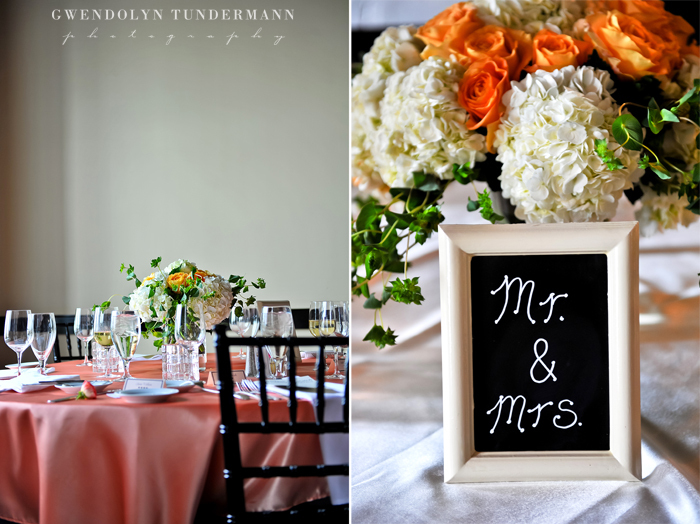 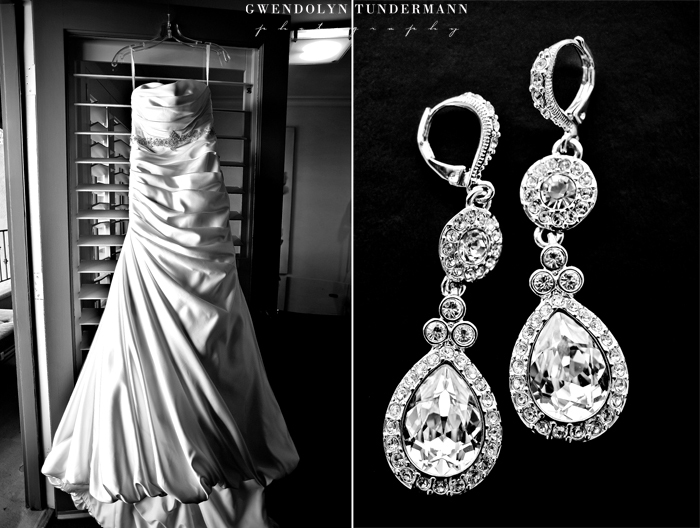 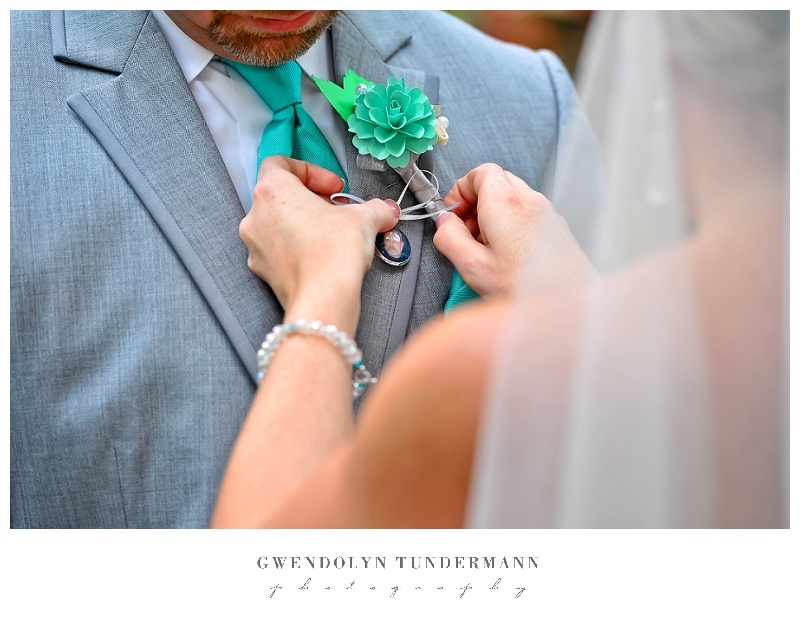 And we are so glad, too, because this wedding is full of pretty details! 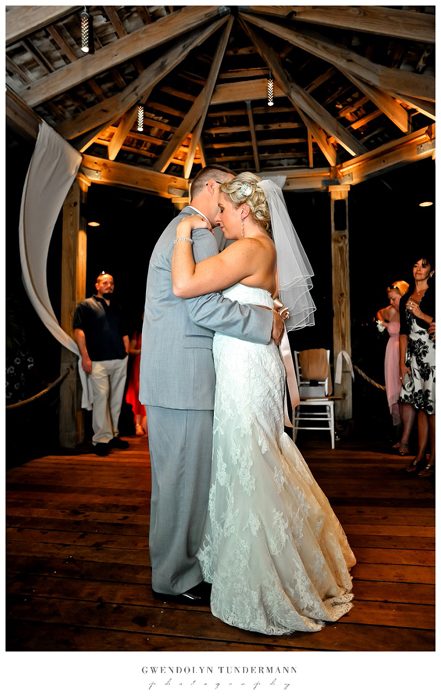 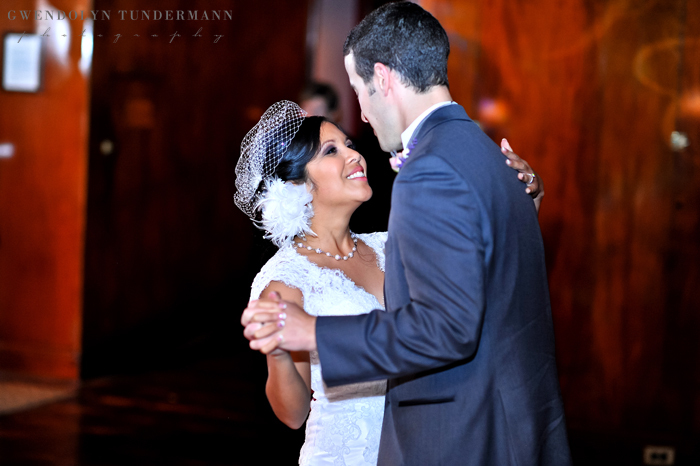 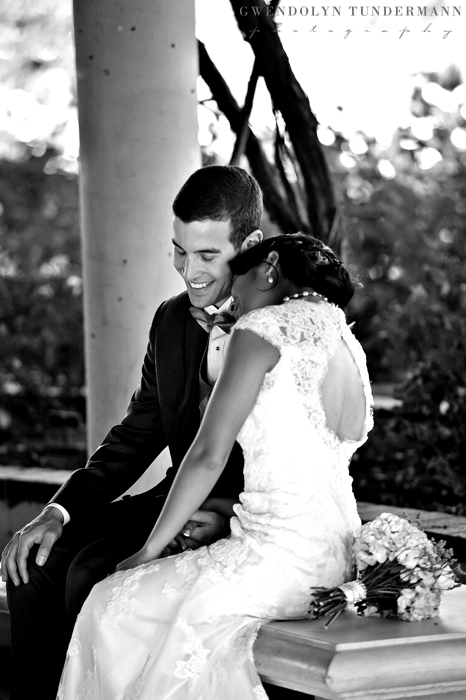 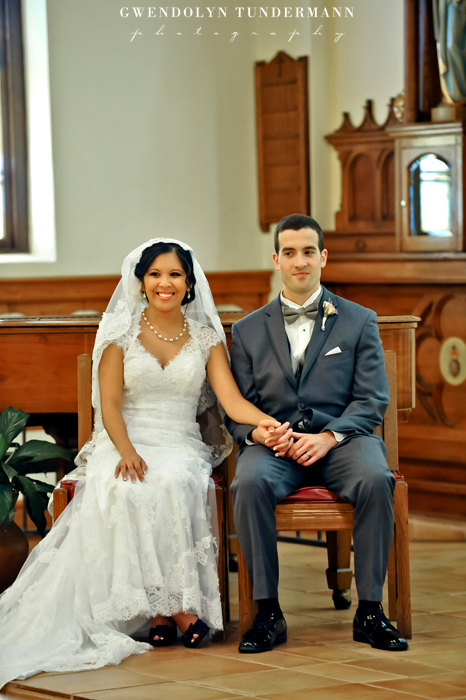 Kristine & Zachary met in Seattle and now live in North Carolina. 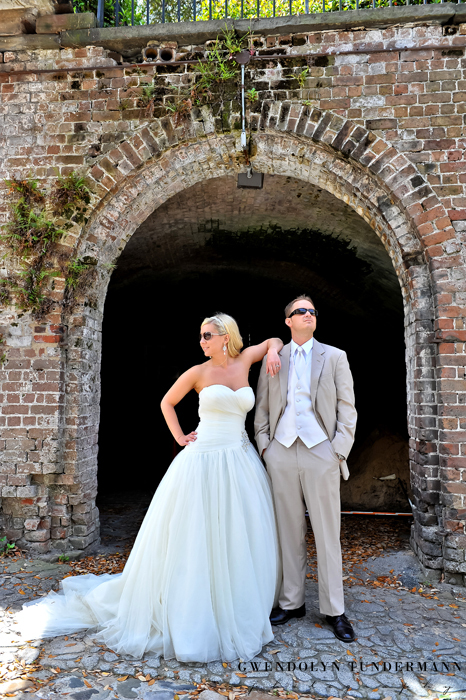 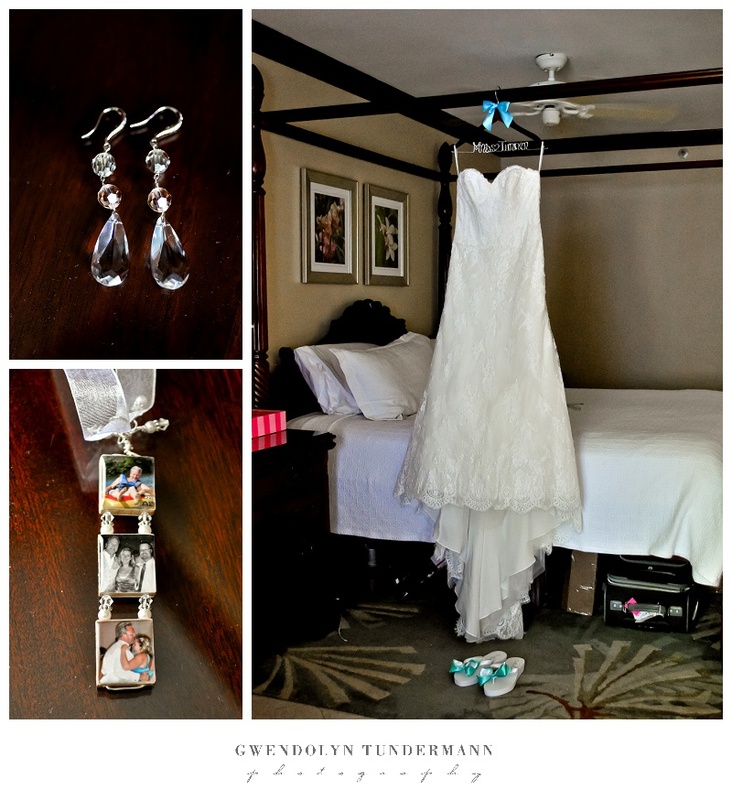 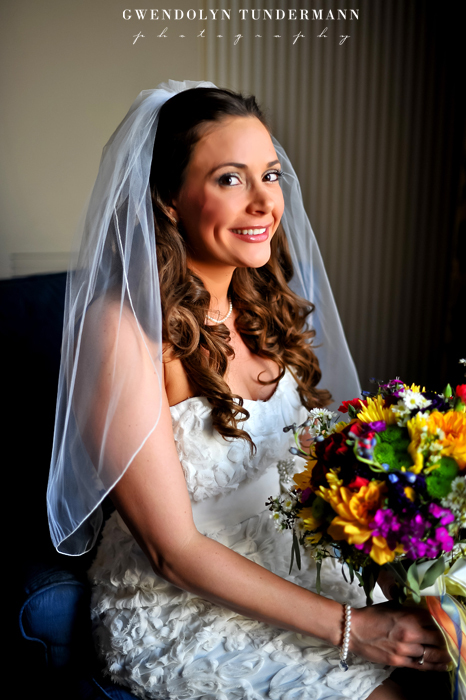 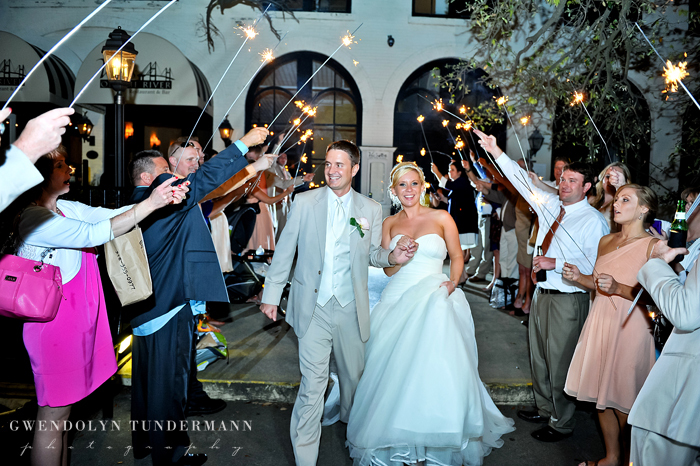 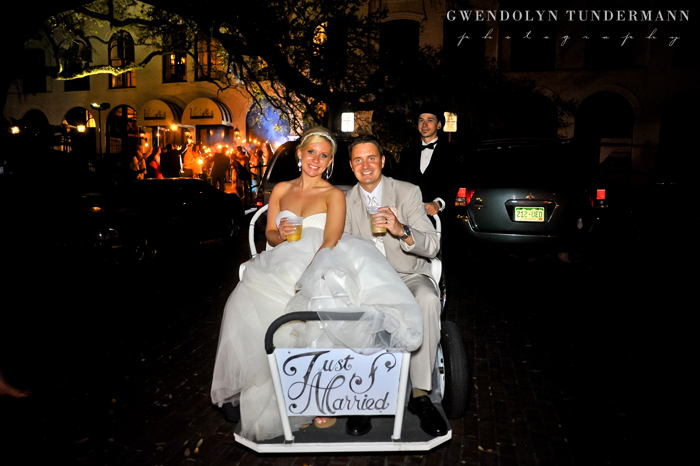 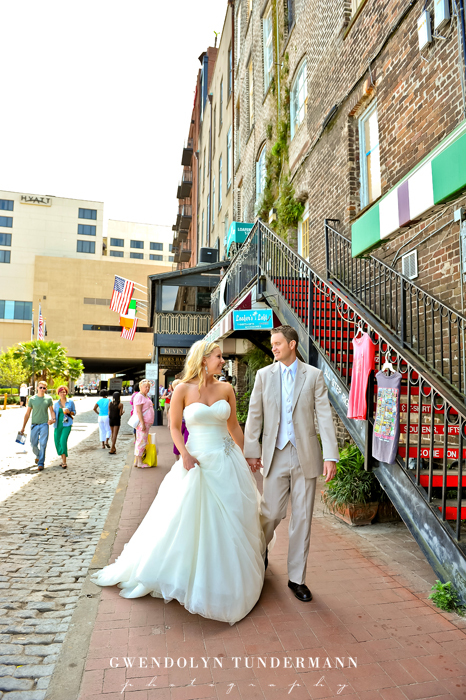 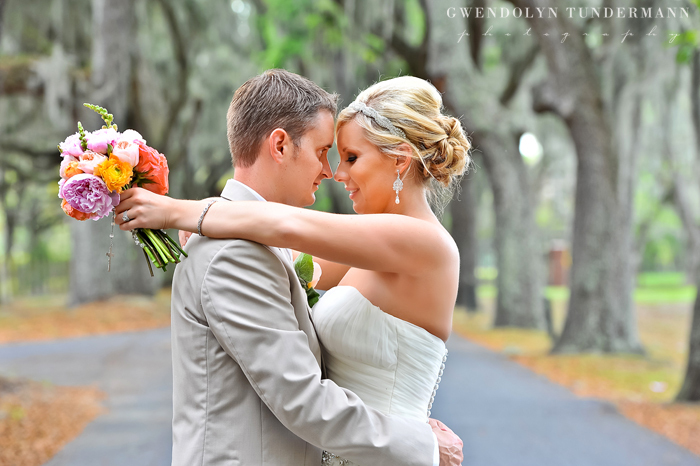 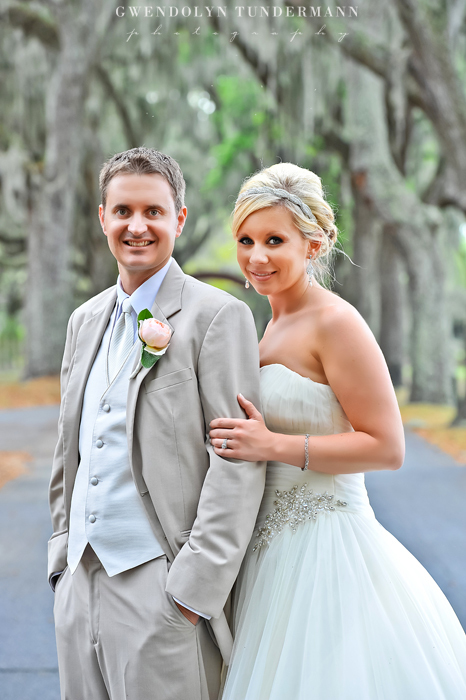 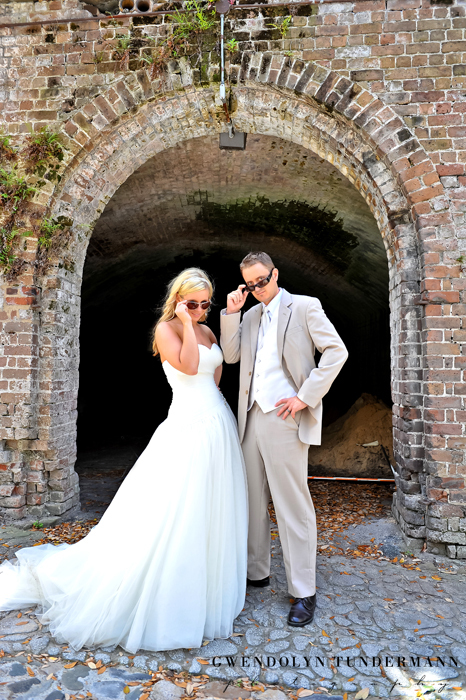 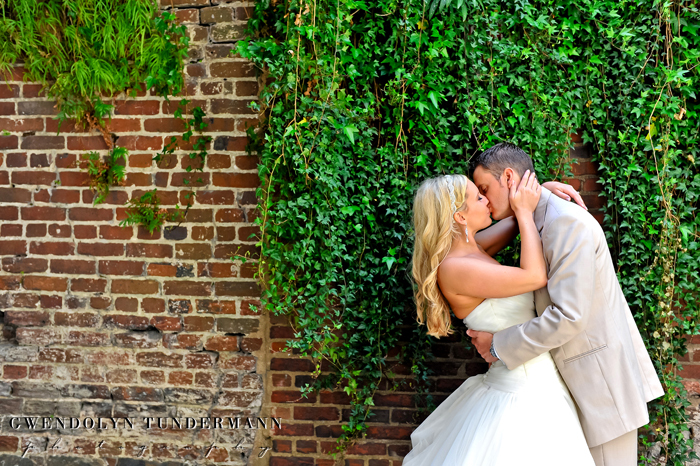 They chose the Savannah for their destination wedding because of its charm, history, hospitality, and all the fun it offers (guests took part in a ghost tour!). 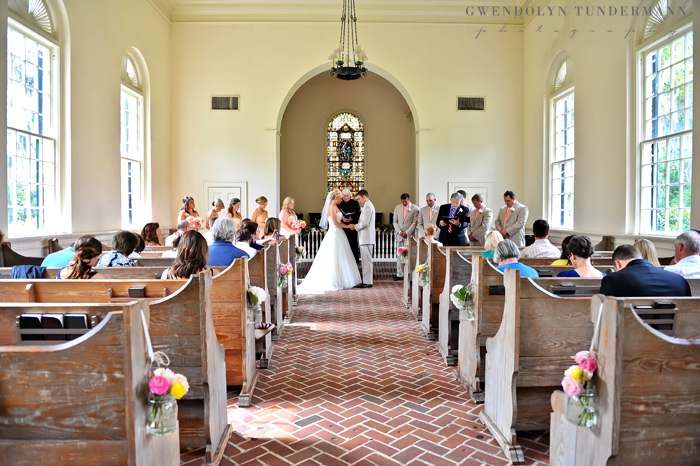 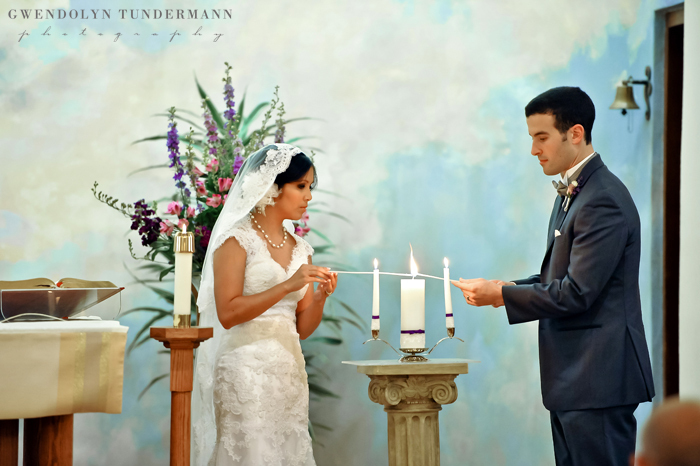 They held their wedding at Whitefield Chapel at the Bethesda Academy. 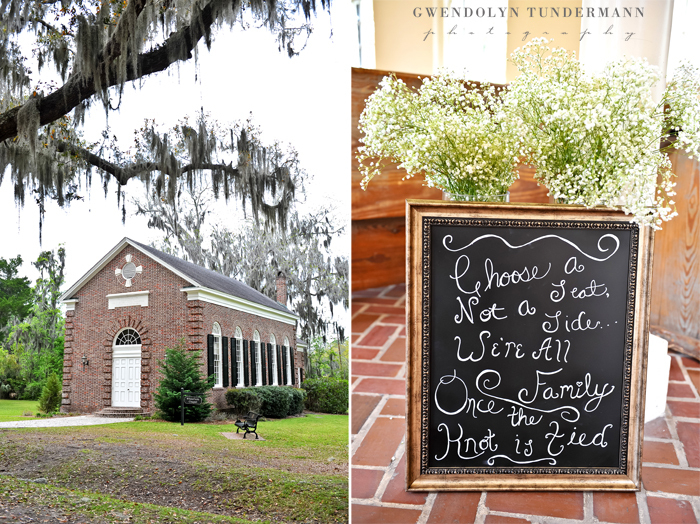 A long road lined with mossy oak trees led to the sweet little chapel, where the aisle was lined with mason jars and a colorful assortment of flowers. 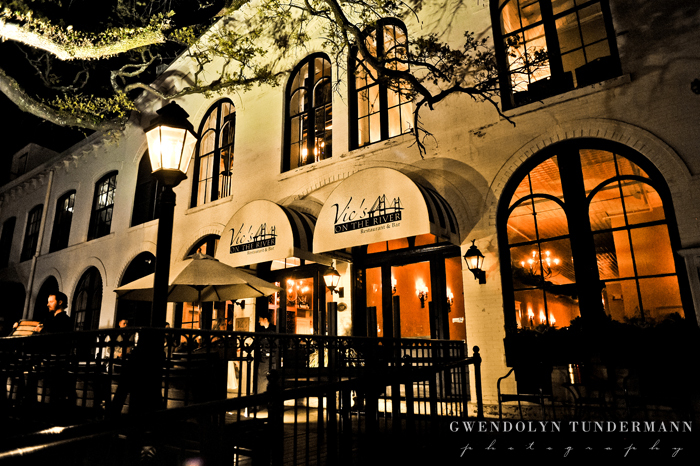 The evening continued with their reception at Vic’s on the River, a fantastic venue in downtown Savannah overlooking the river. 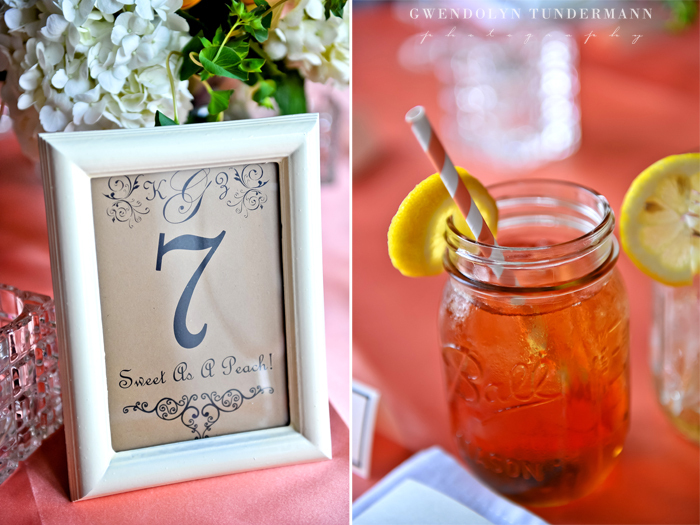 Guests enjoyed southern dishes like fried green tomatoes and shrimp and grits, along with signature drinks of Peach Sweet Tea Vodka and Arnold Palmer’s (made with with sweet tea vodka) served in mason jars. 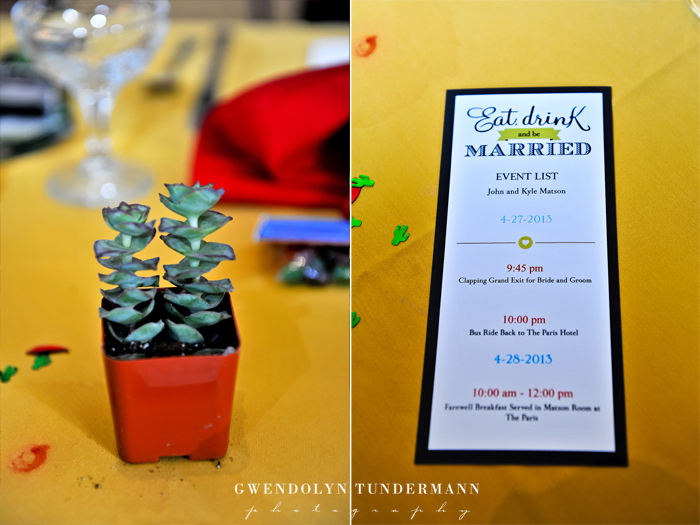 But the best part were the favors! 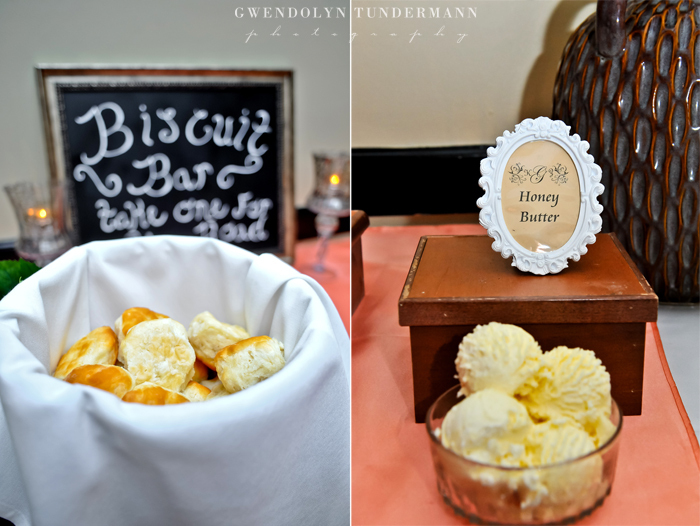 At the end of the night they had a biscuit bar with a variety of toppings, from peach preserves to apple butter. 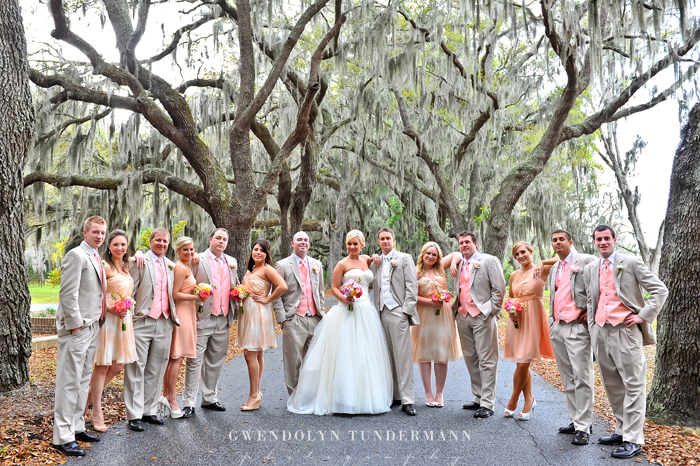 It doesn’t get much more southern than that!